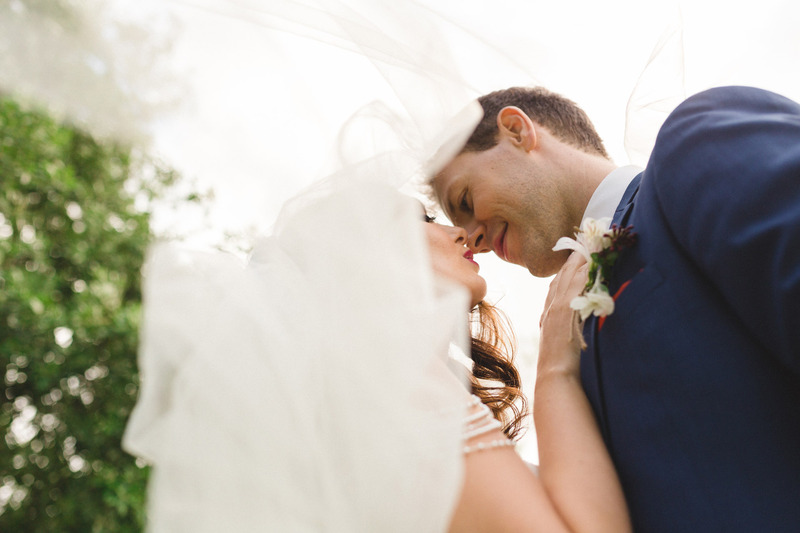 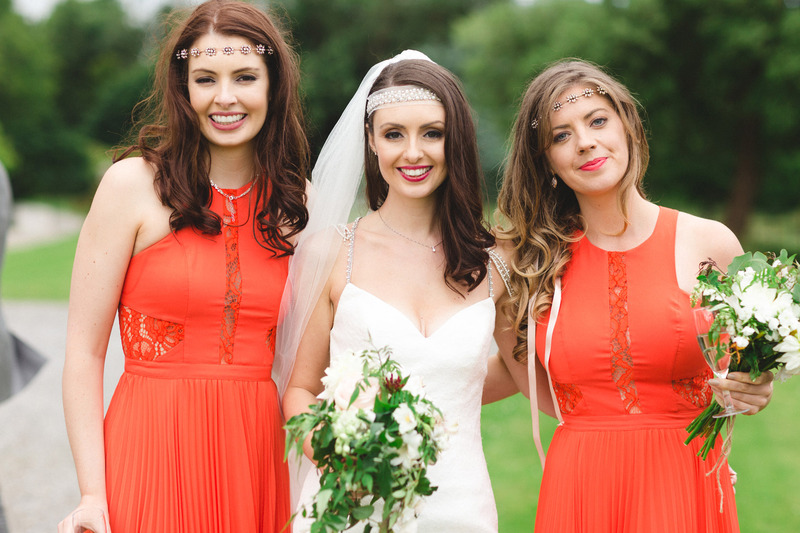 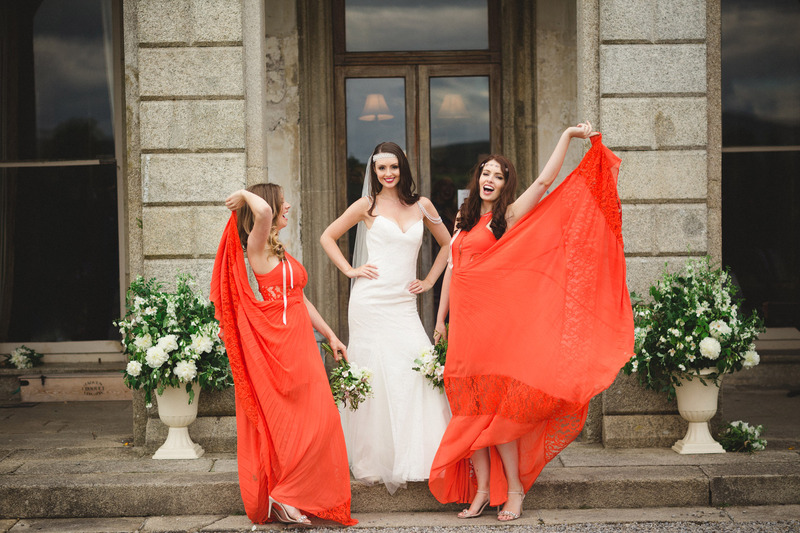 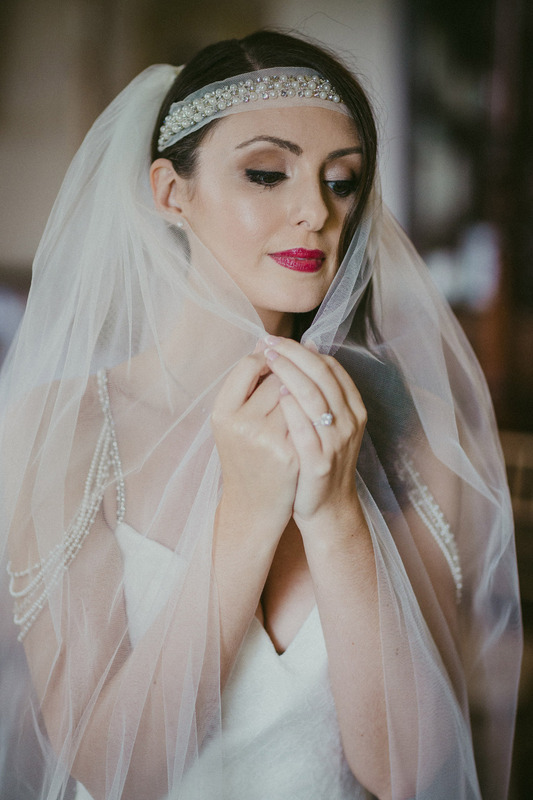 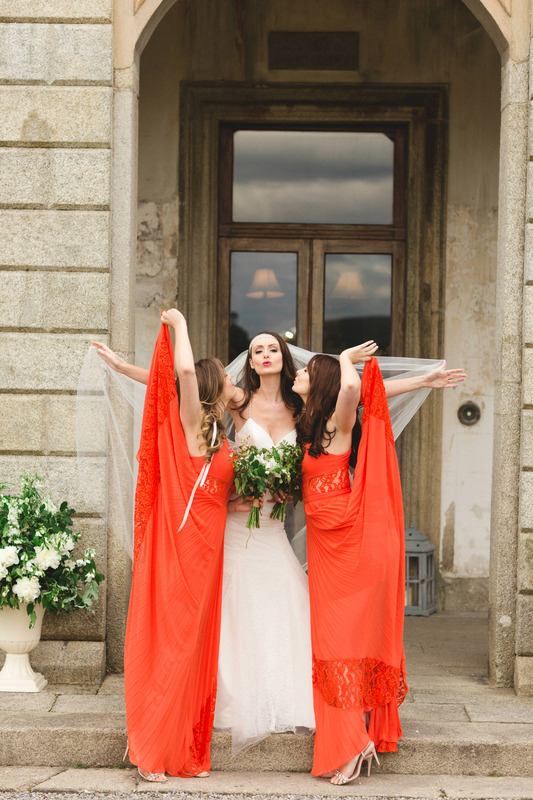 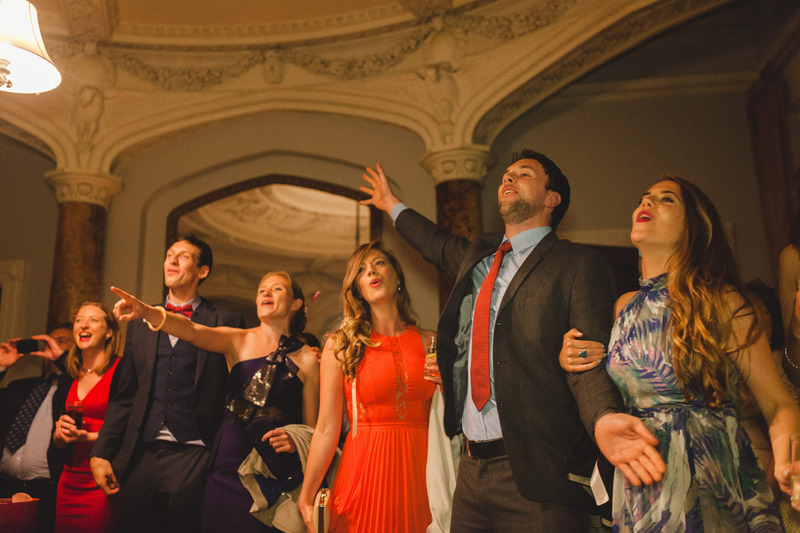 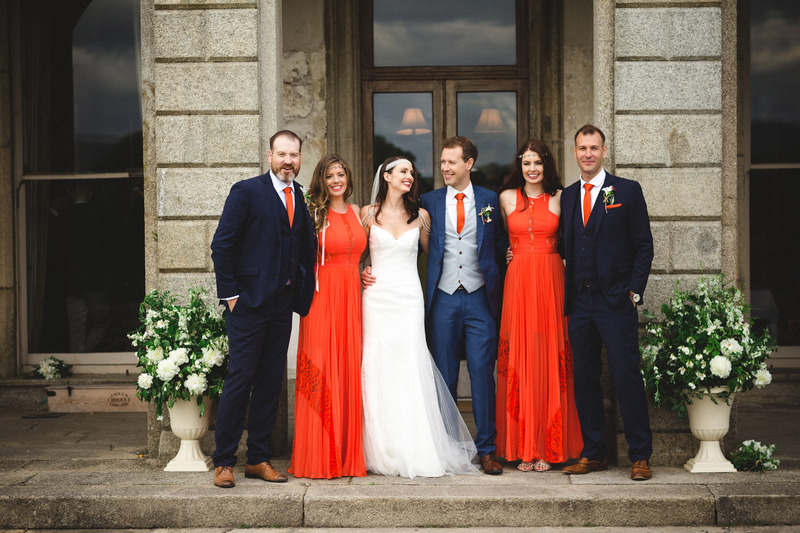 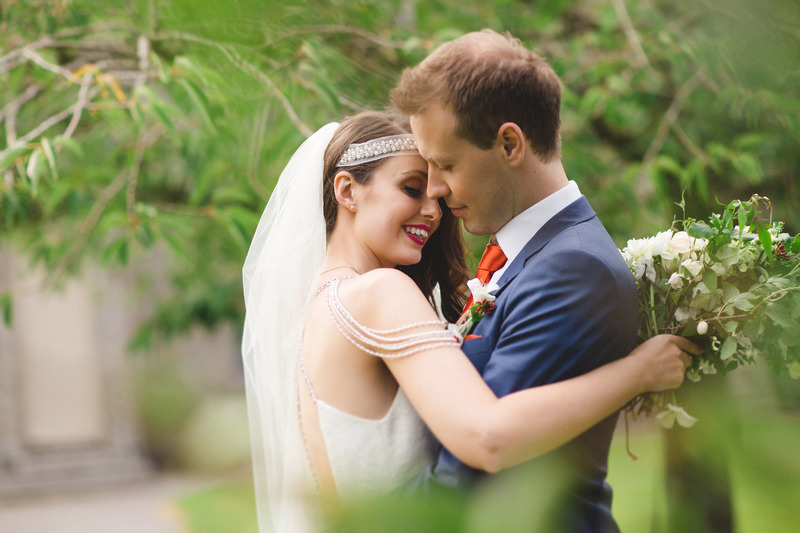 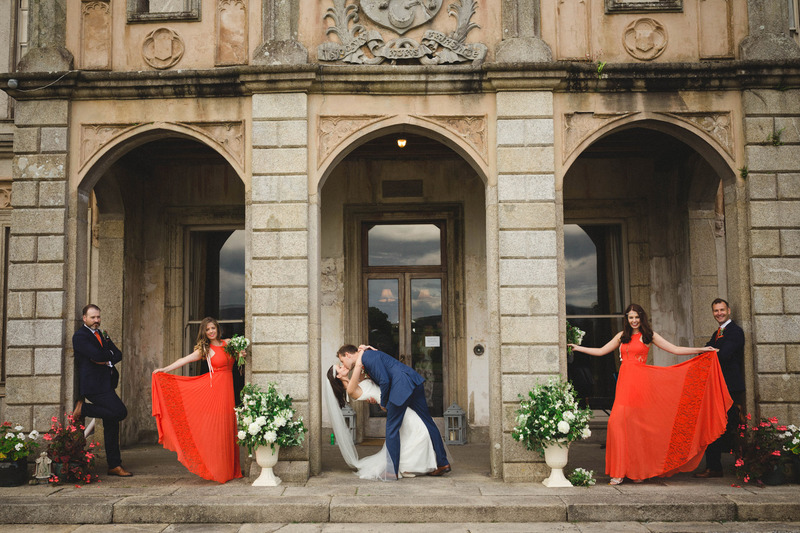 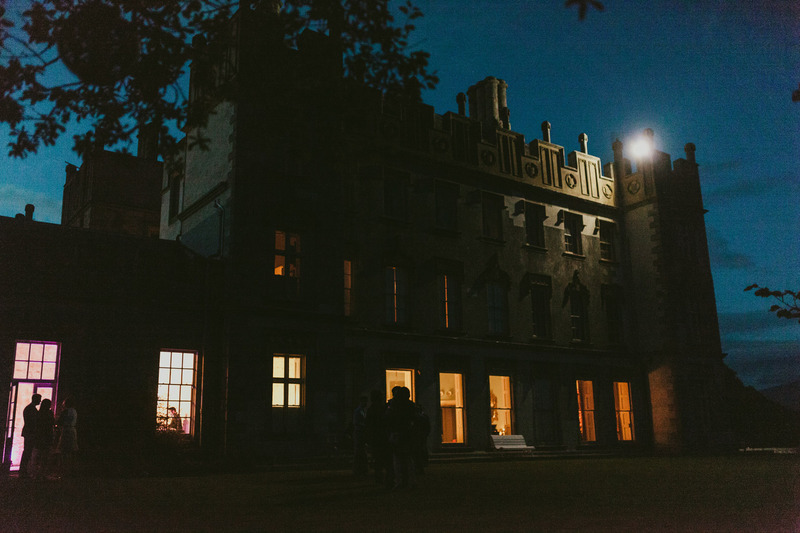 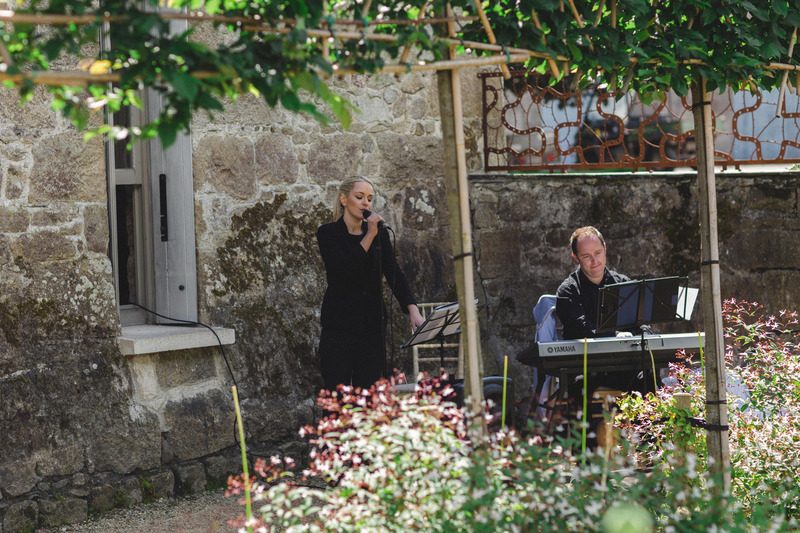 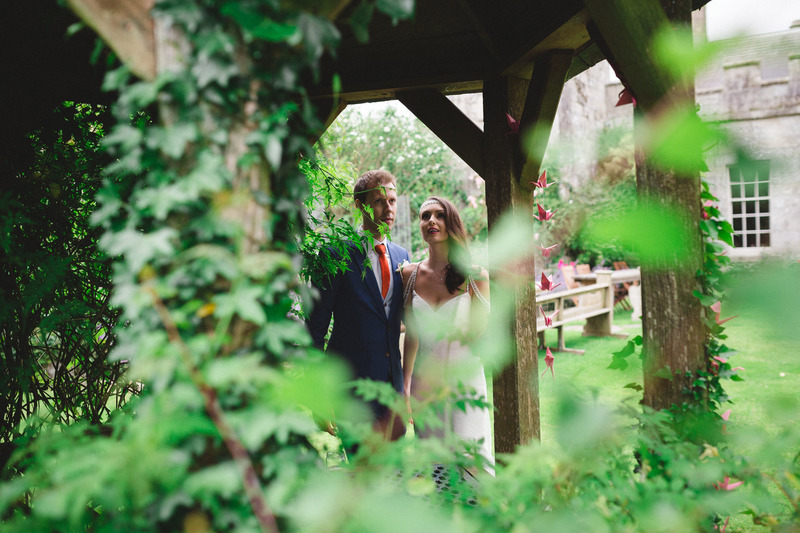 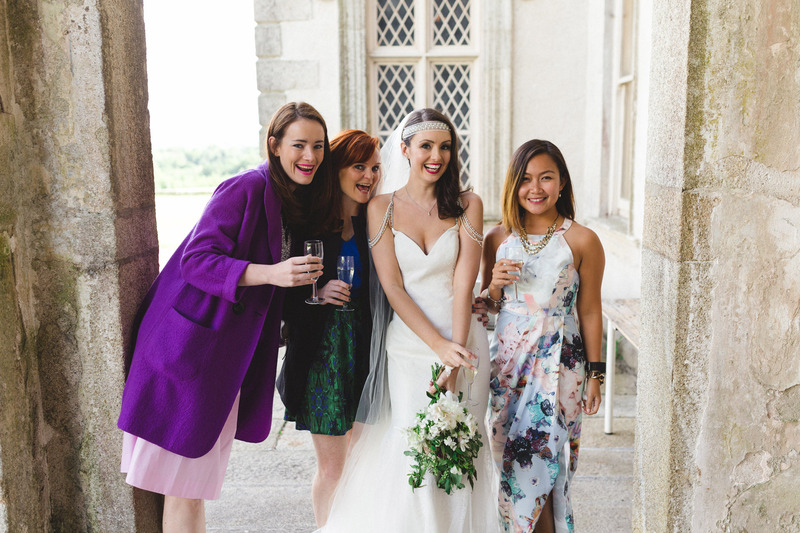 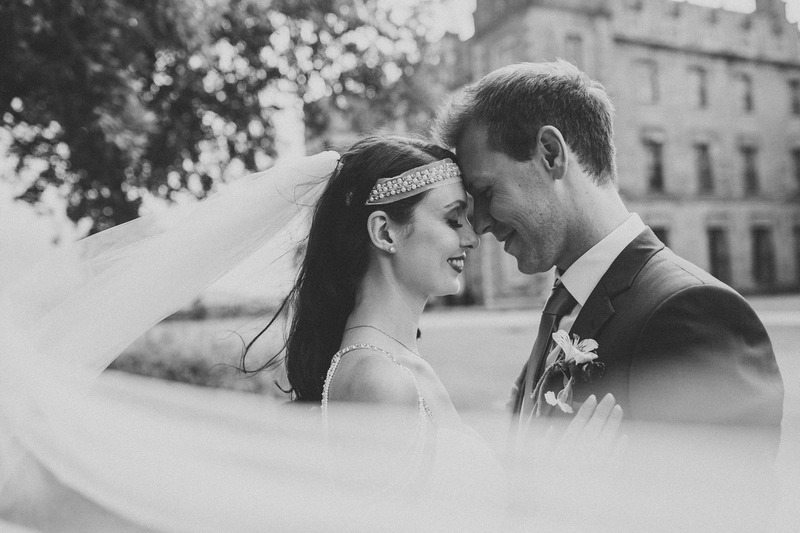 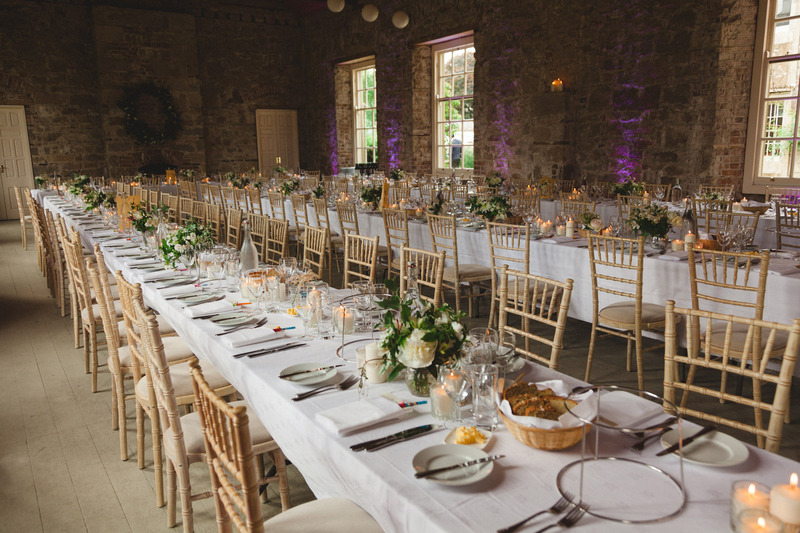 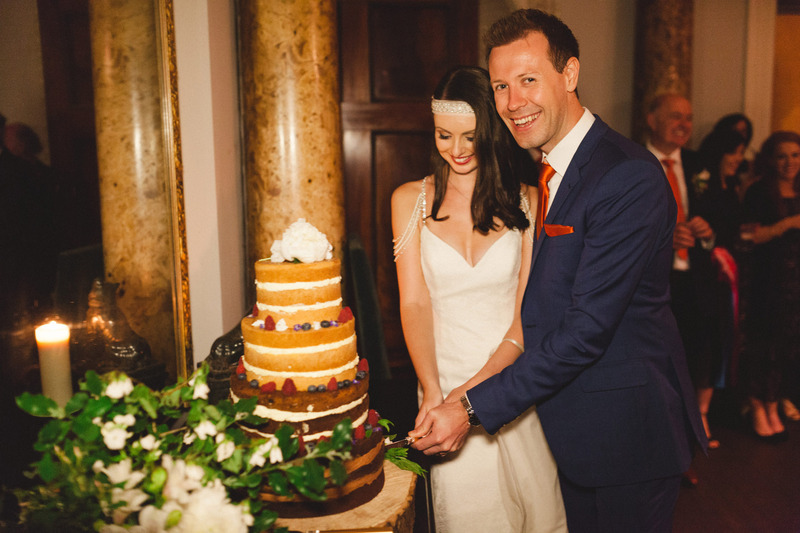 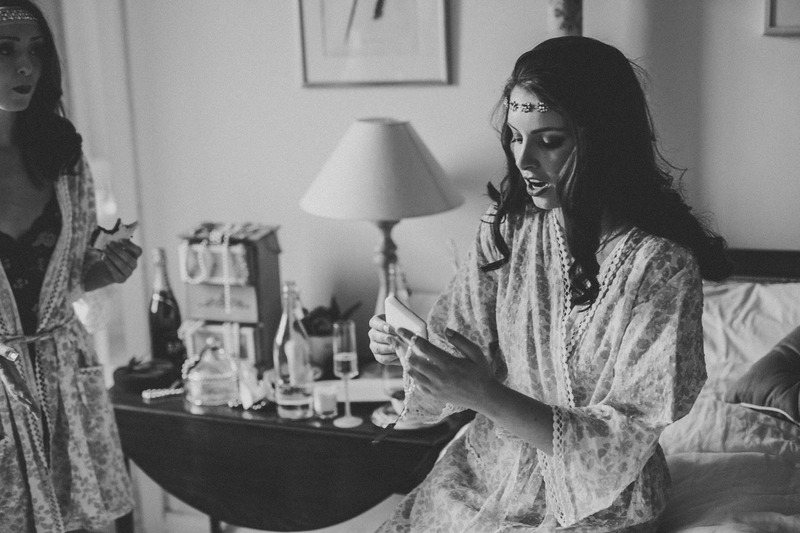 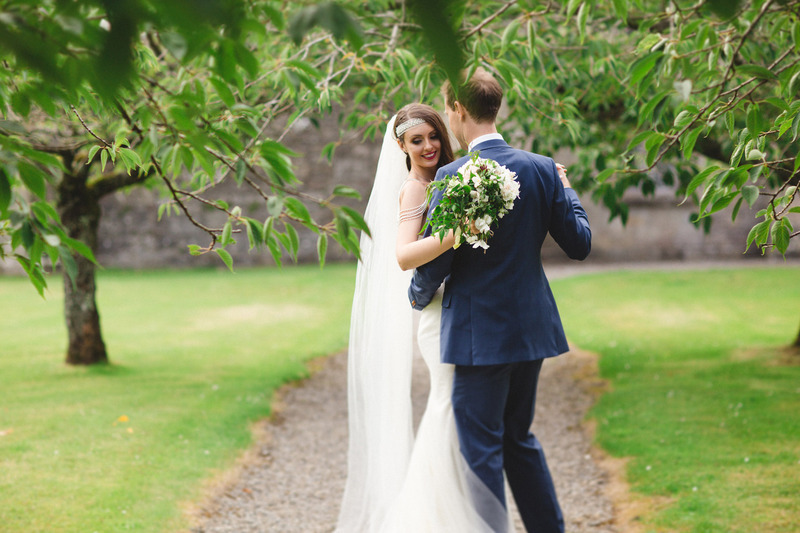 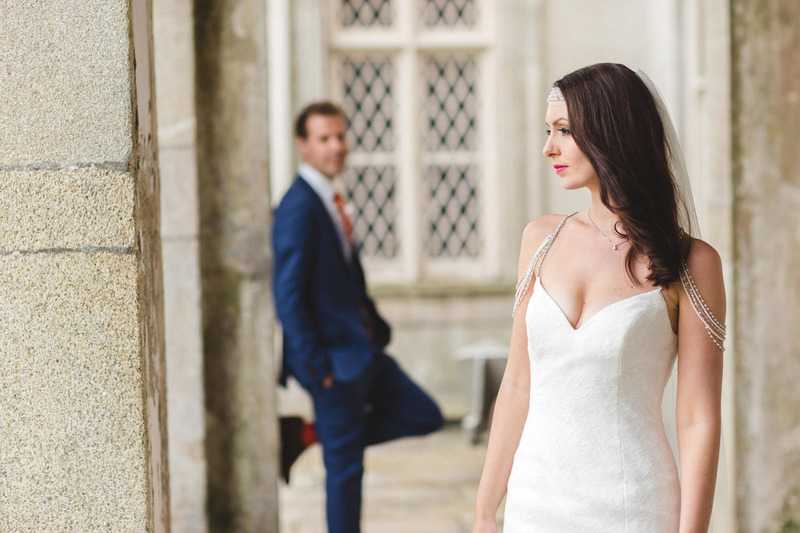 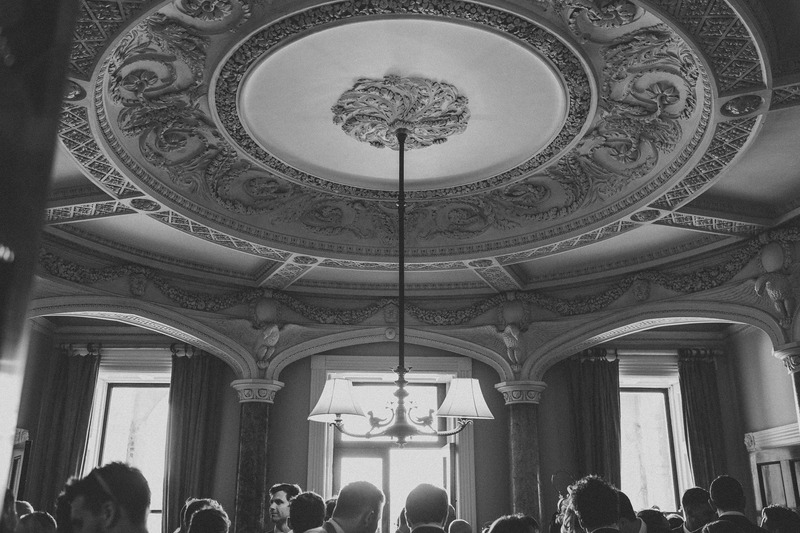 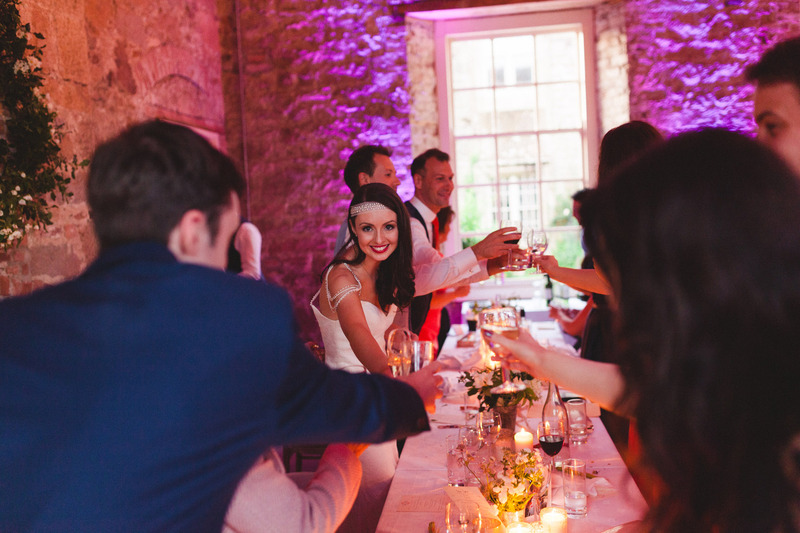 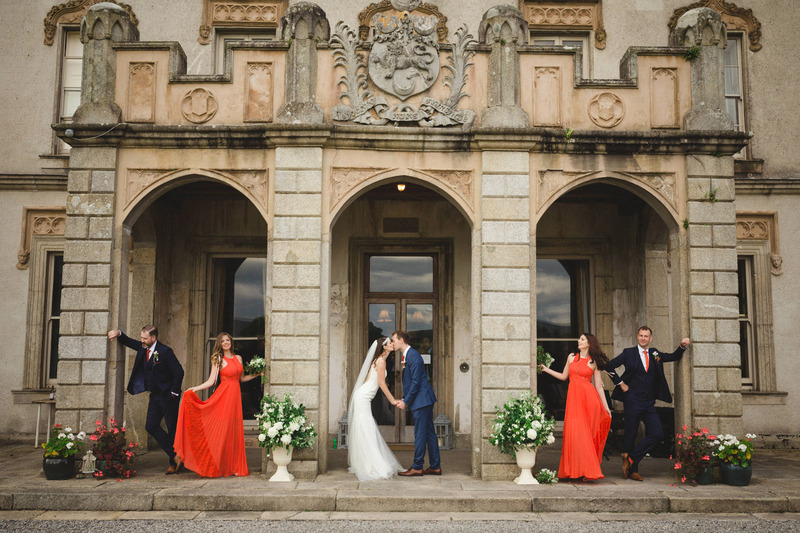 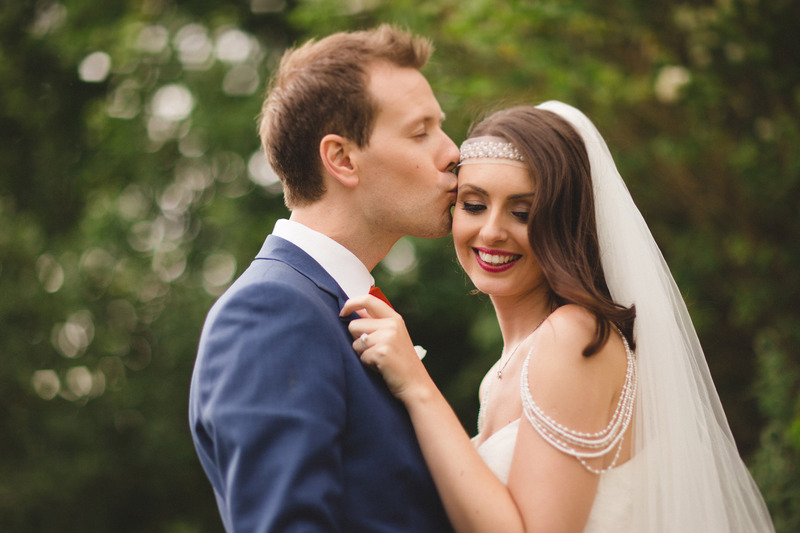 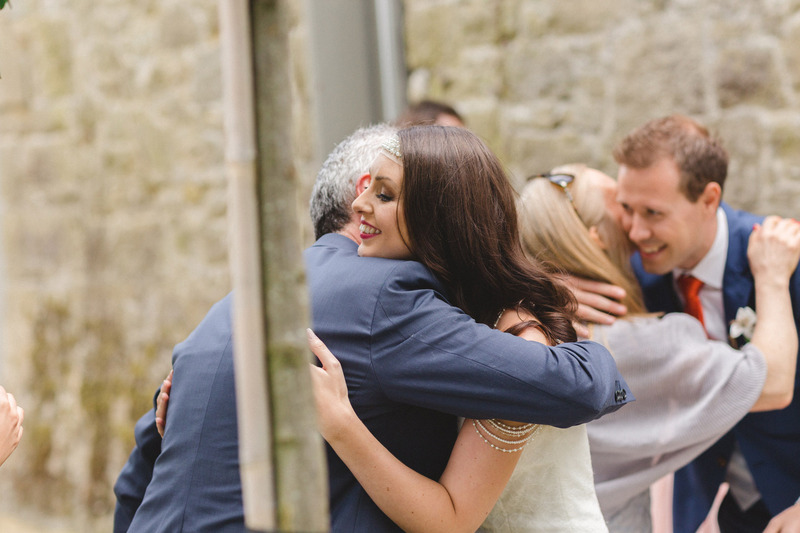 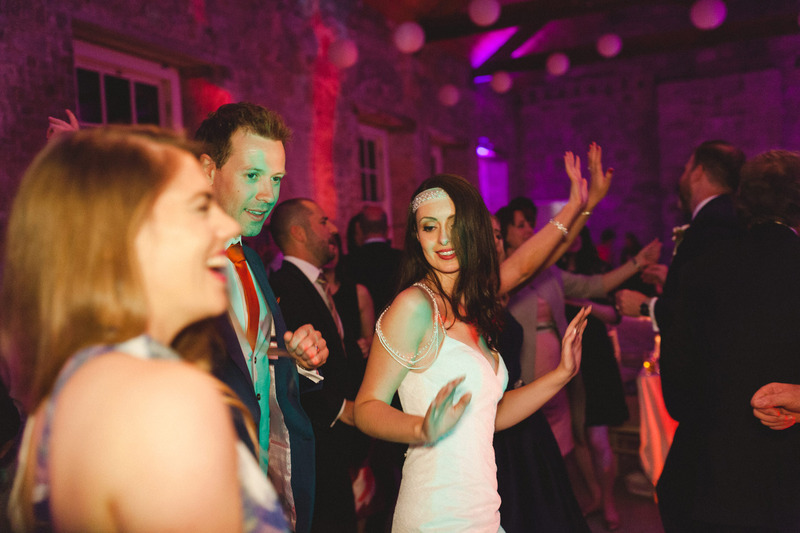 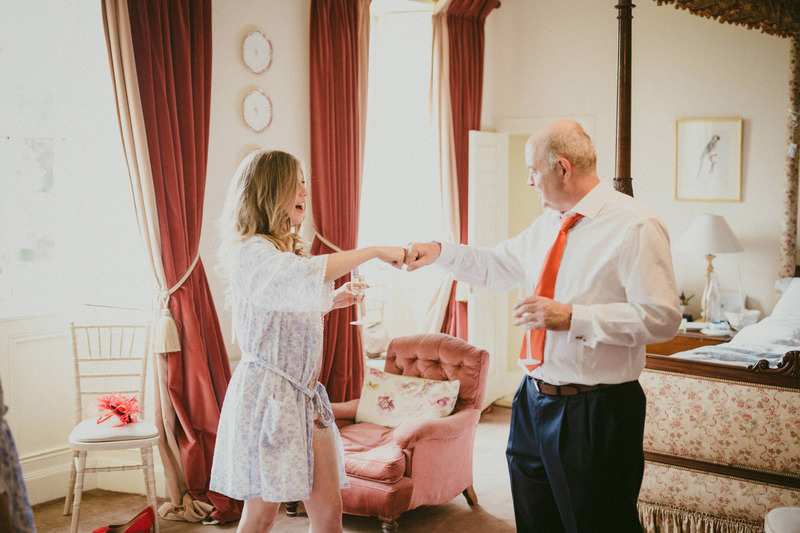 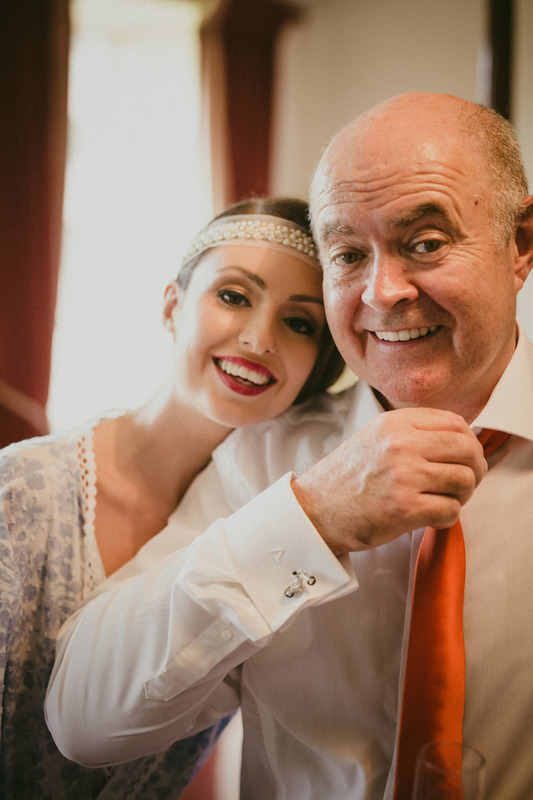 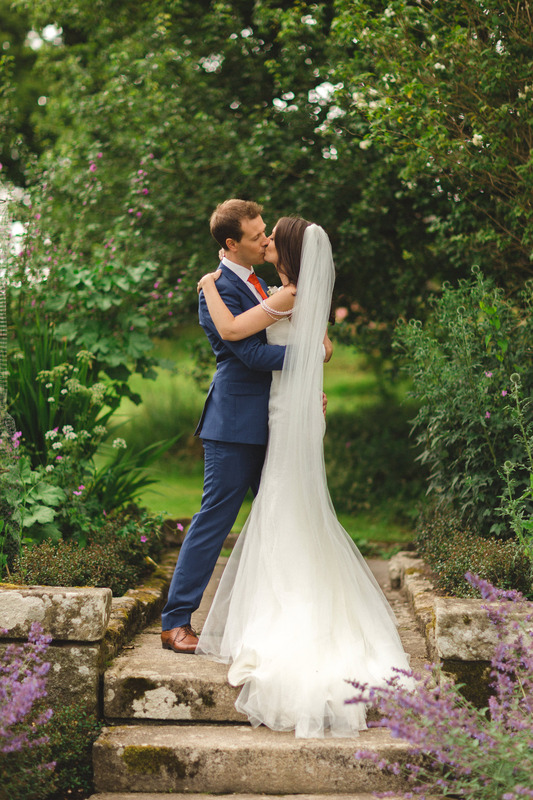 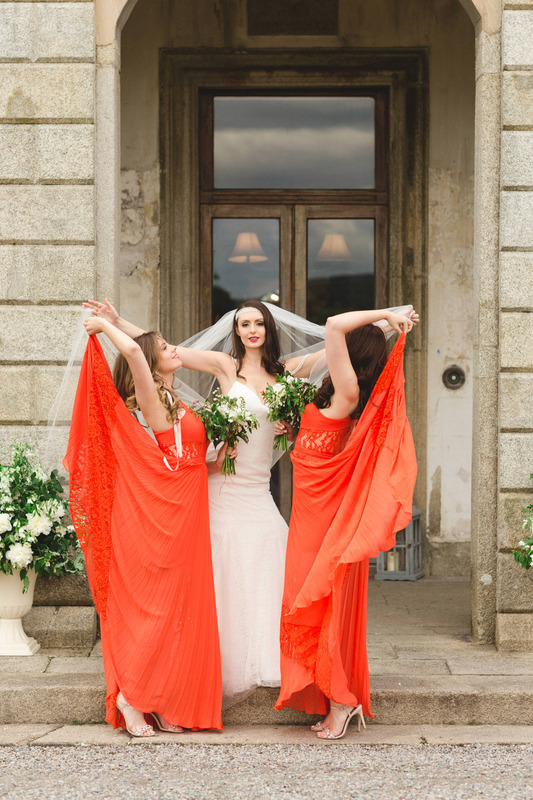 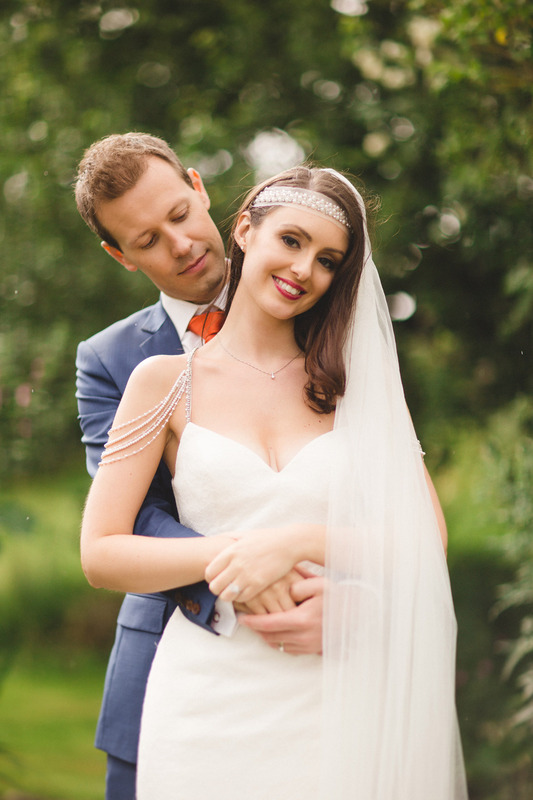 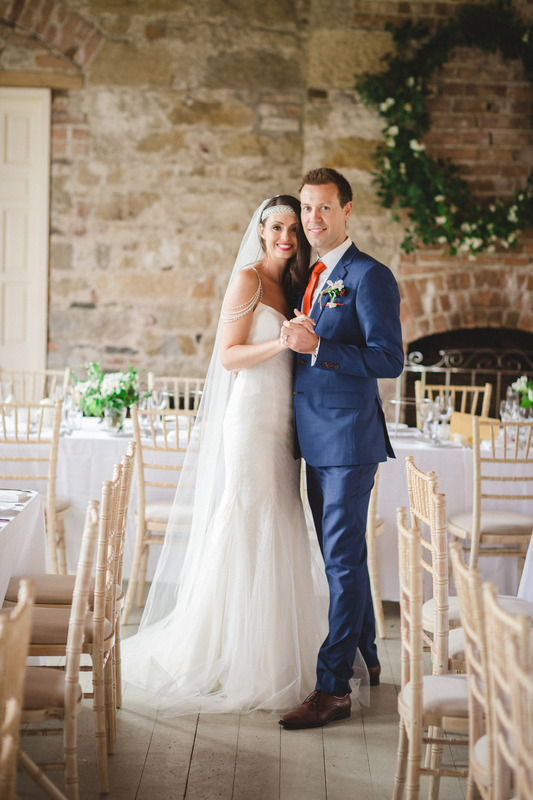 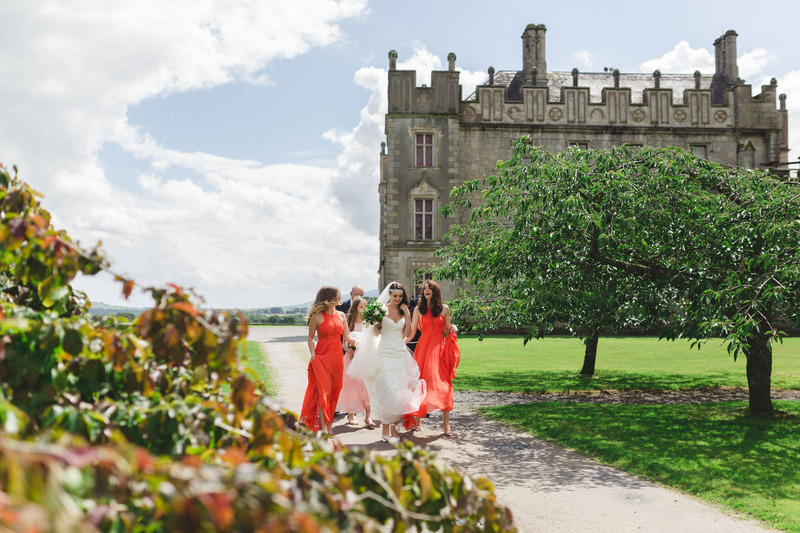 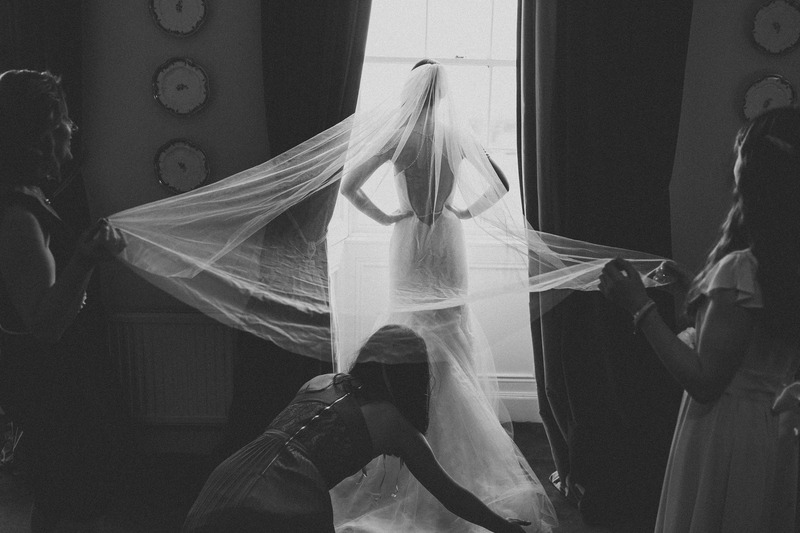 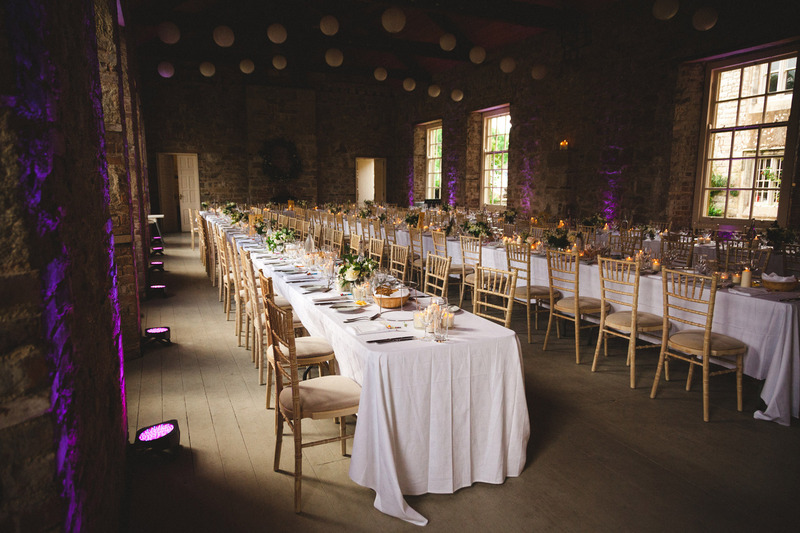 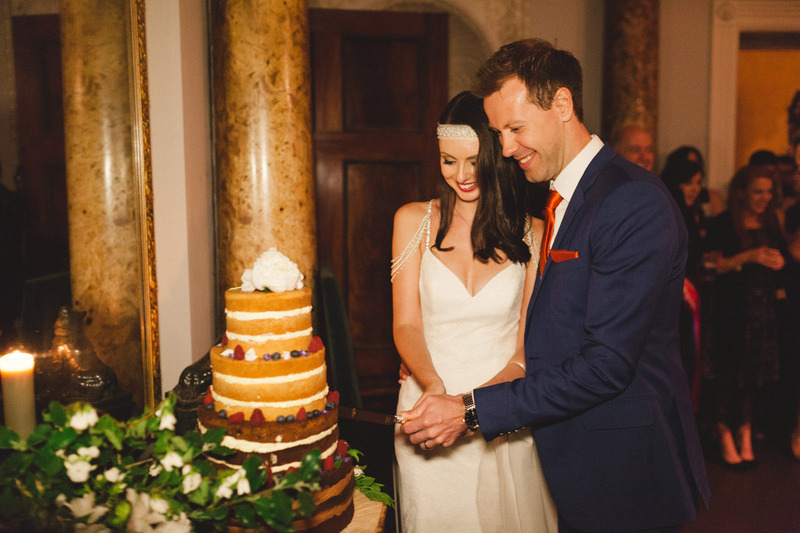 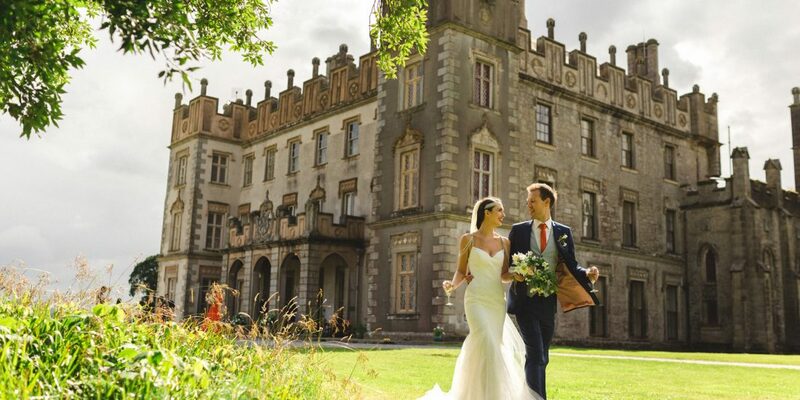 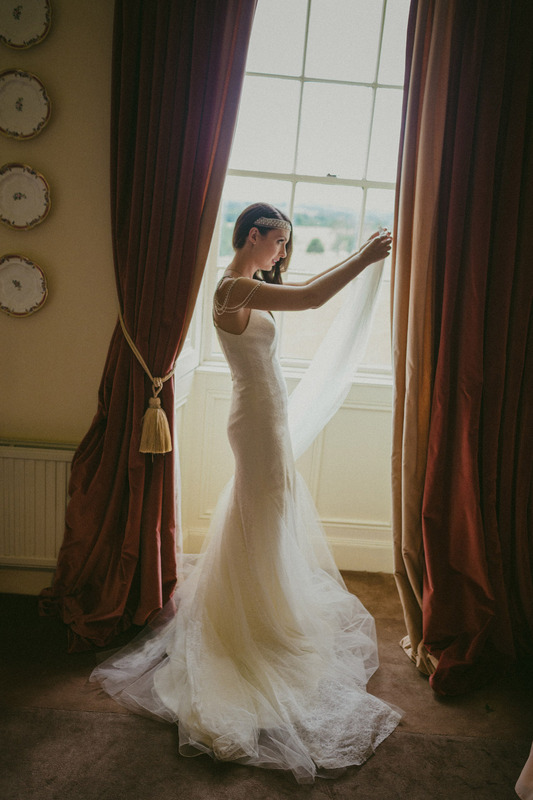 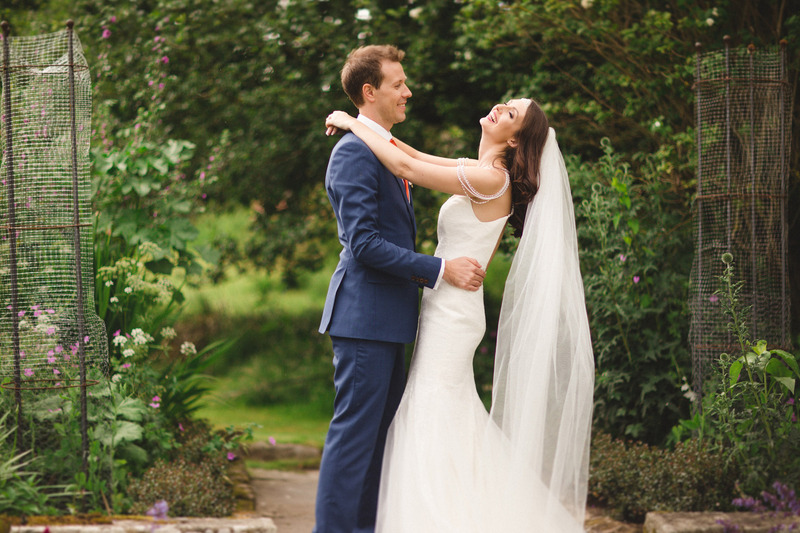 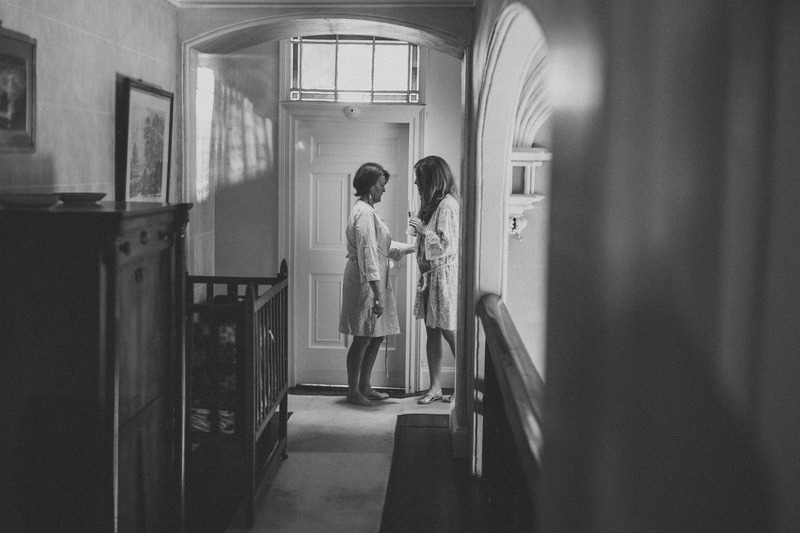 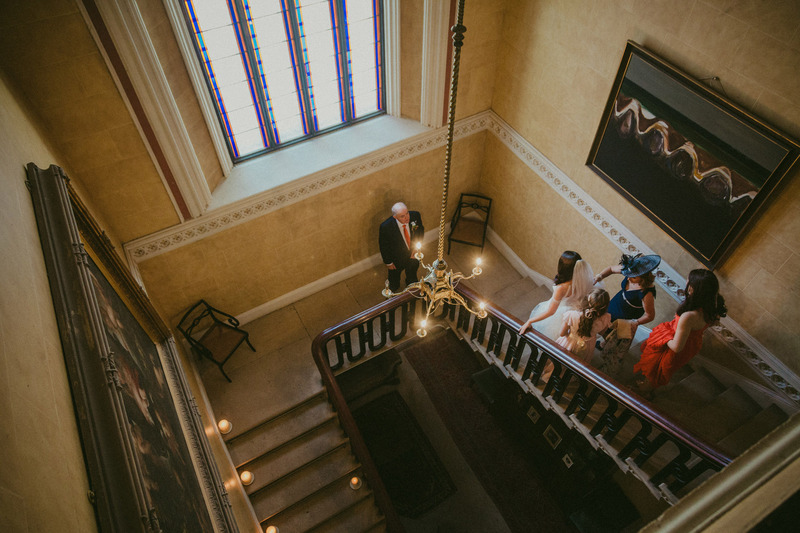 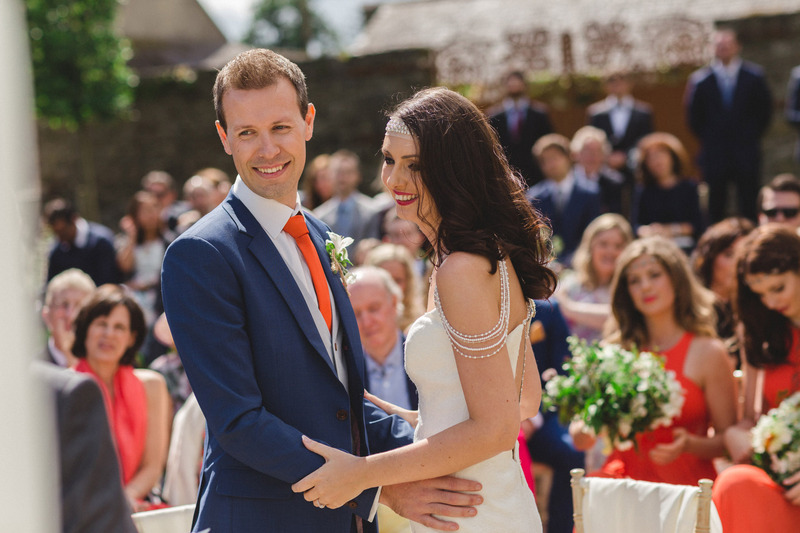 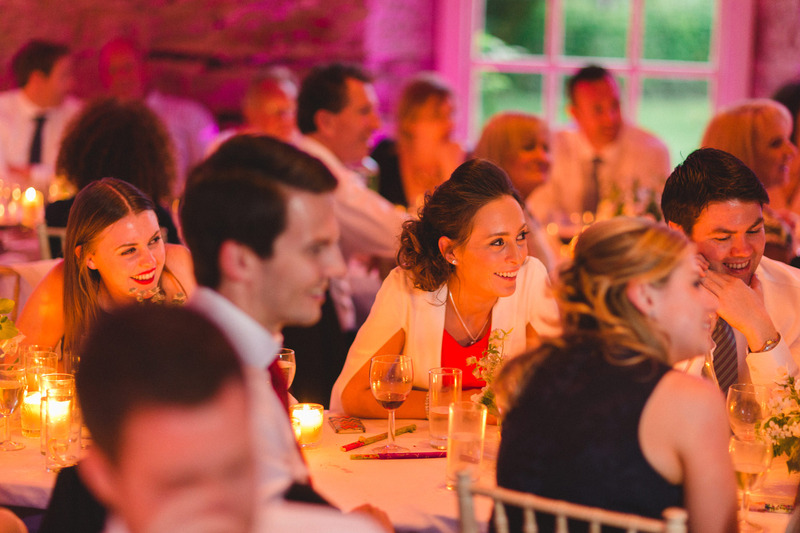 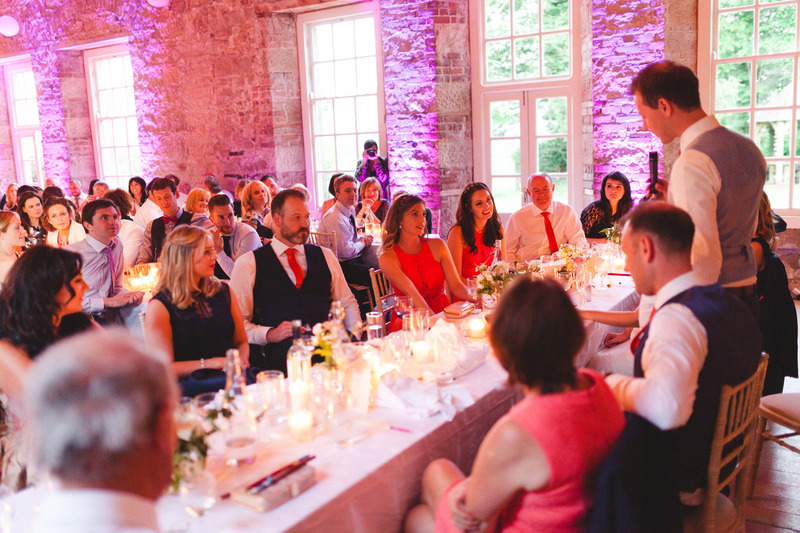 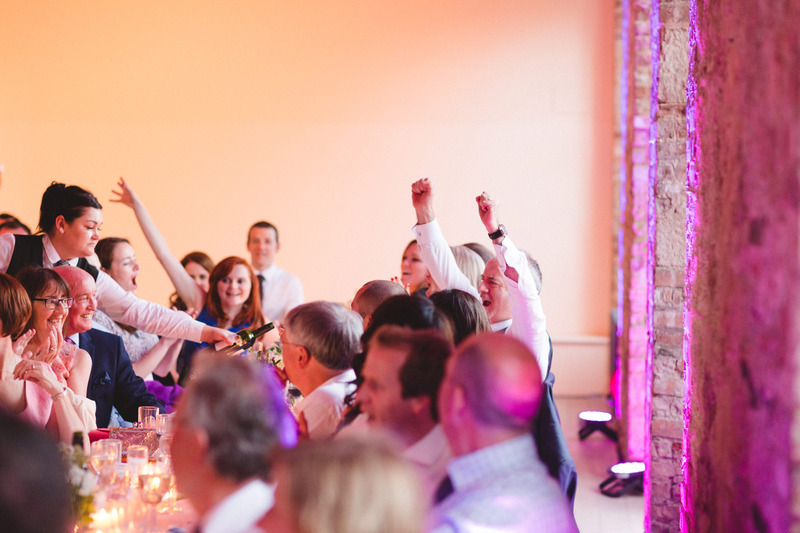 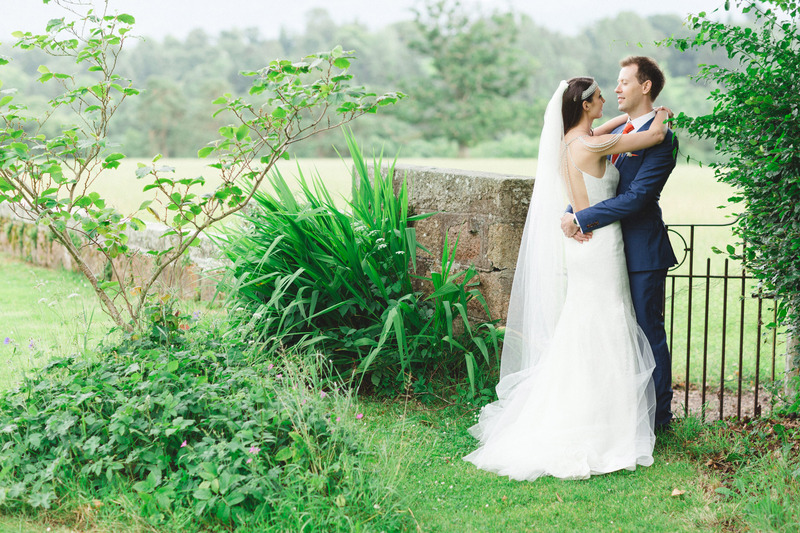 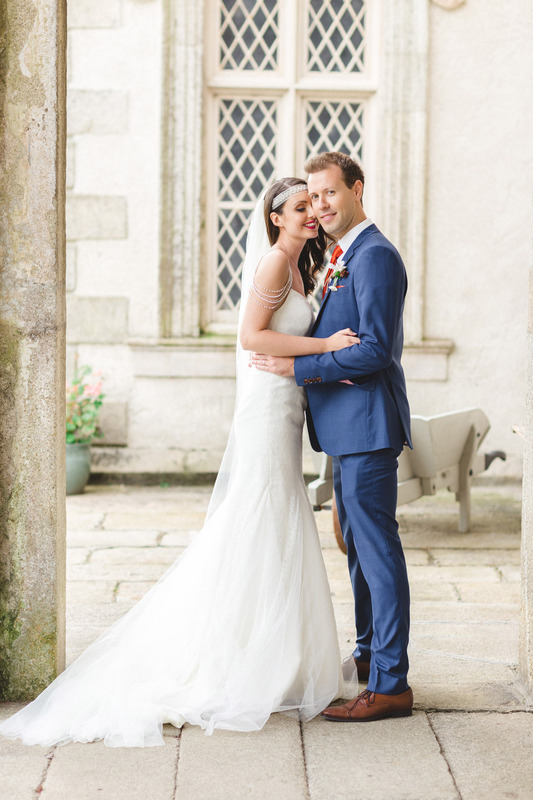 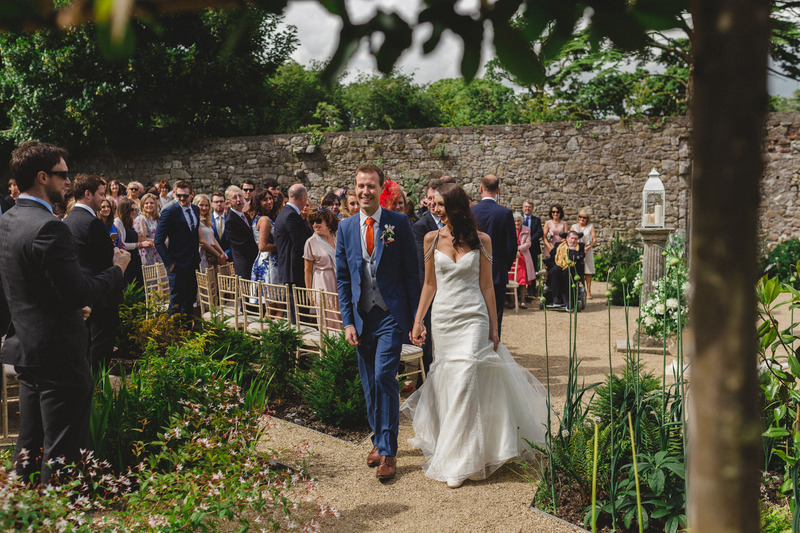 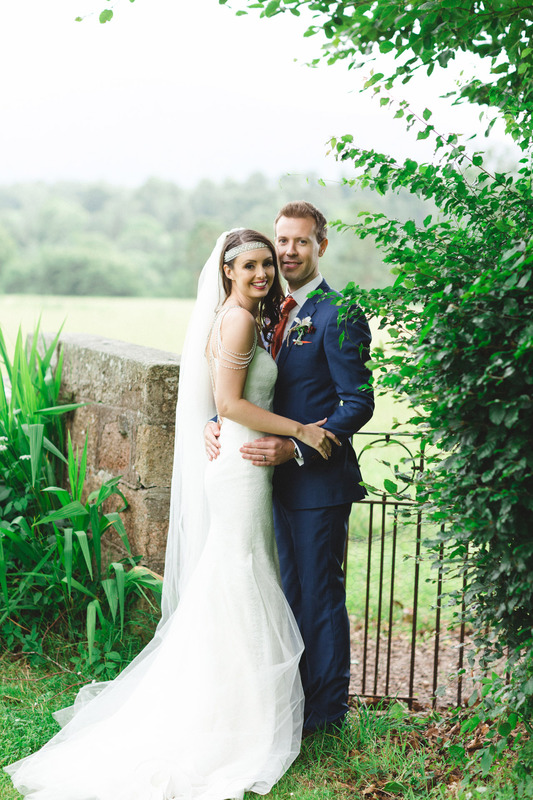 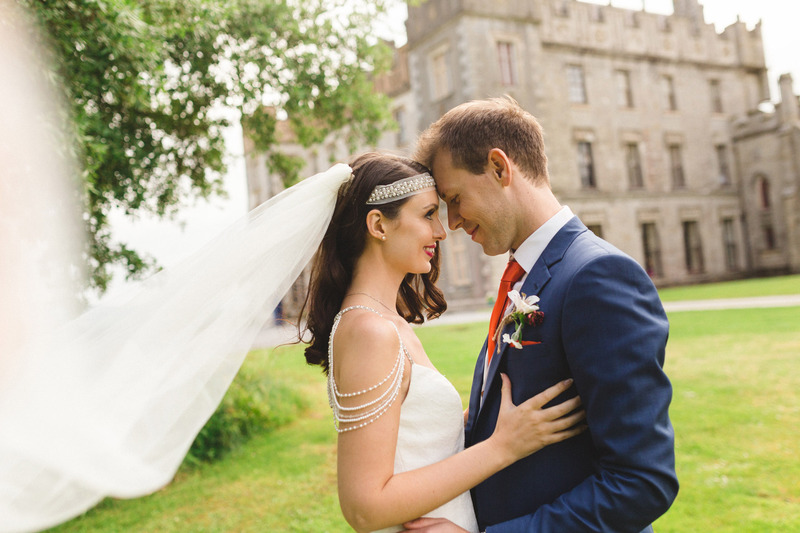 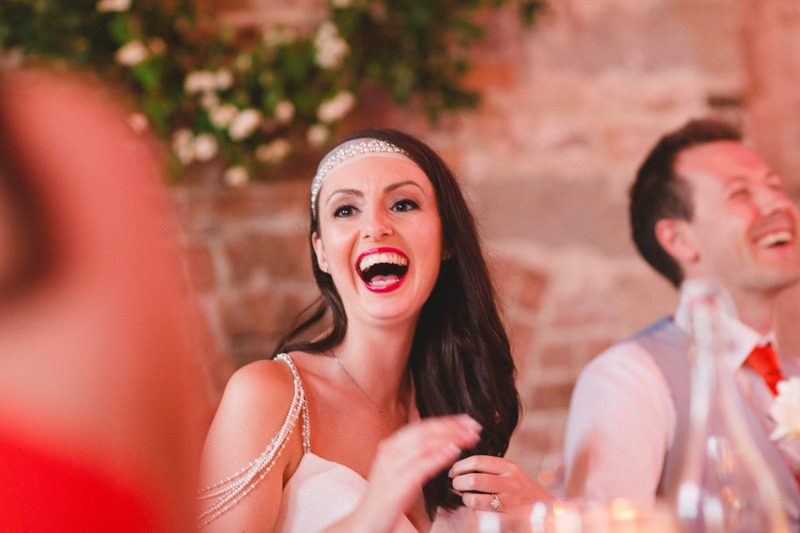 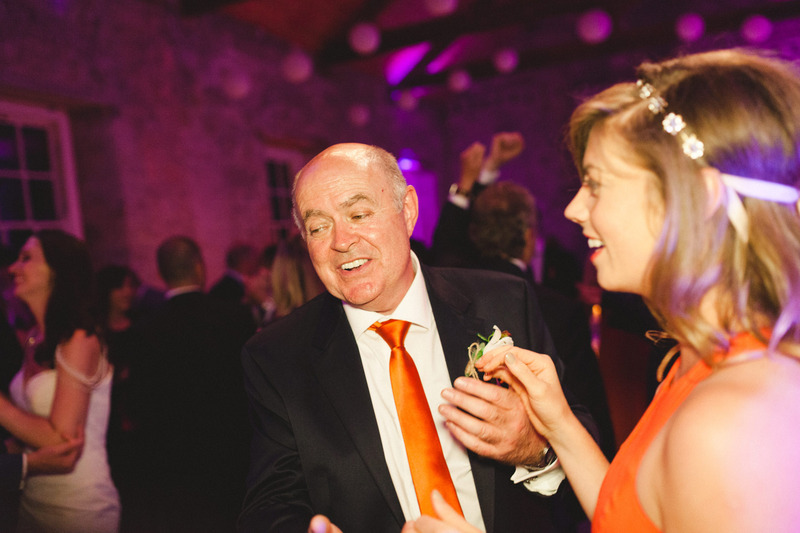 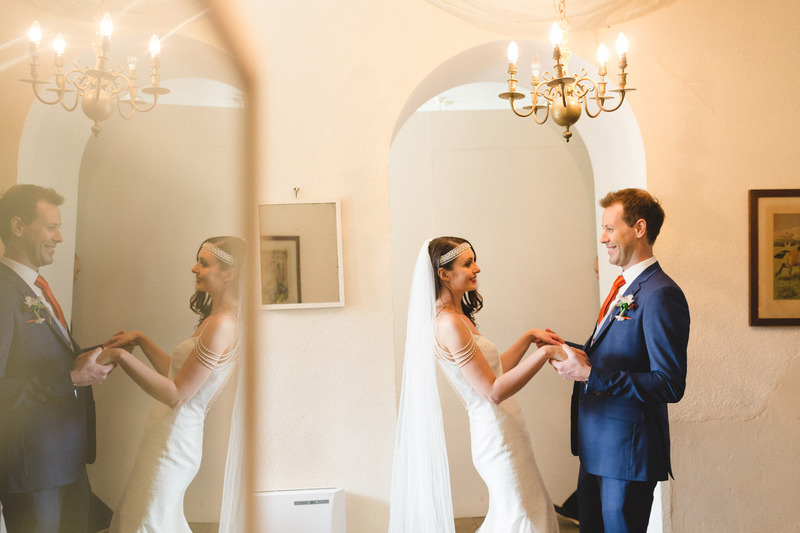 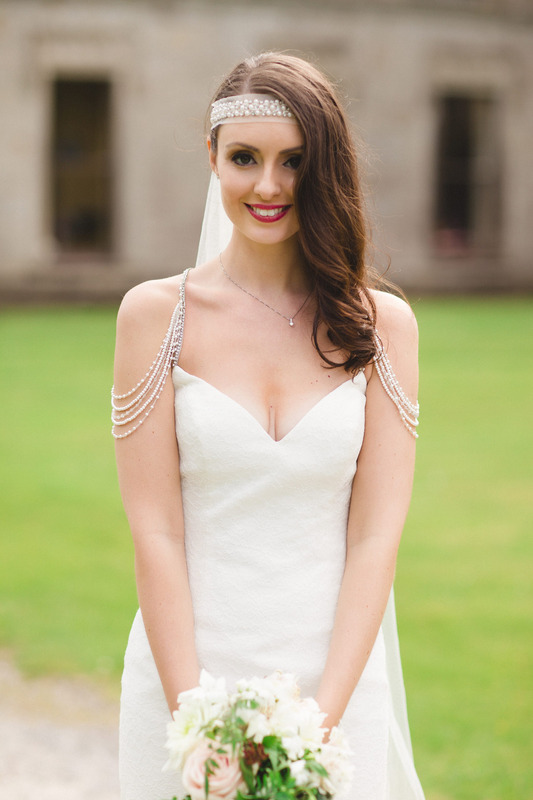 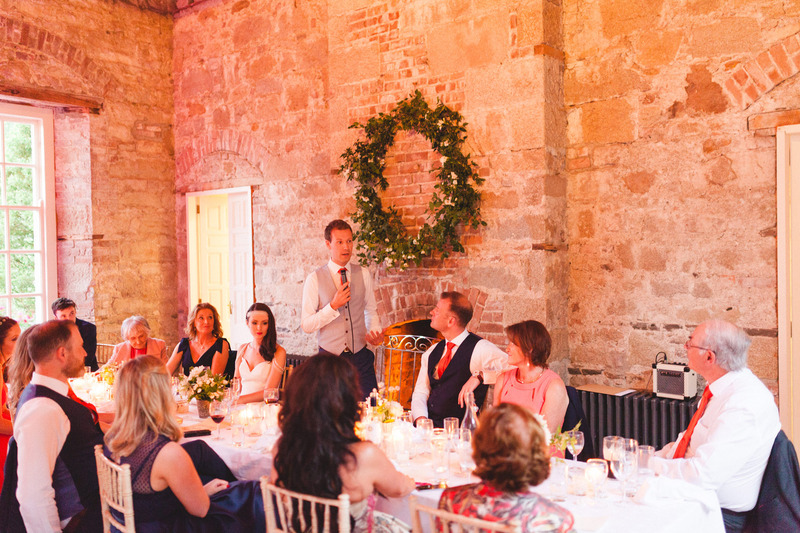 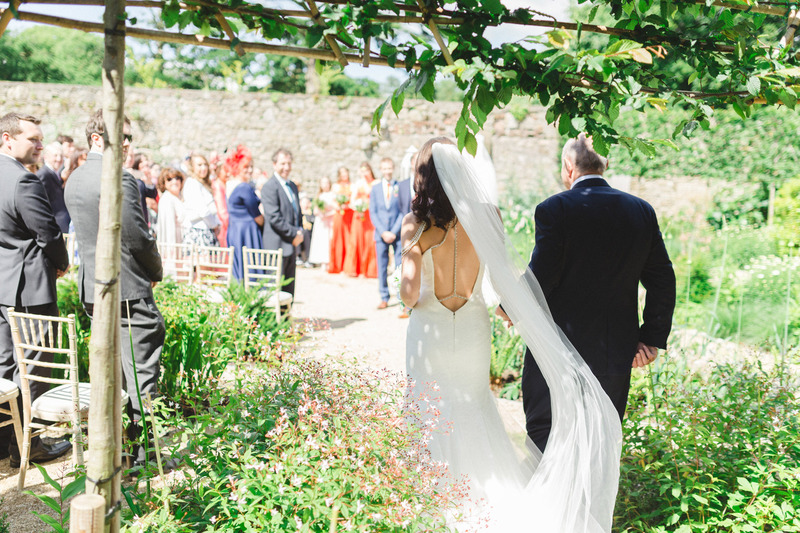 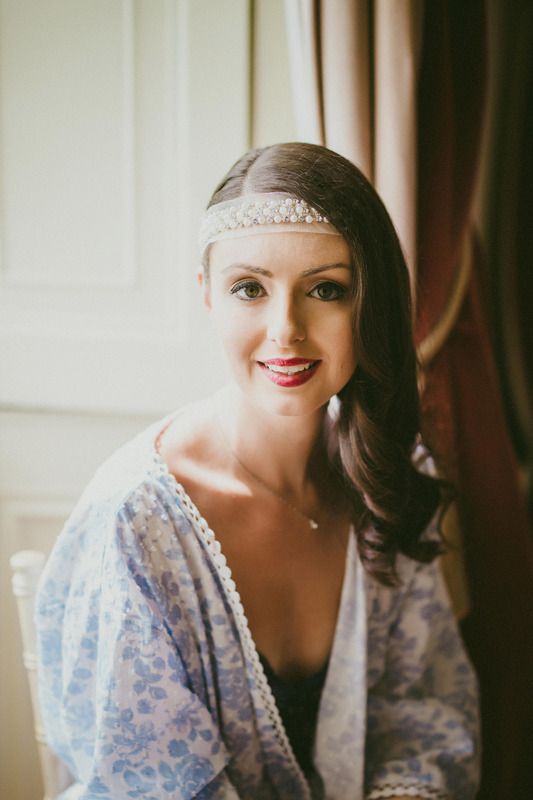 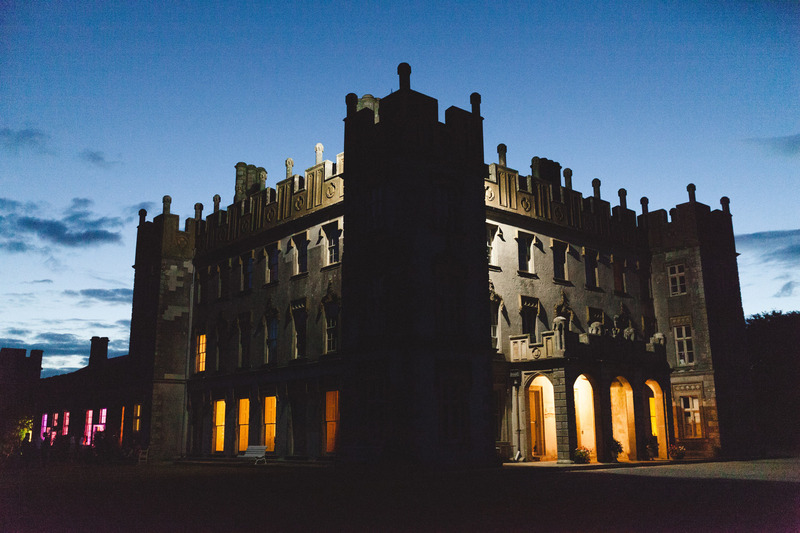 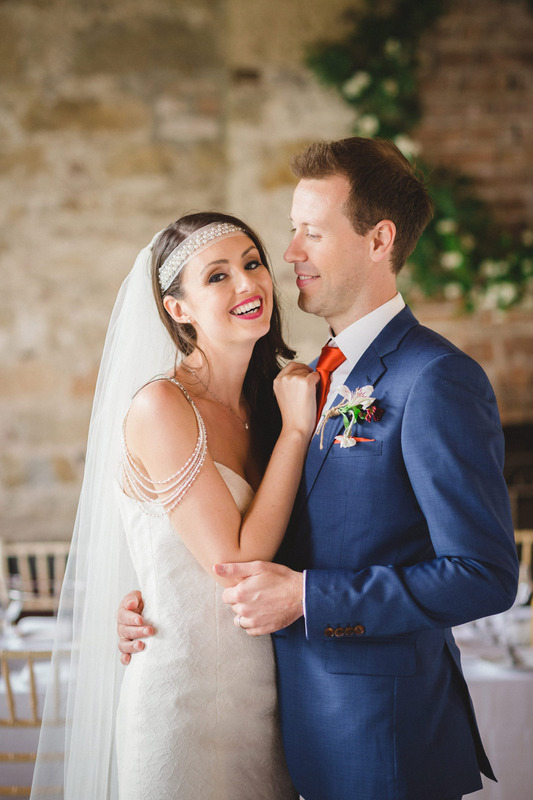 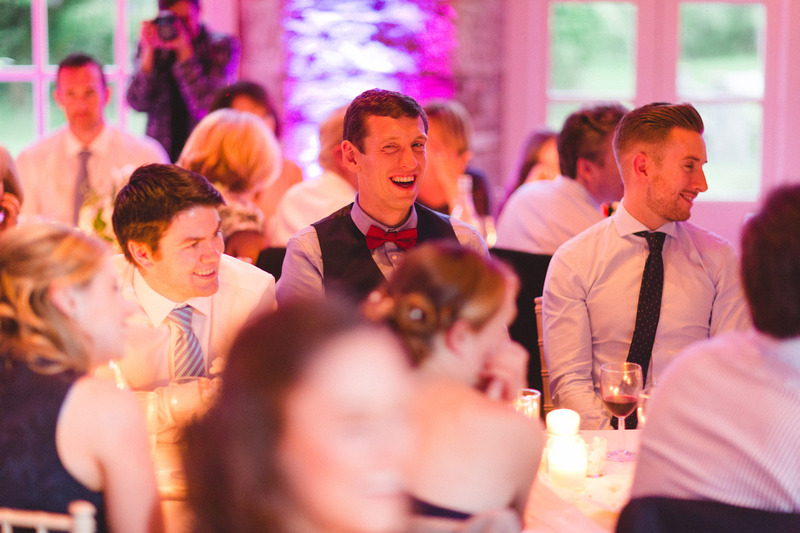 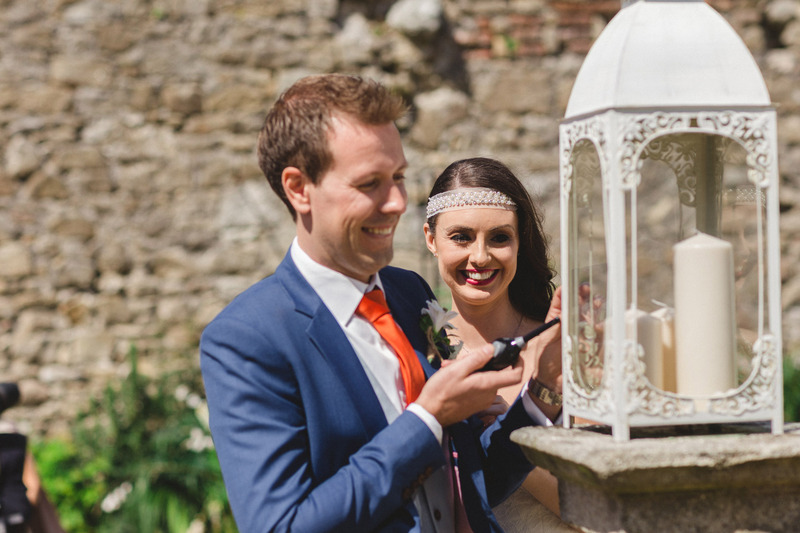 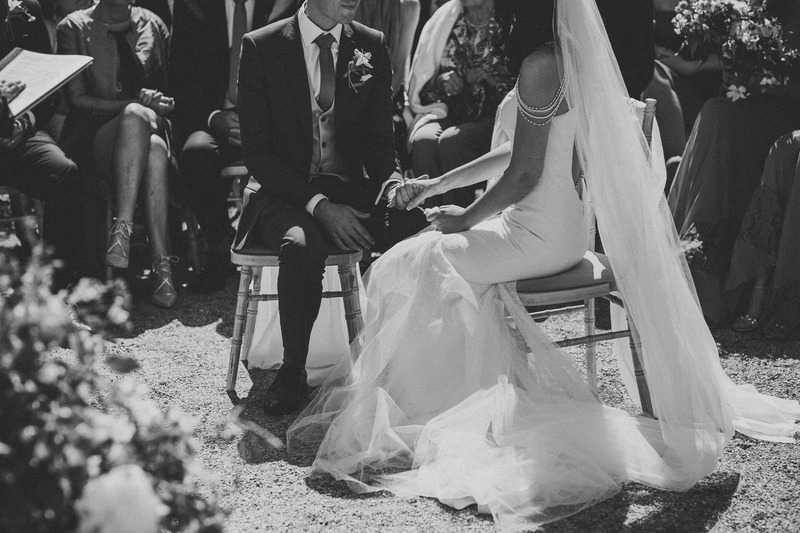 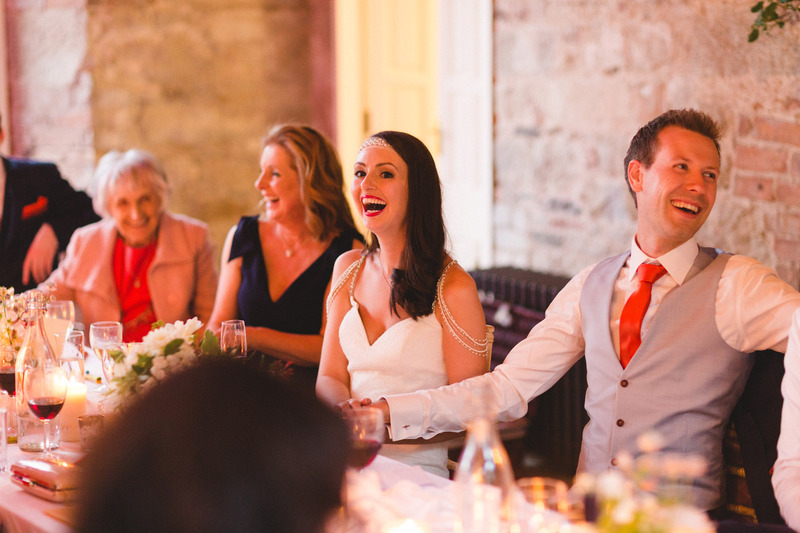 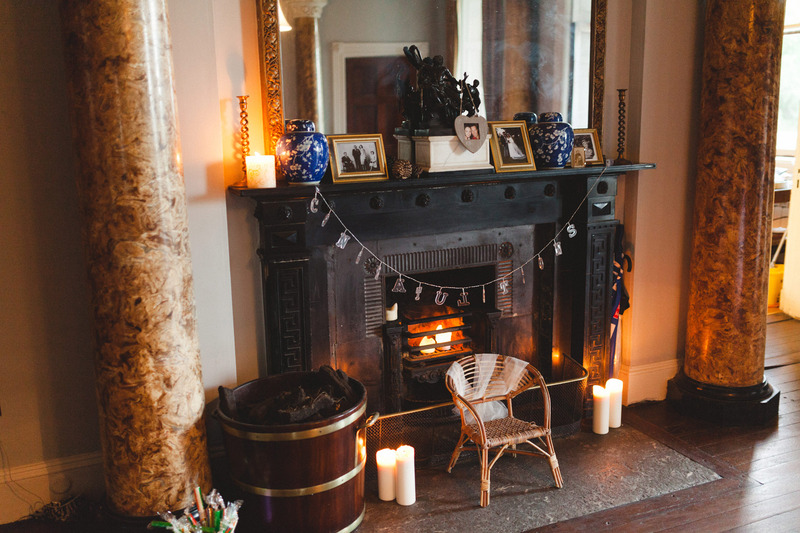 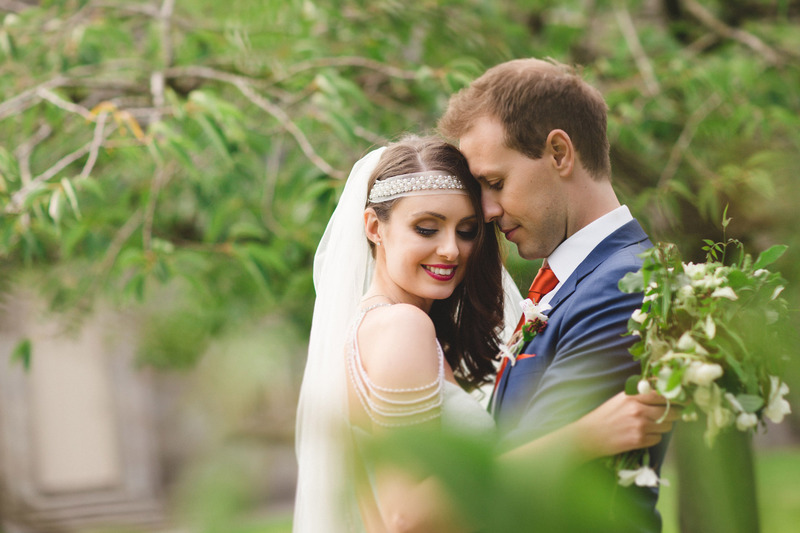 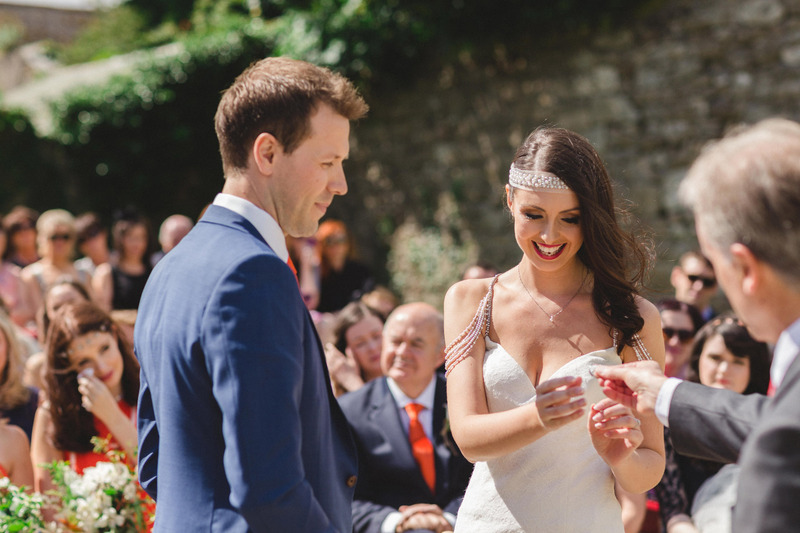 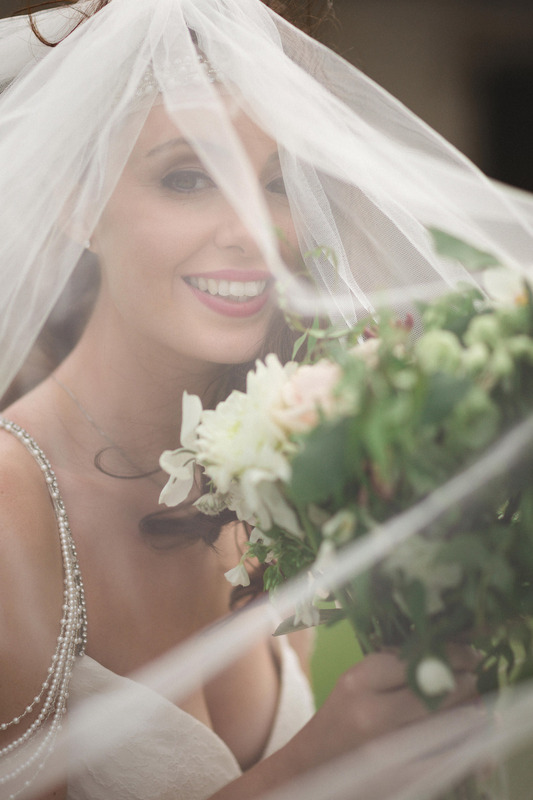 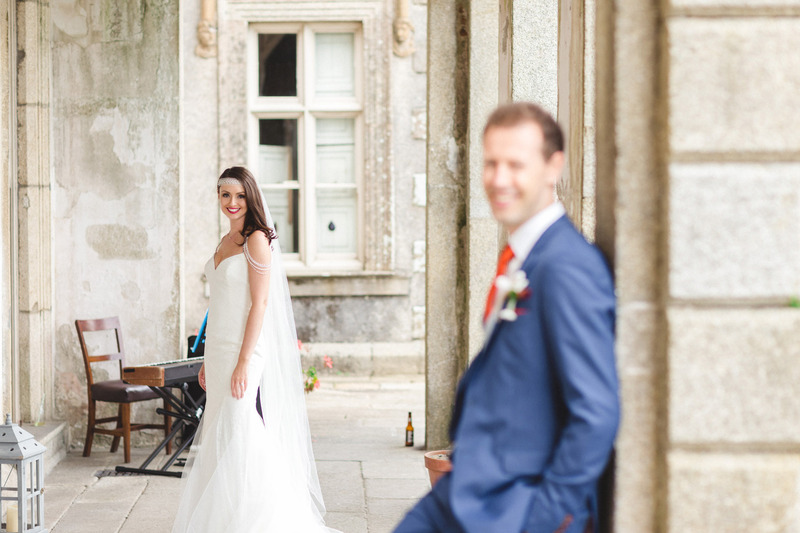 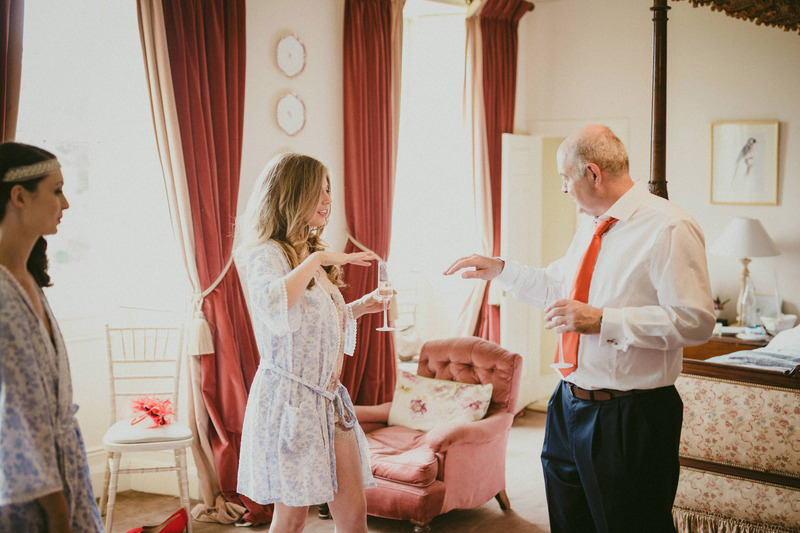 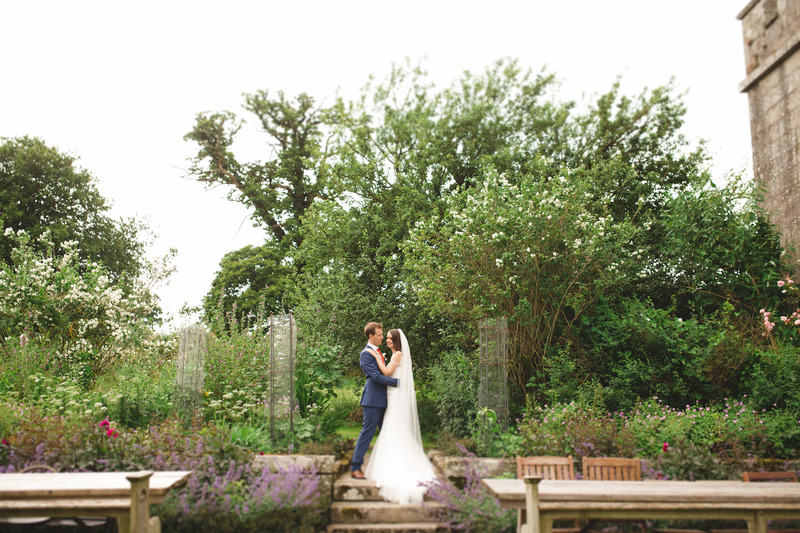 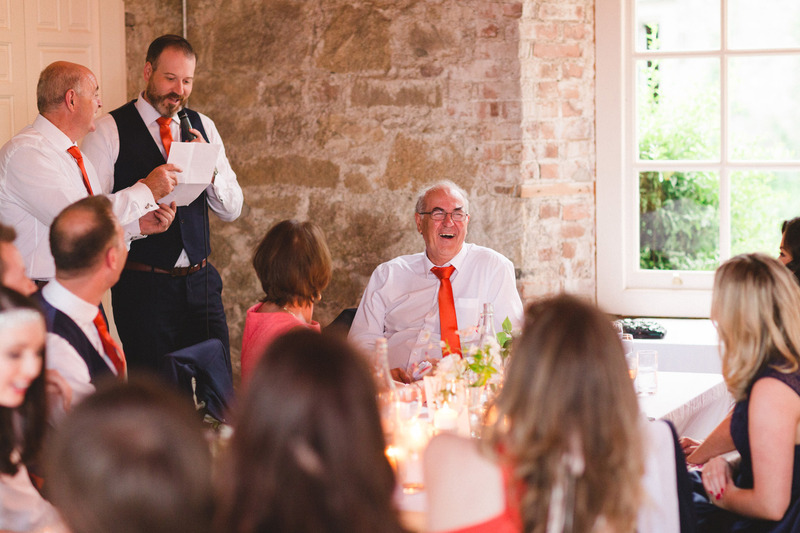 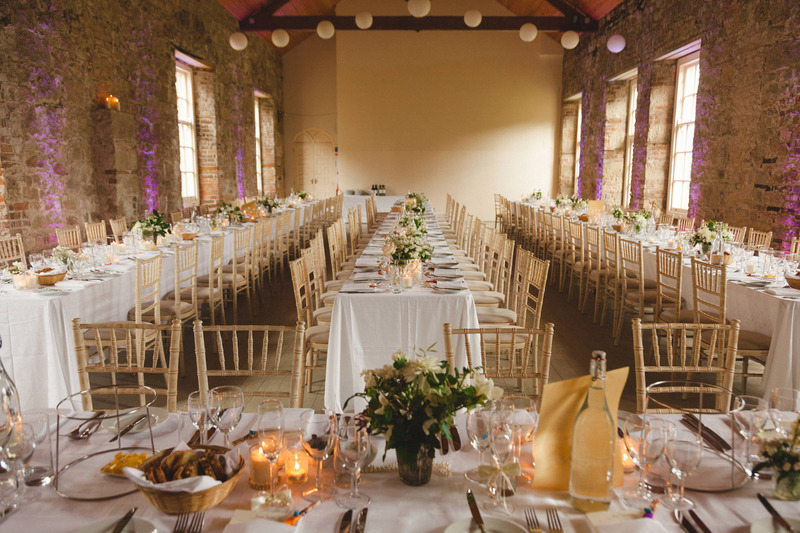 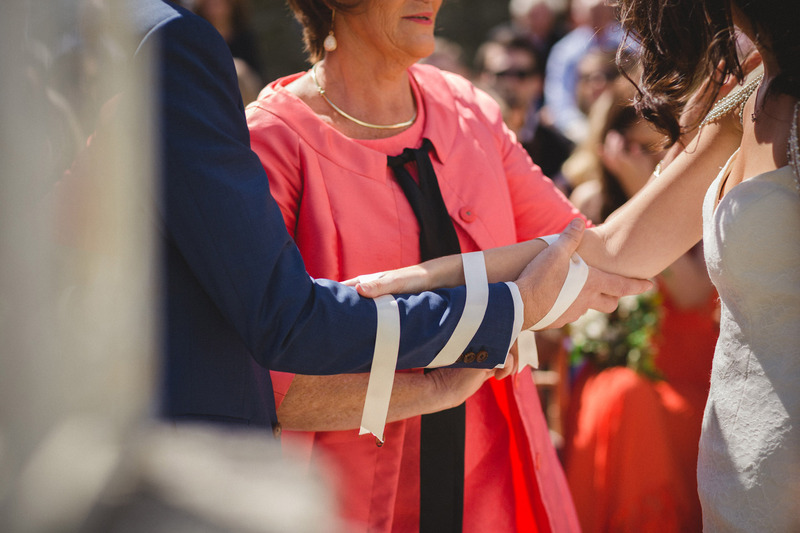 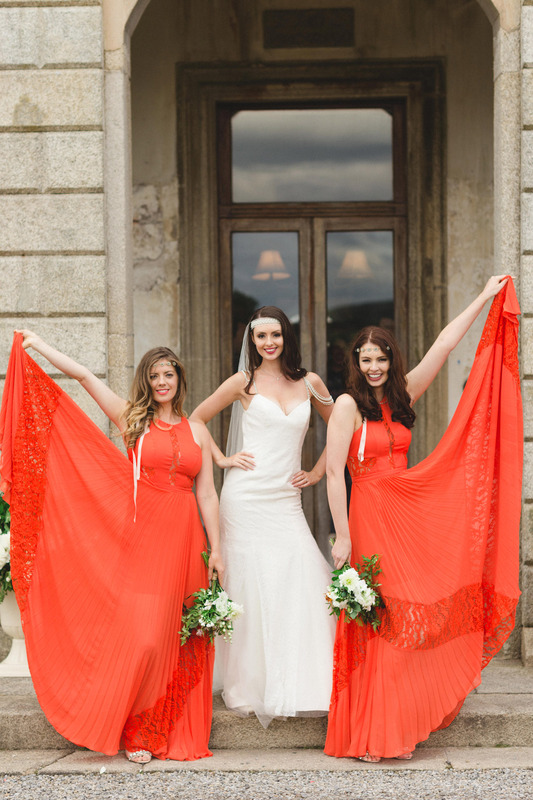 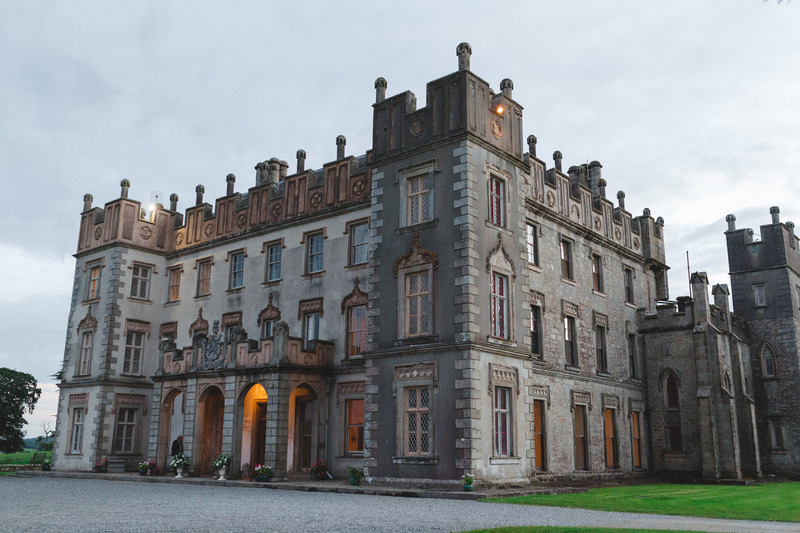 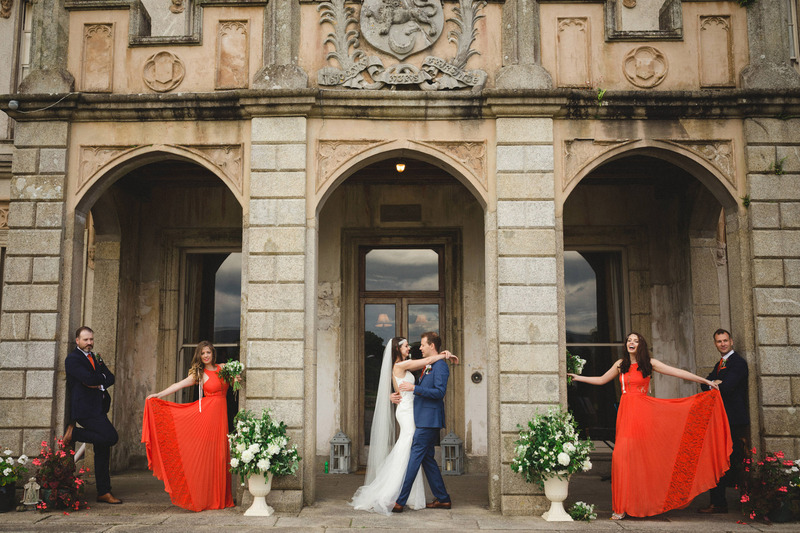 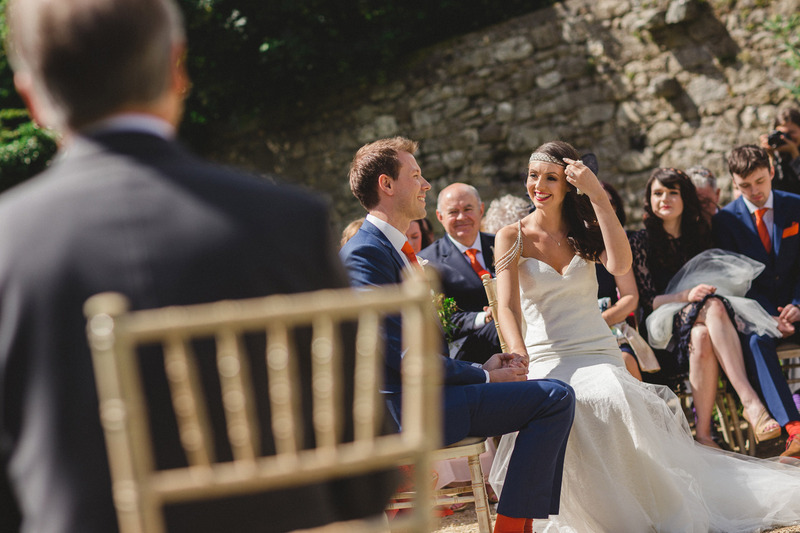 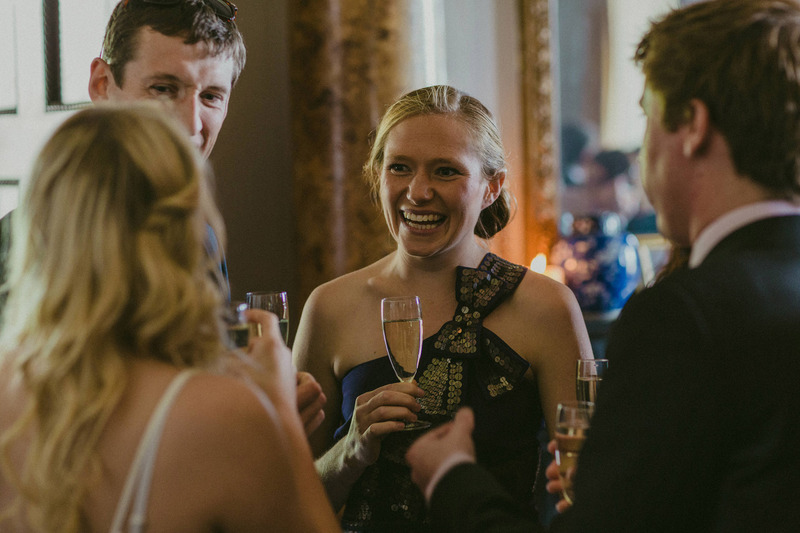 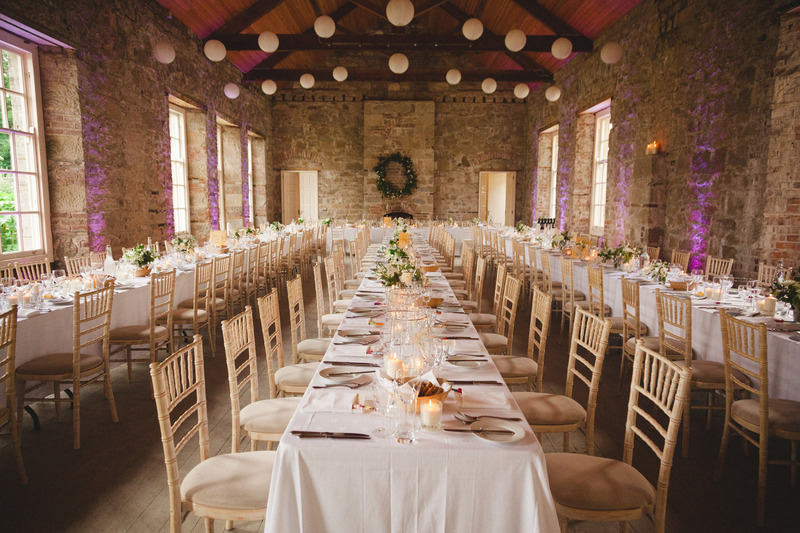 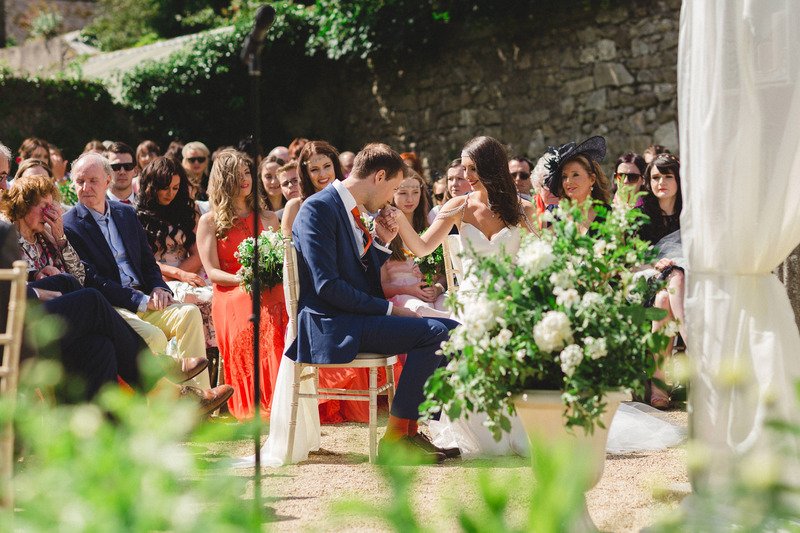 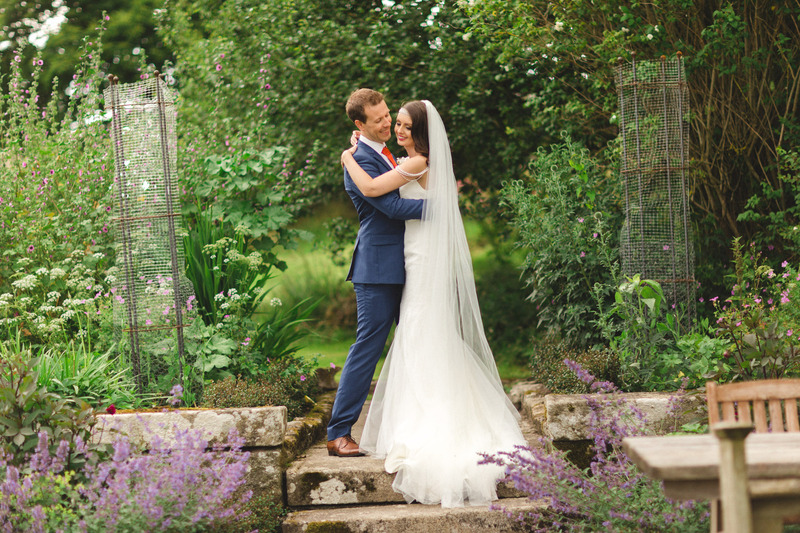 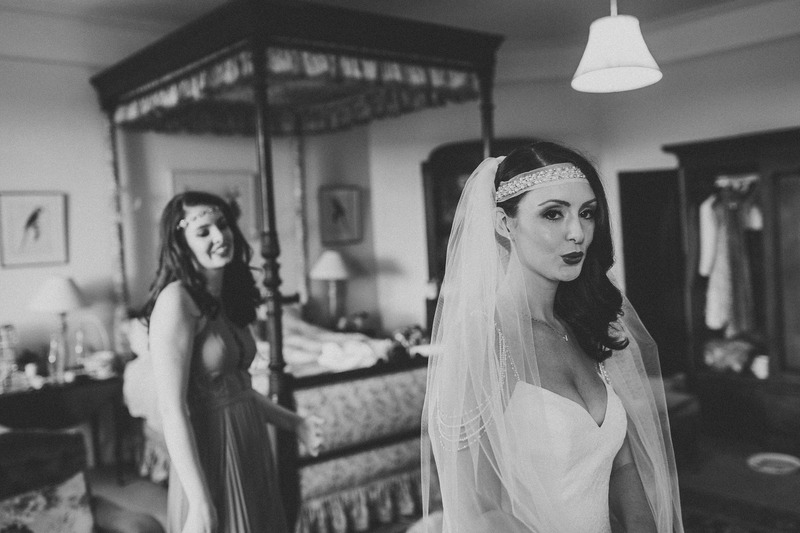 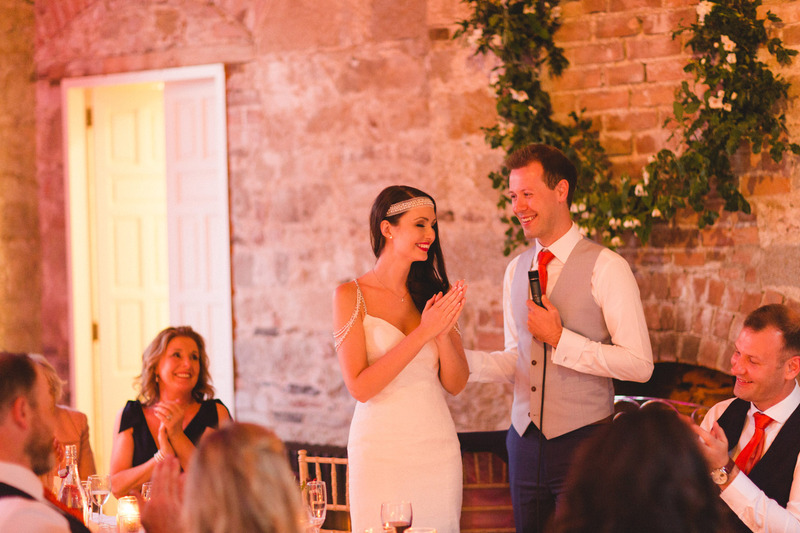 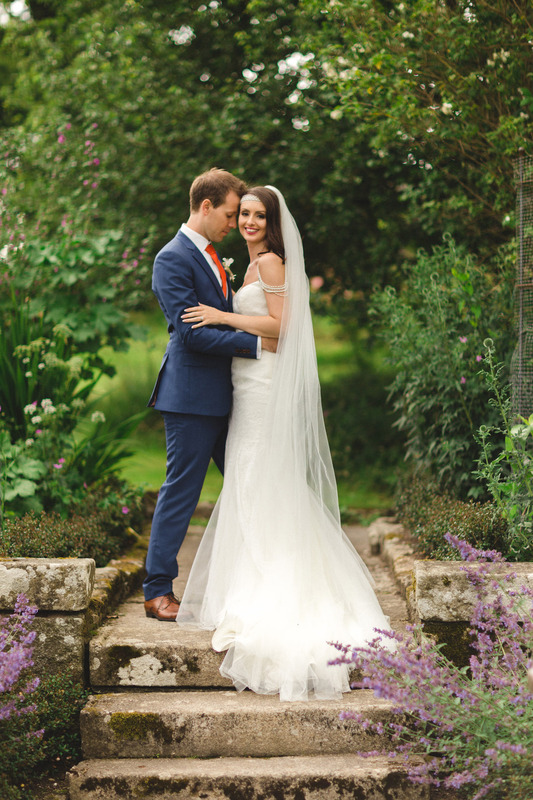 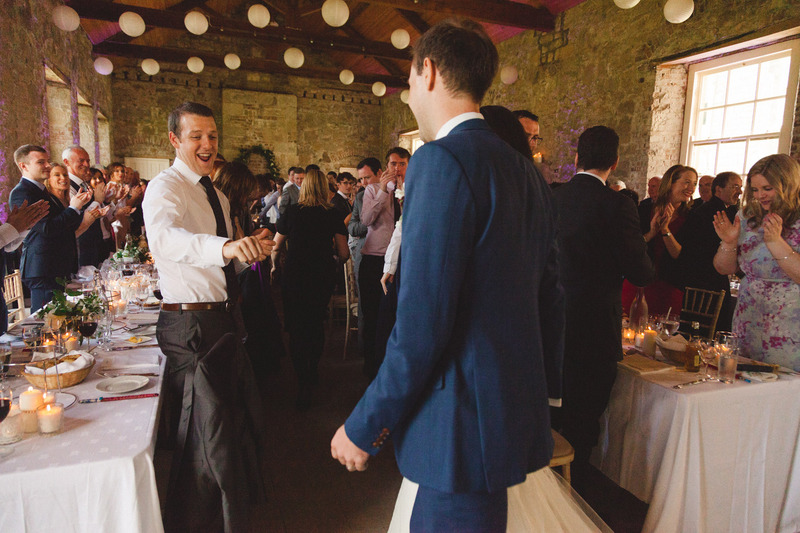 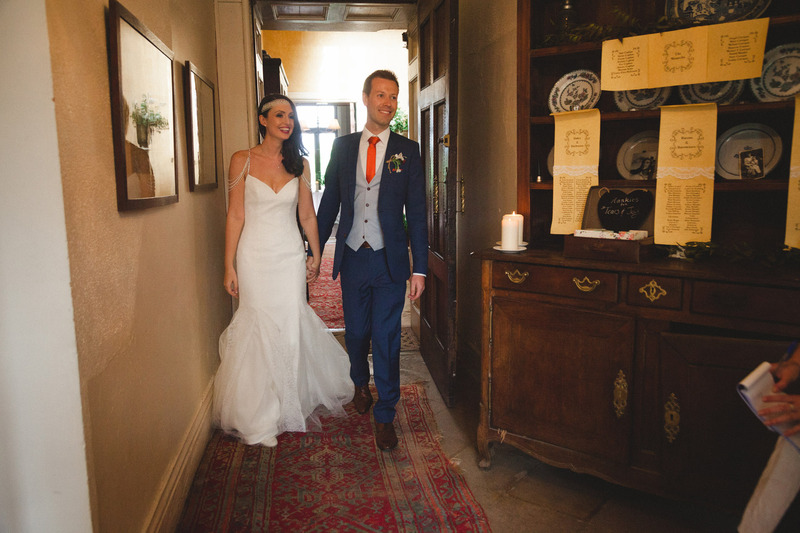 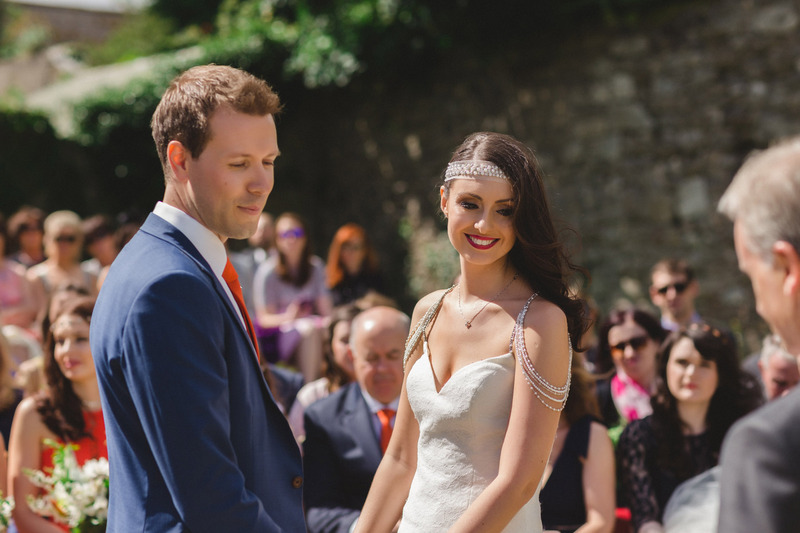 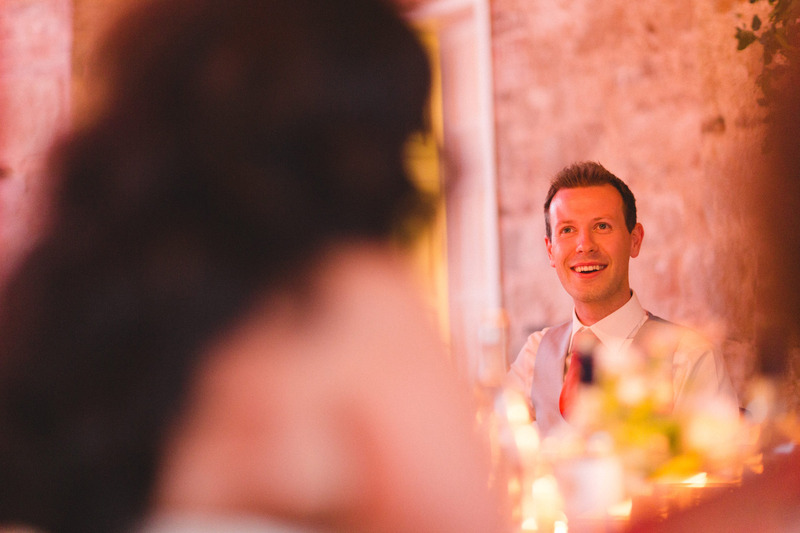 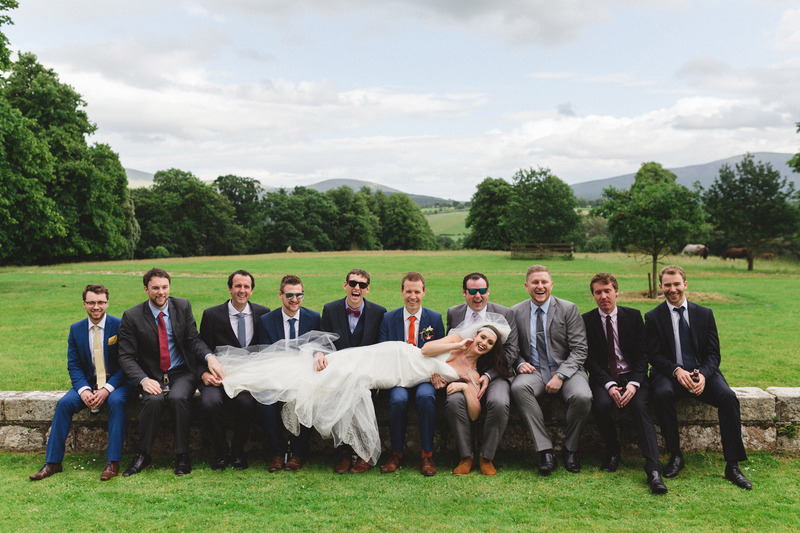 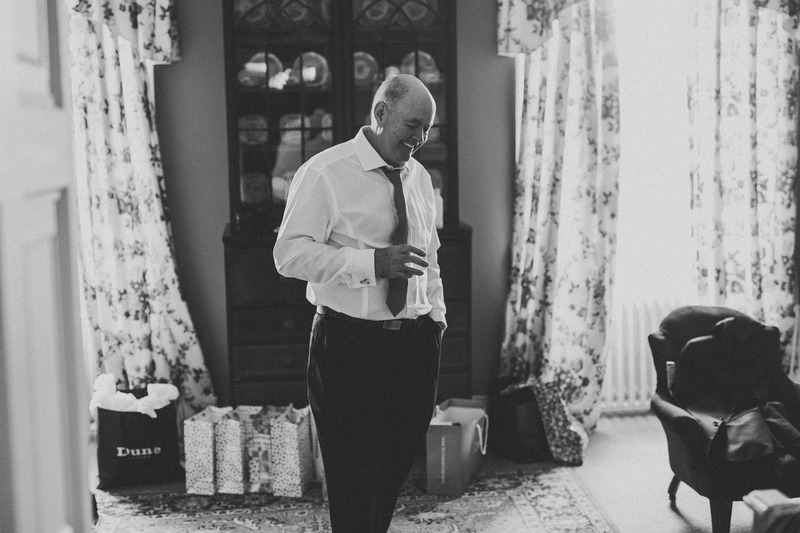 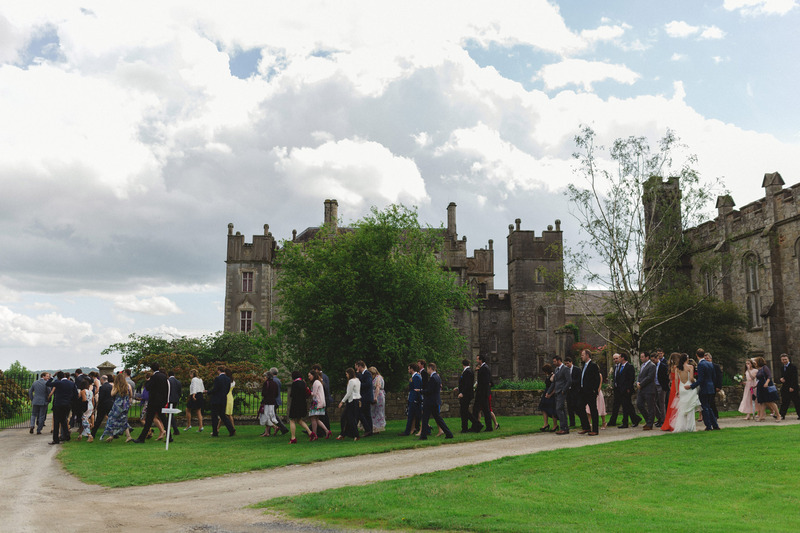 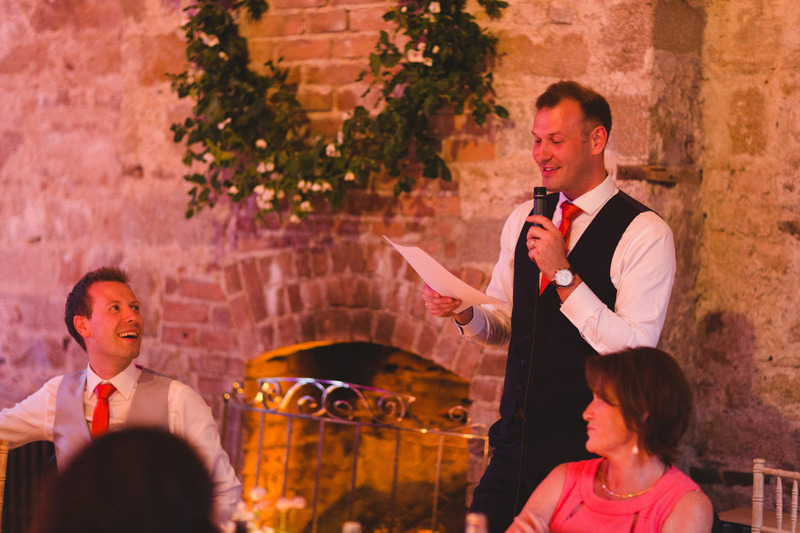 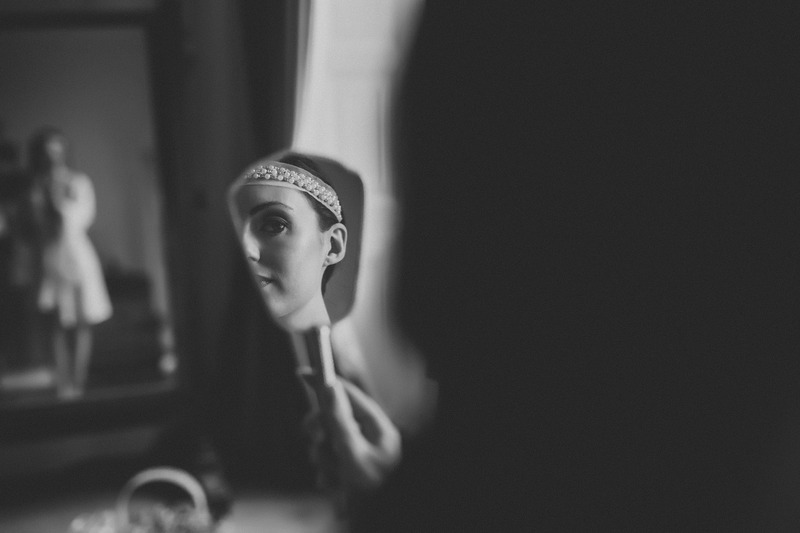 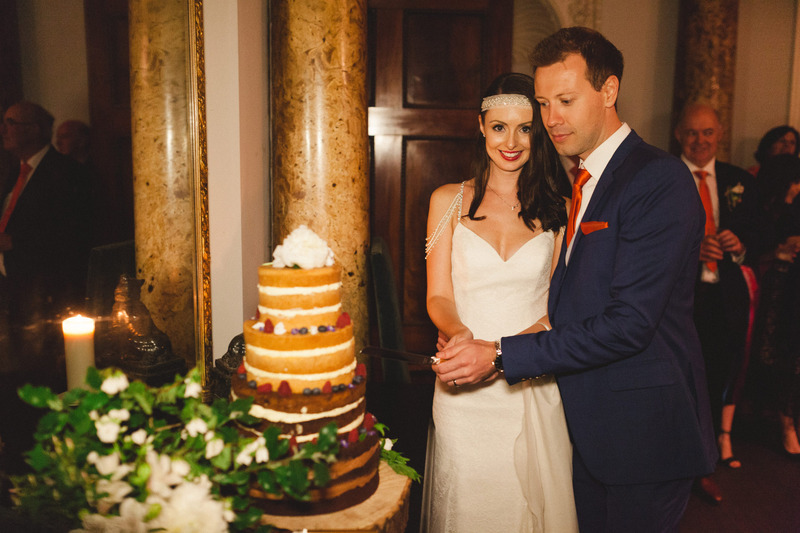 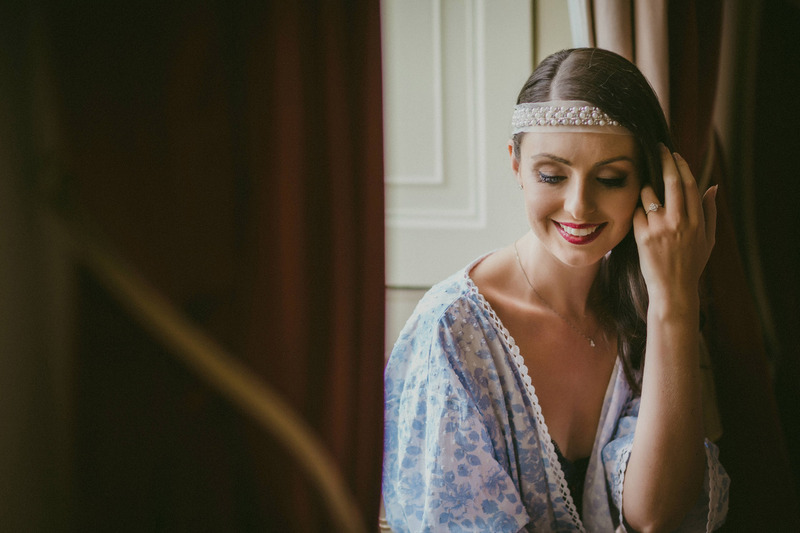 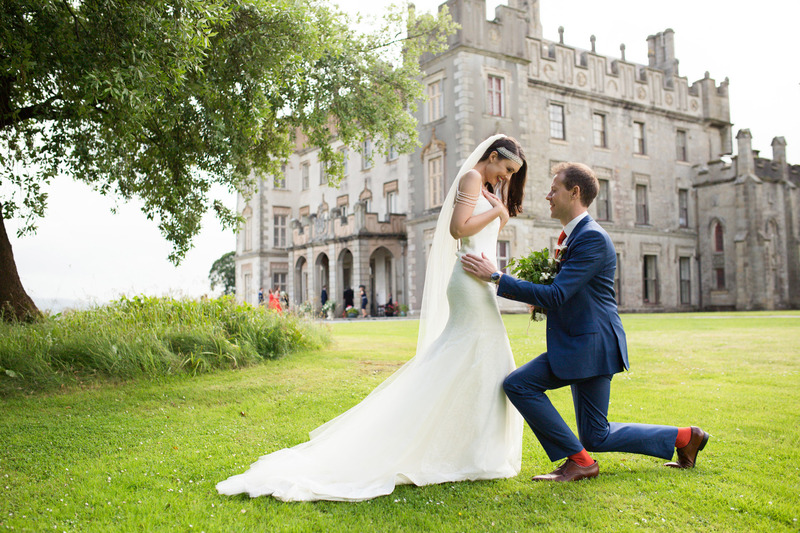 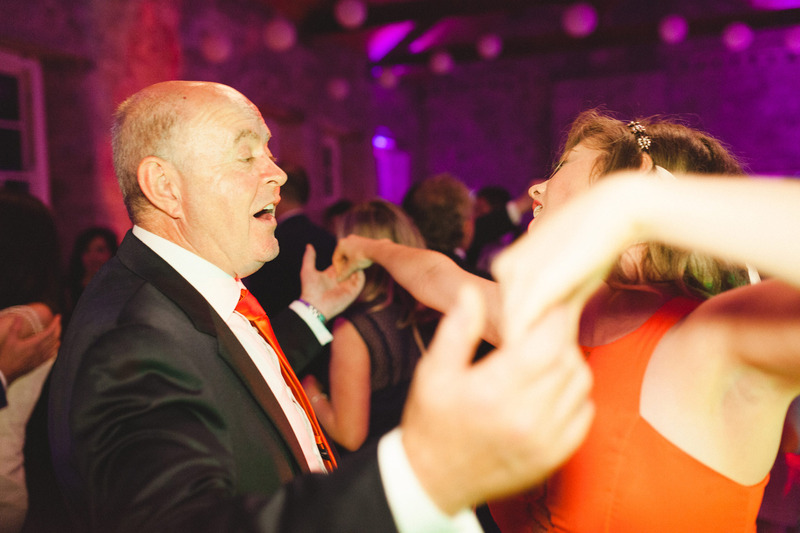 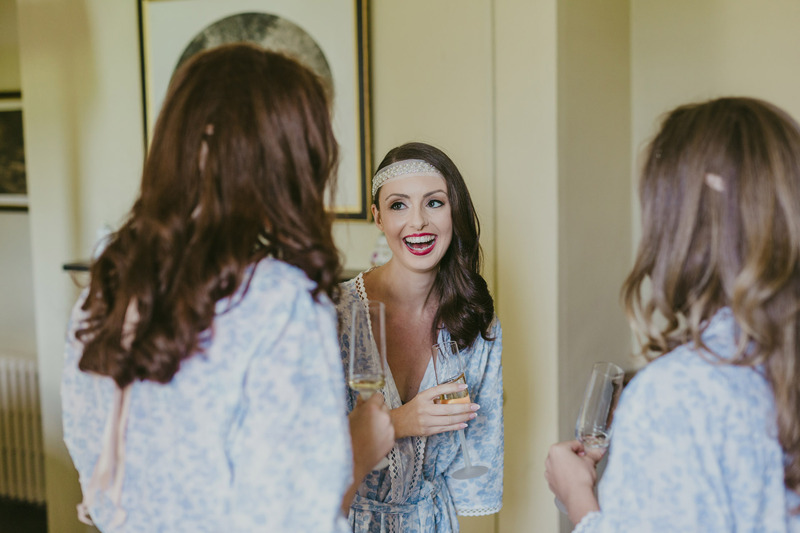 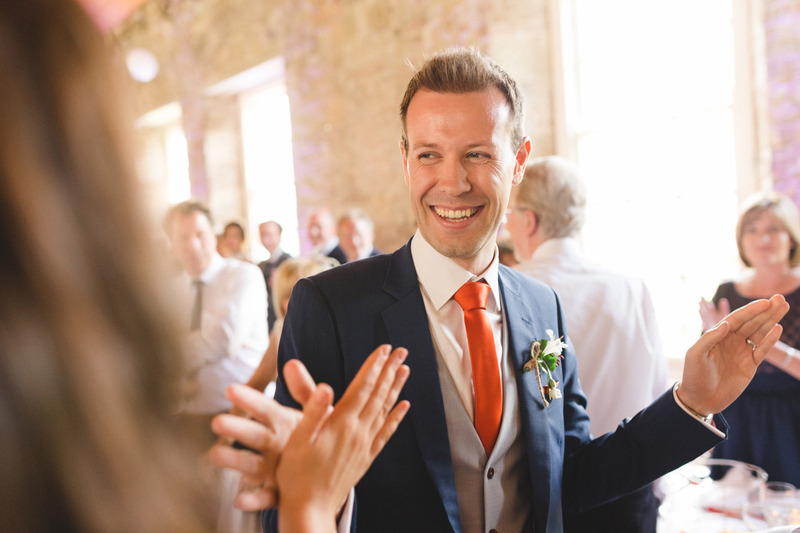 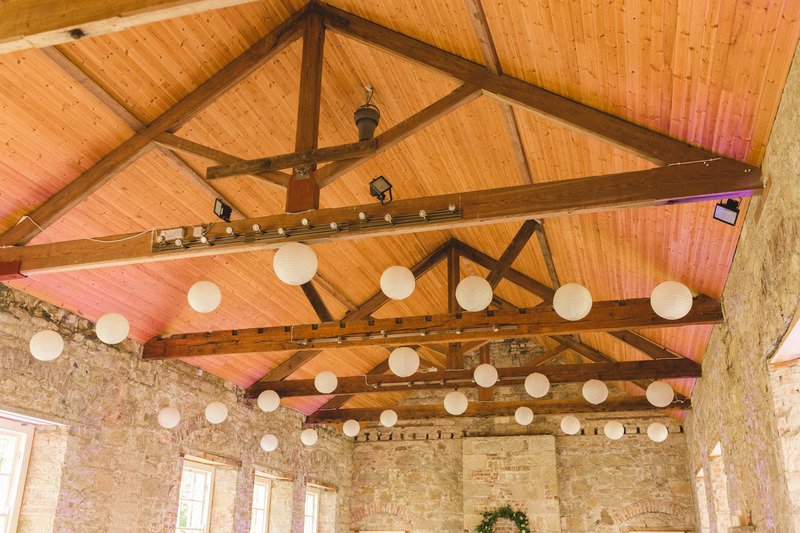 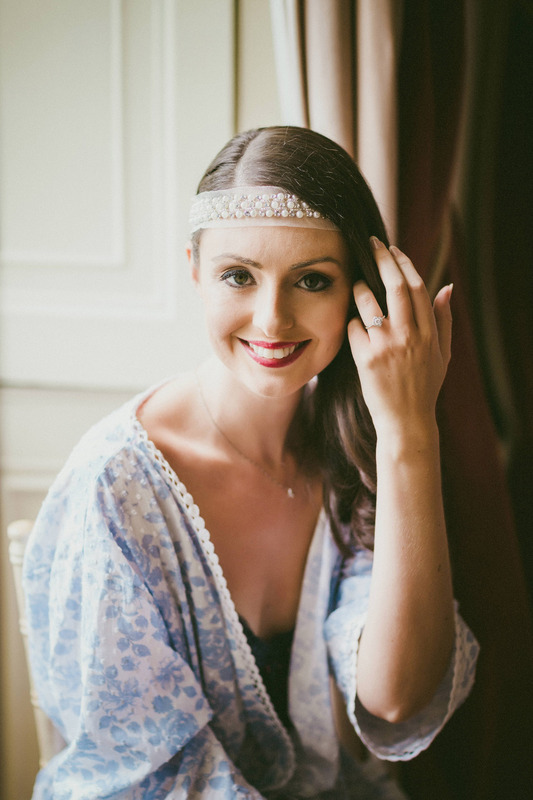 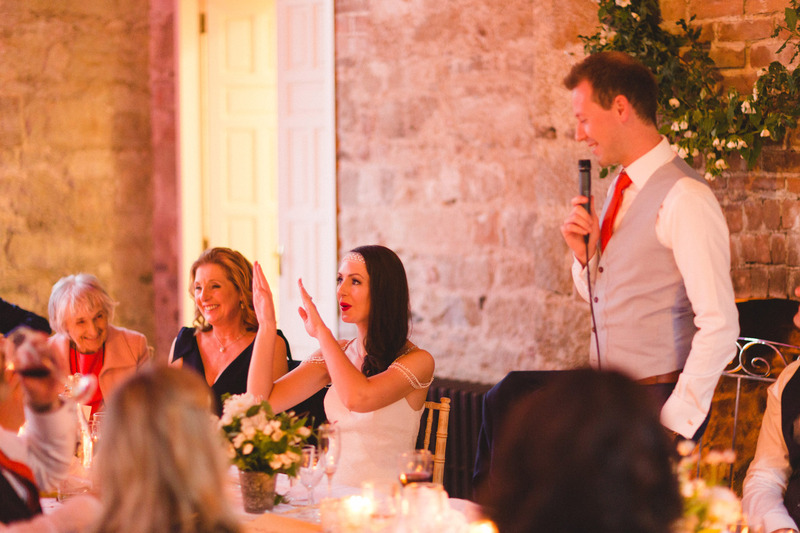 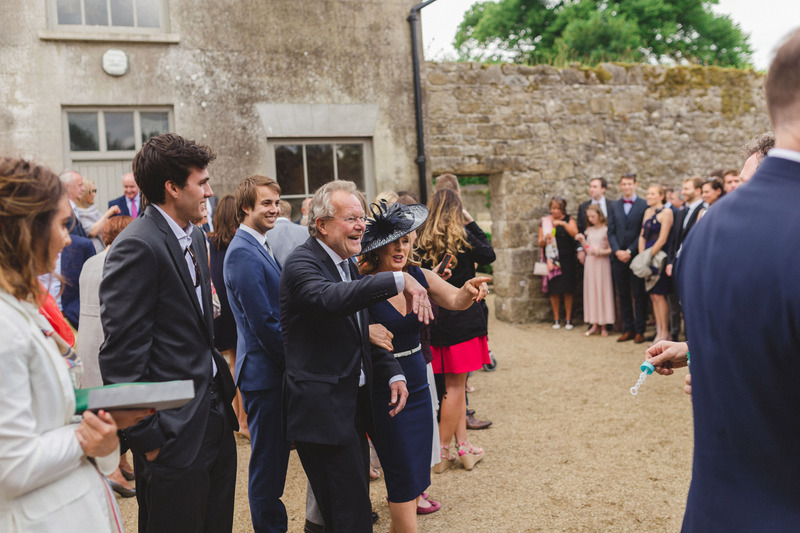 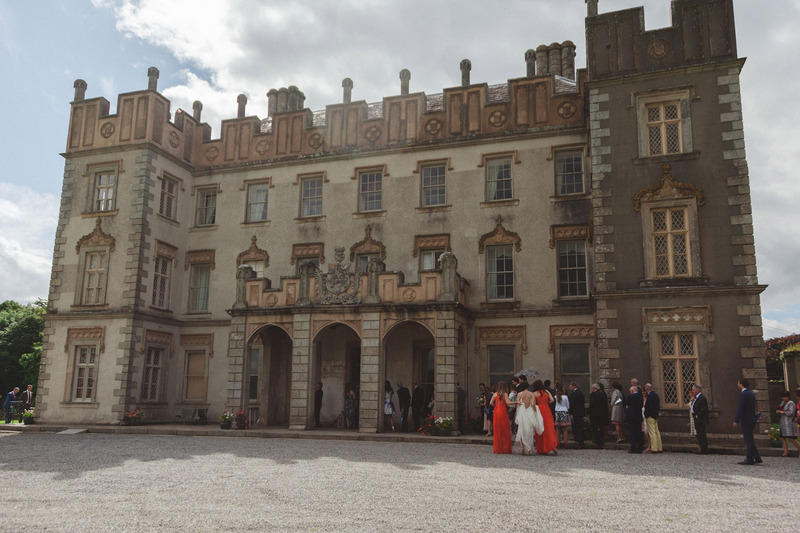 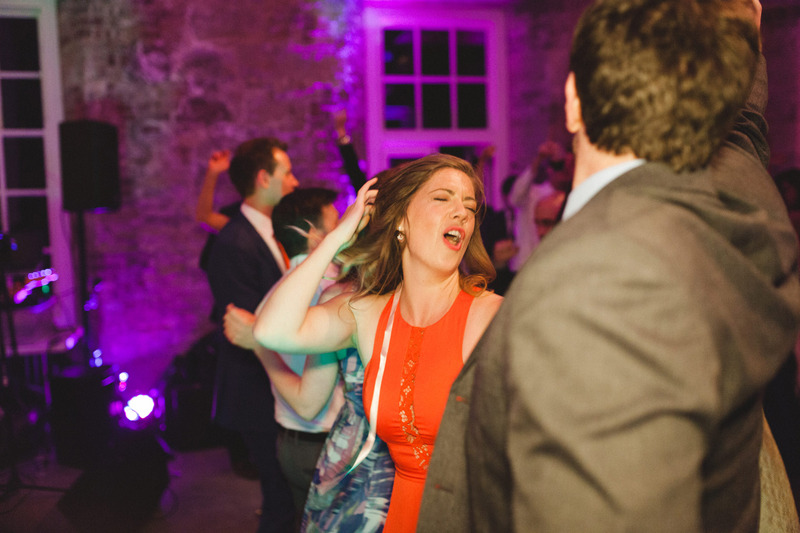 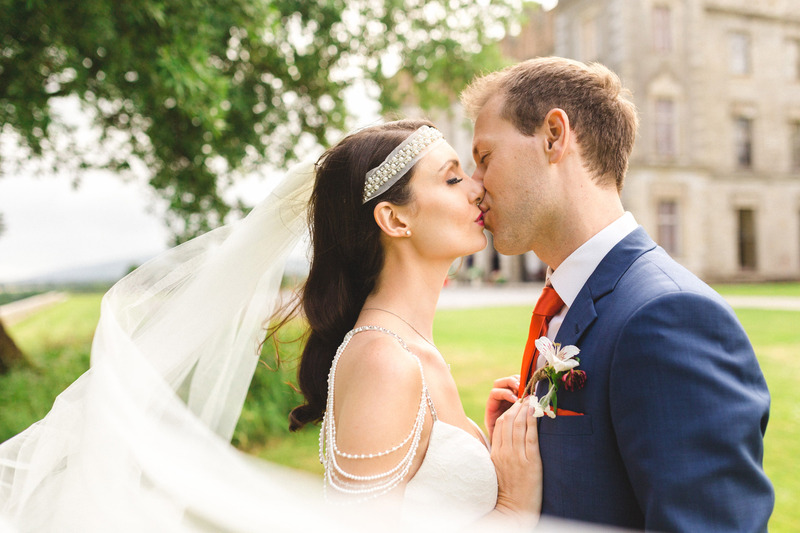 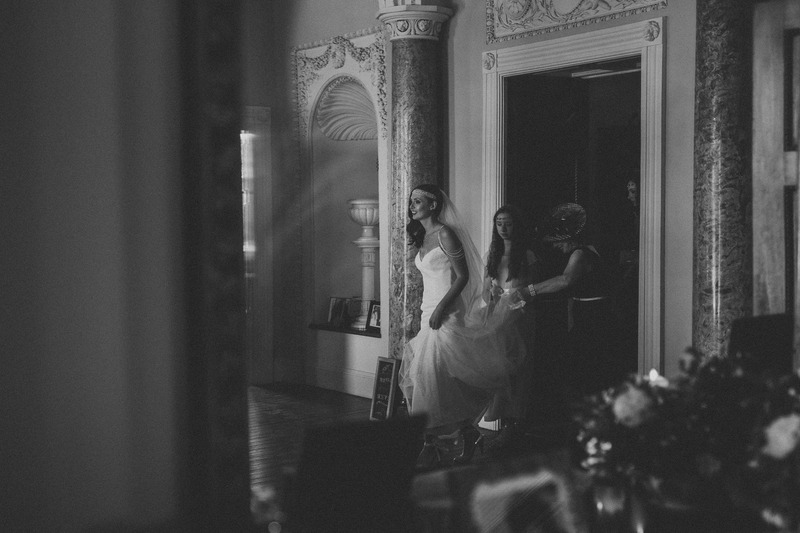 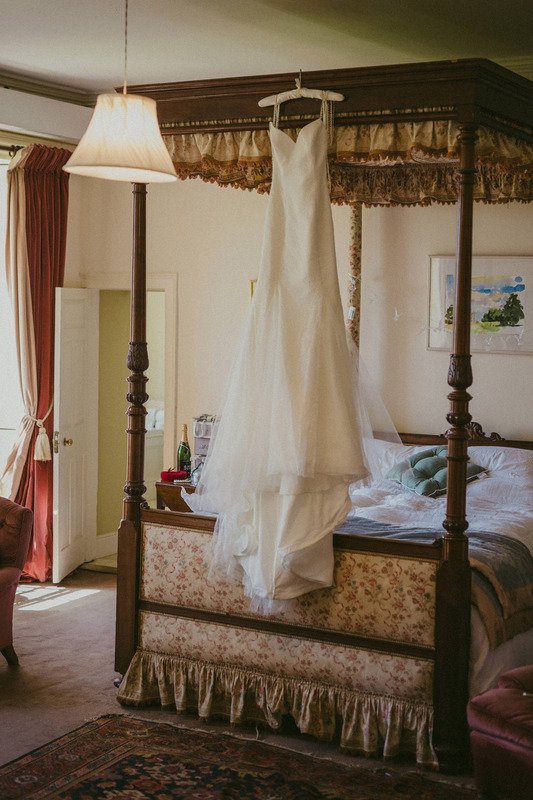 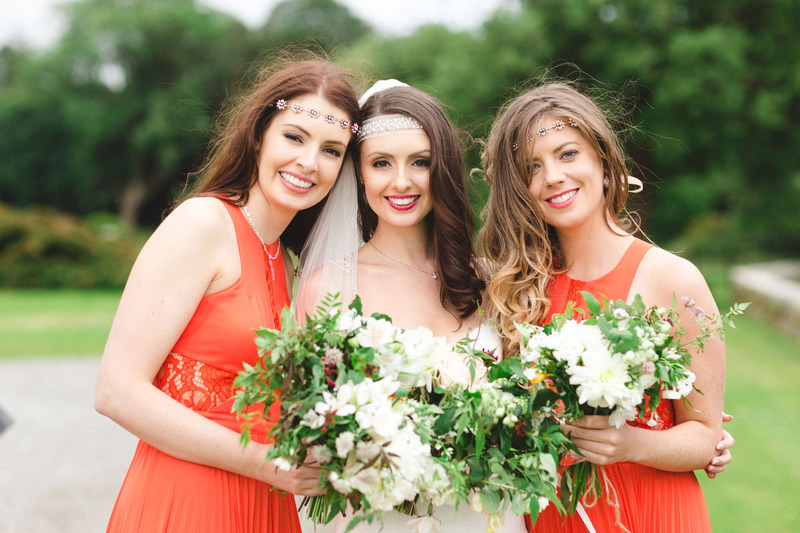 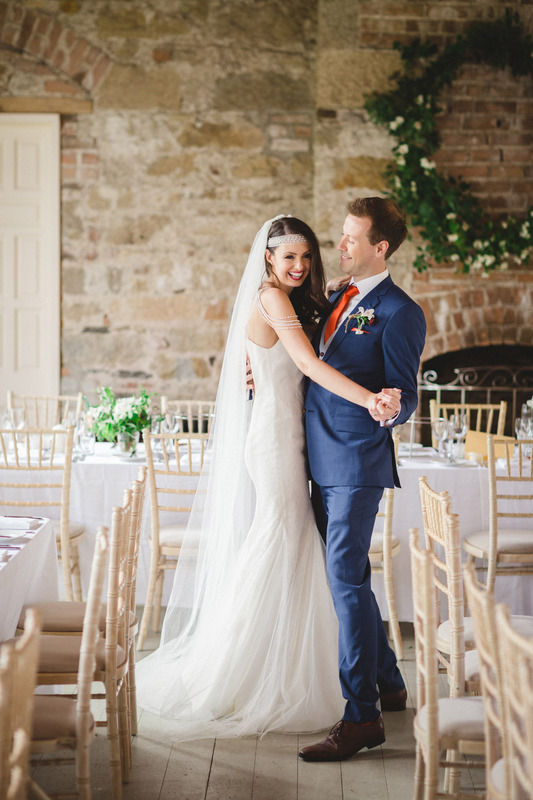 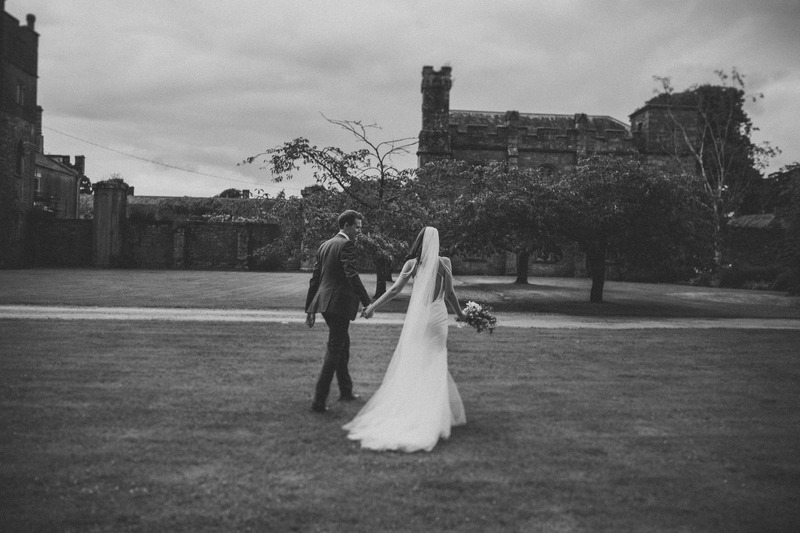 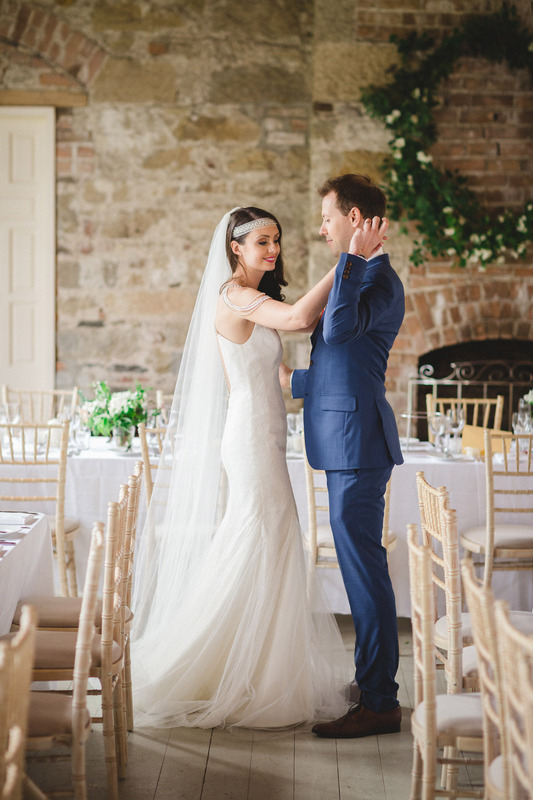 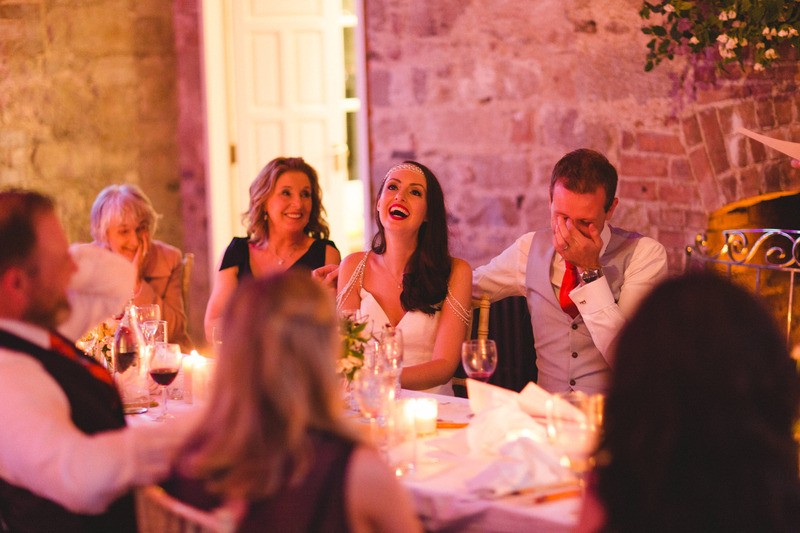 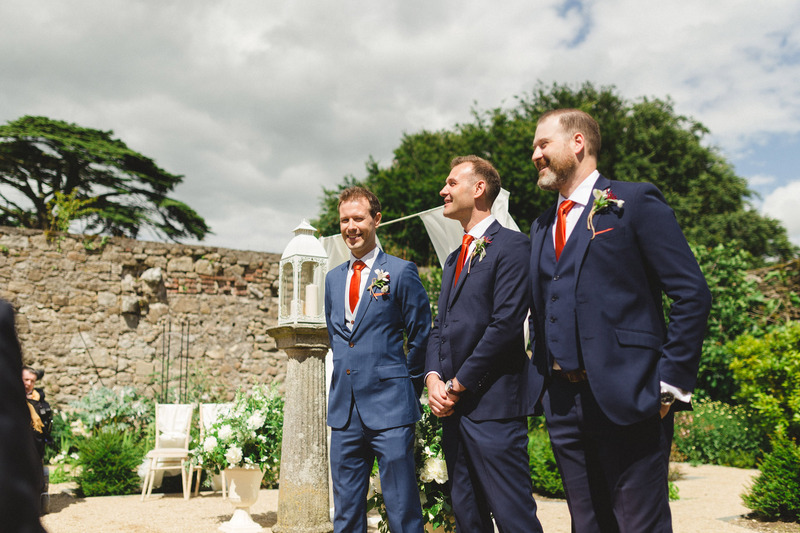 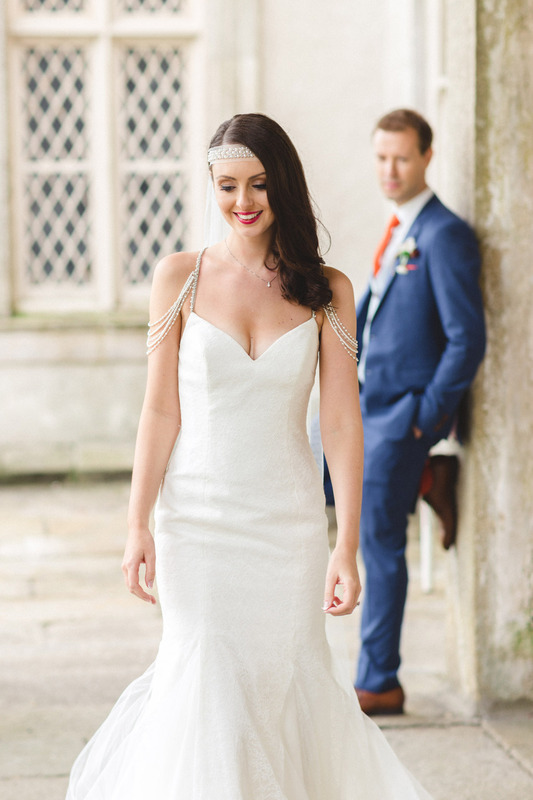 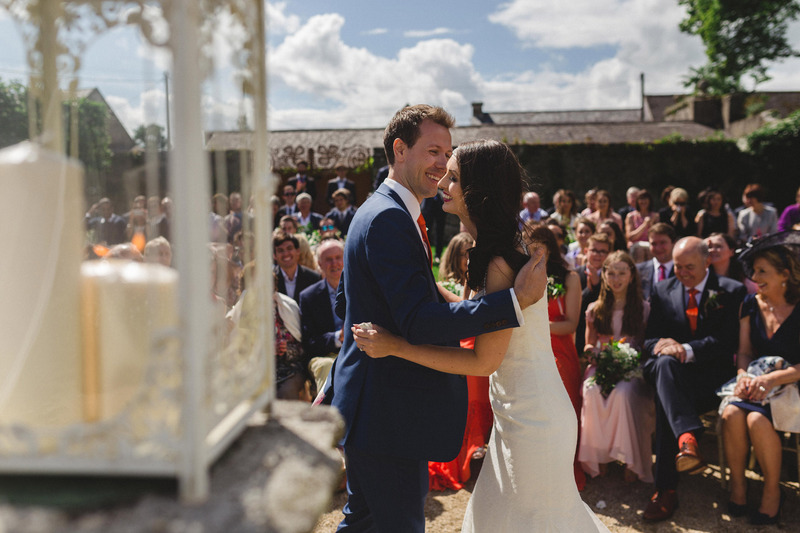 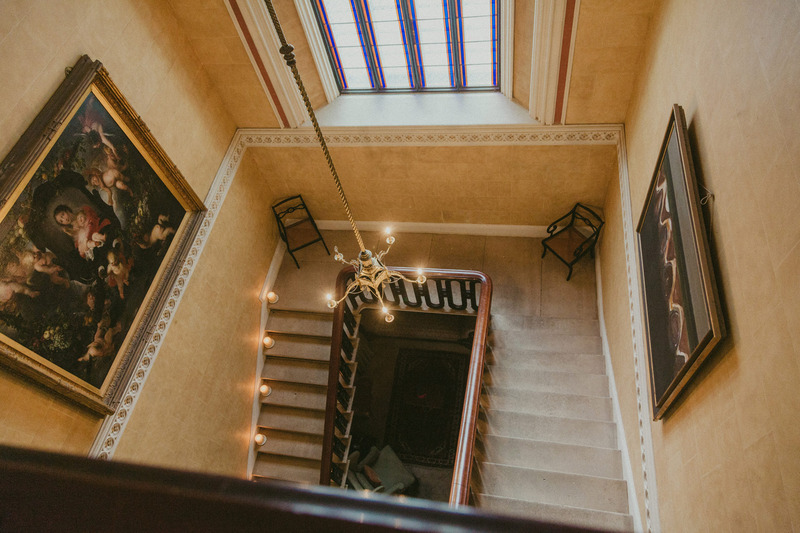 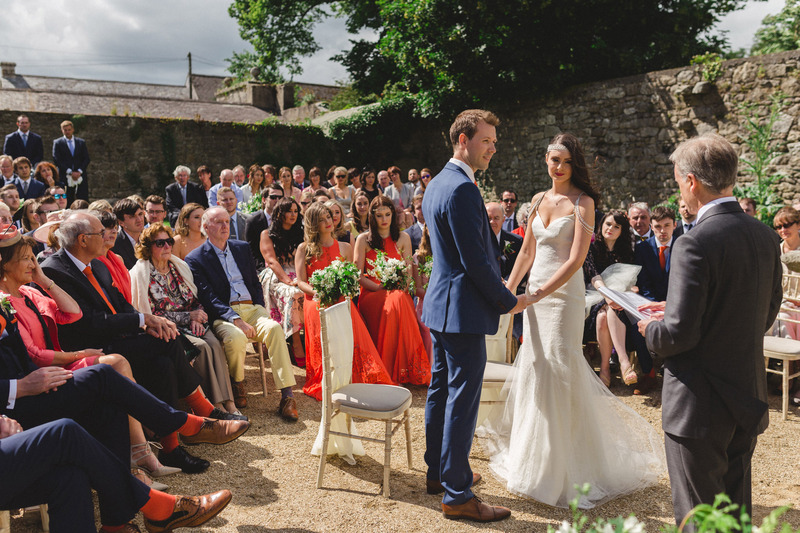 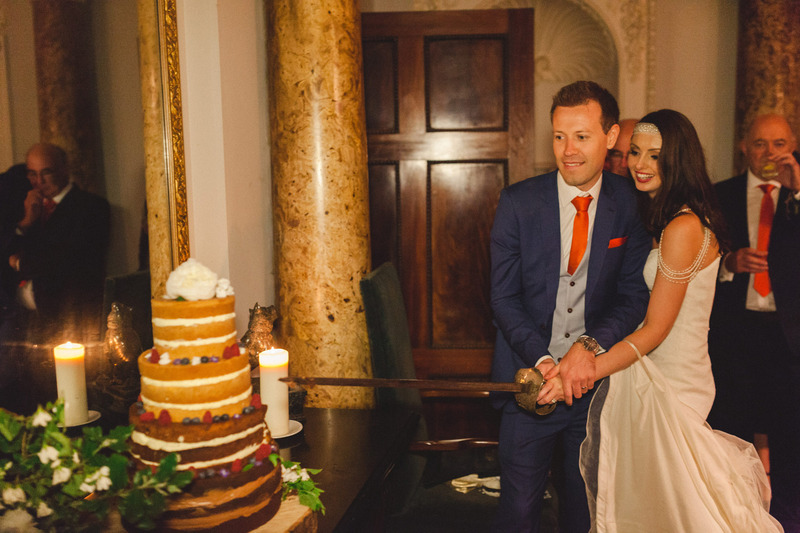 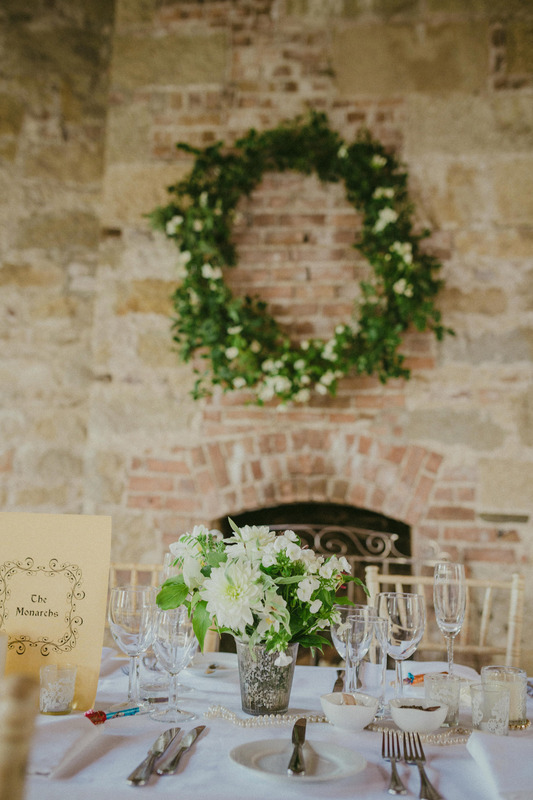 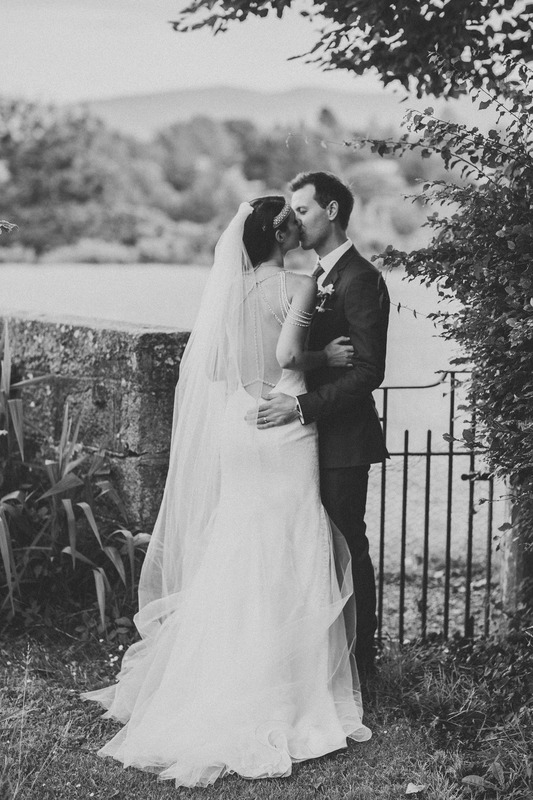 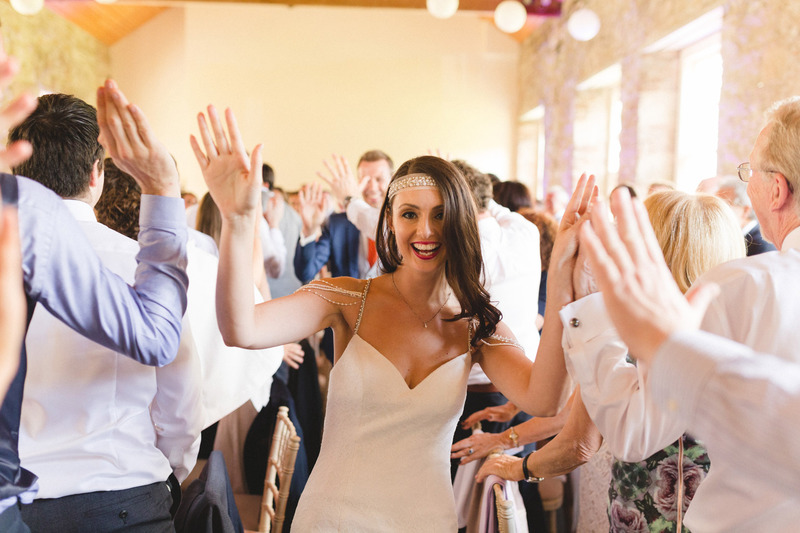 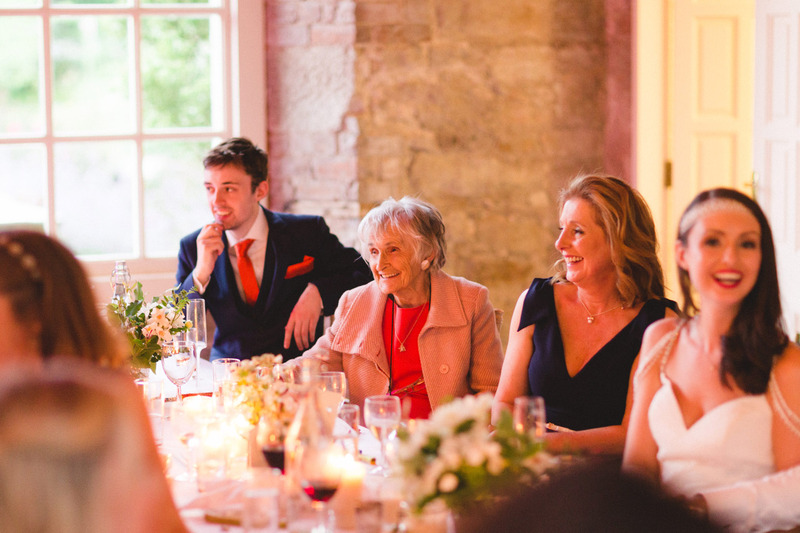 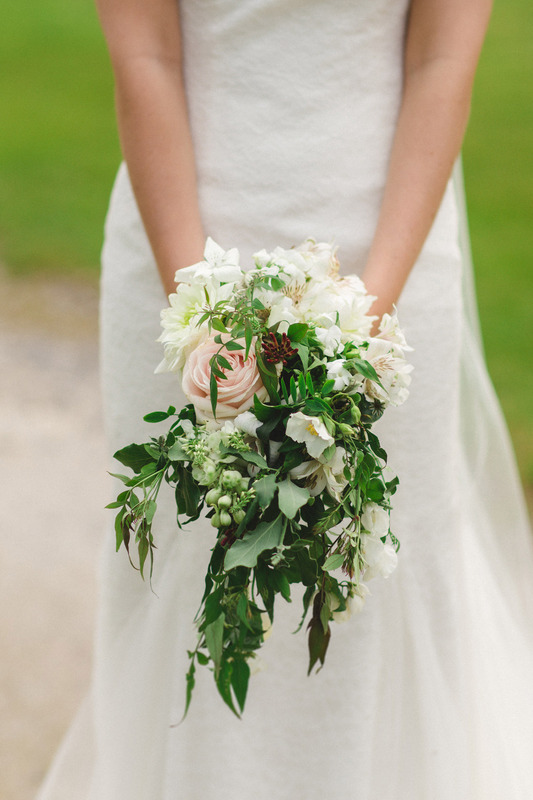 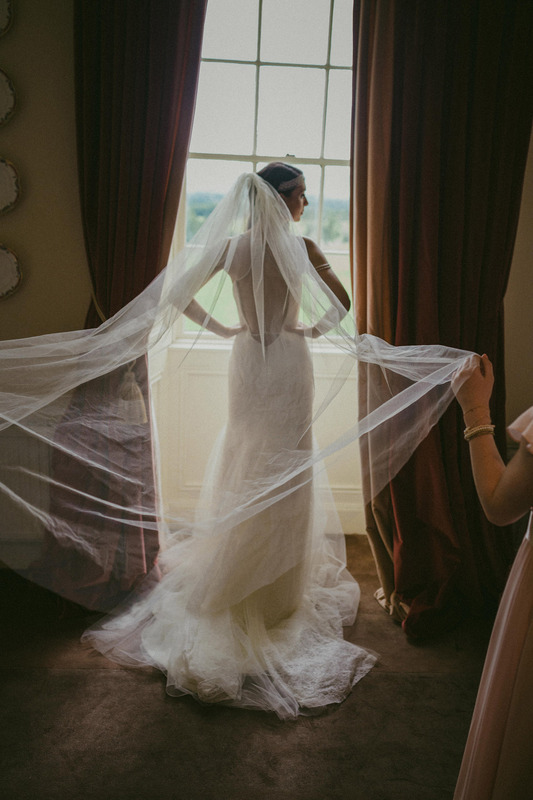 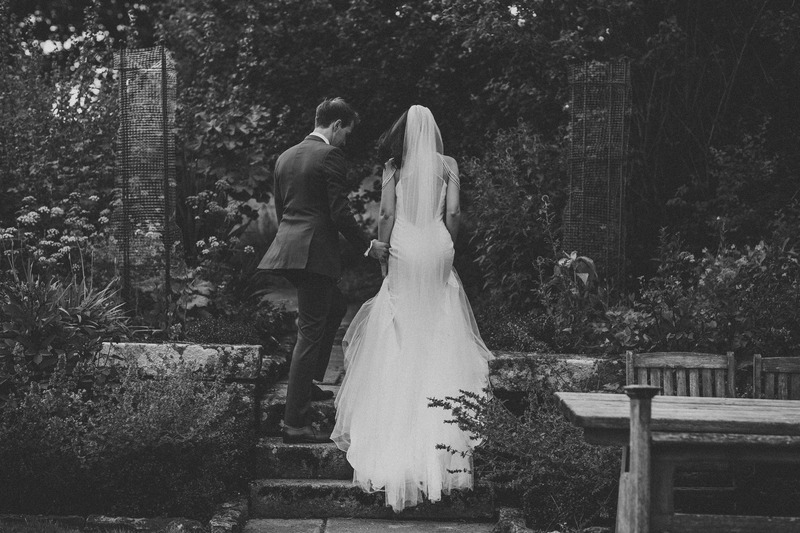 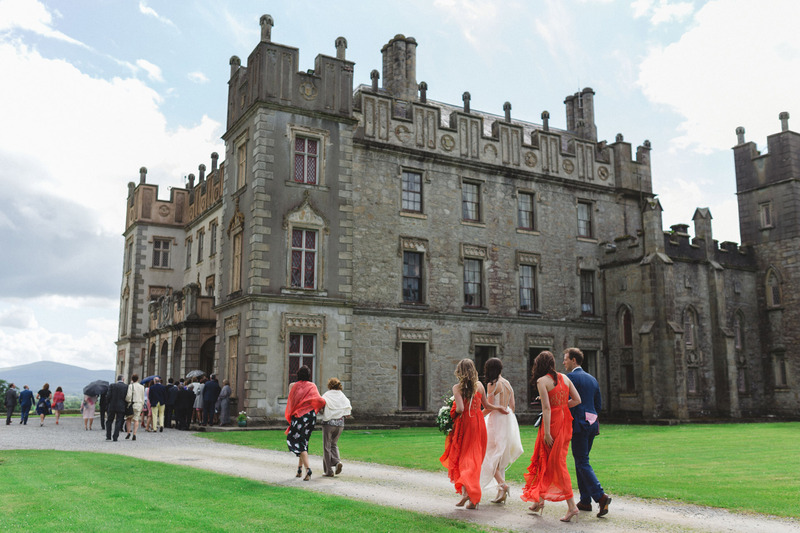 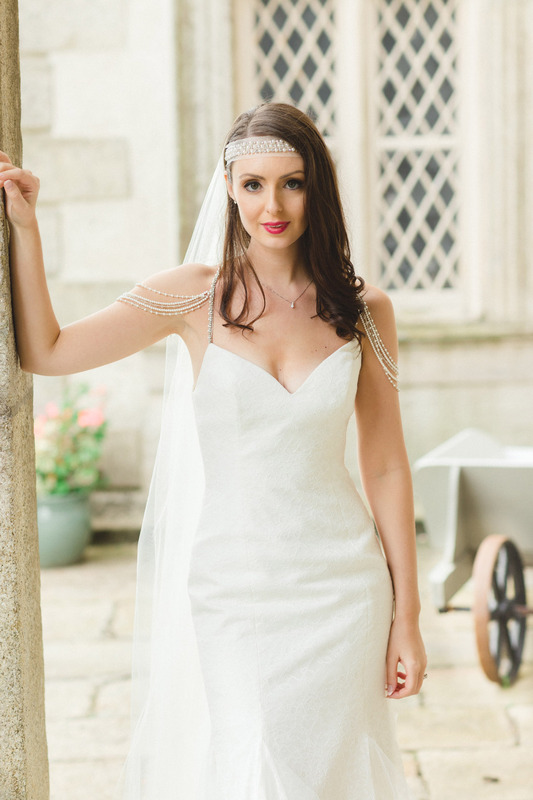 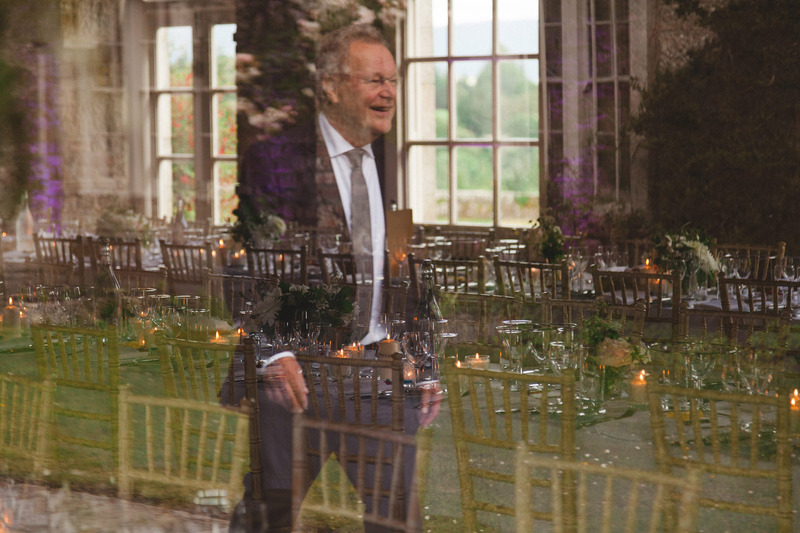 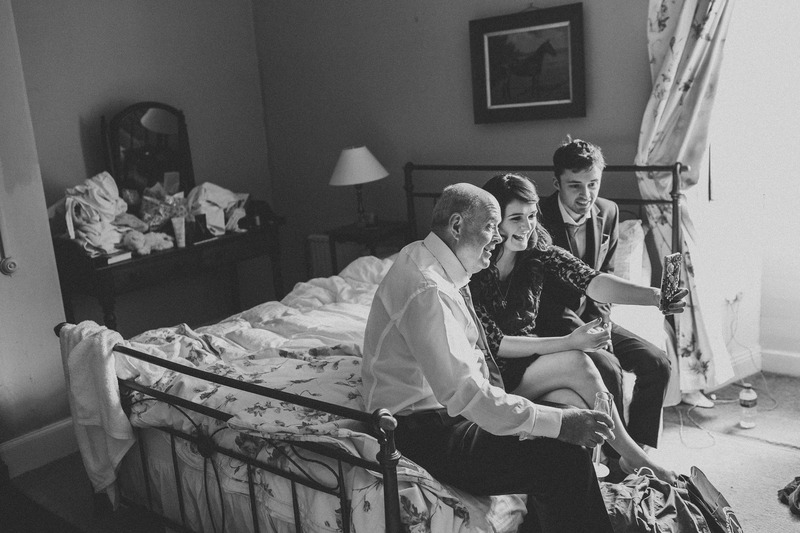 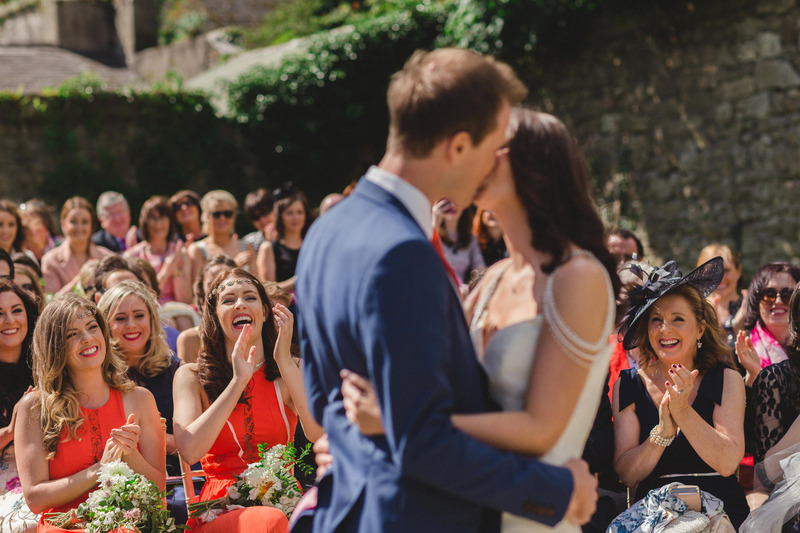 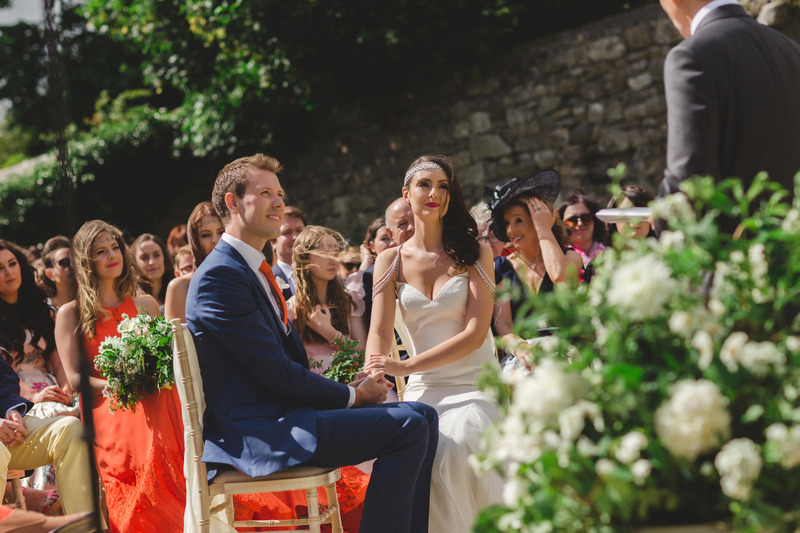 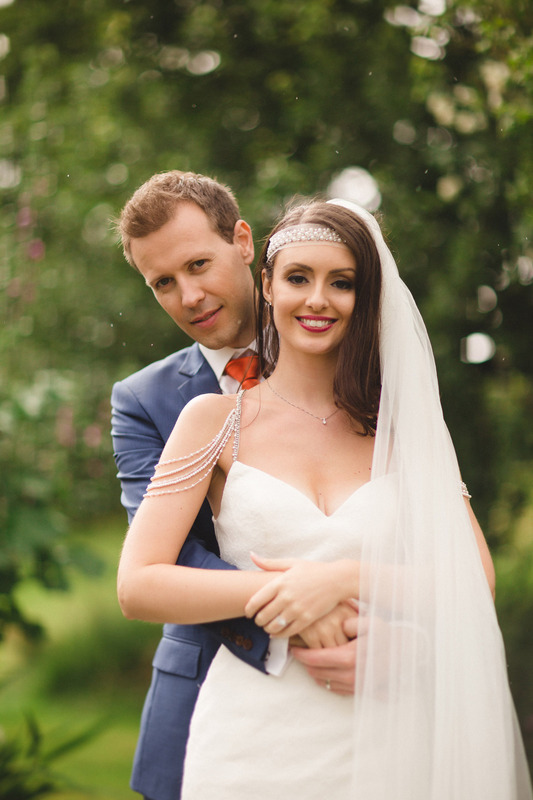 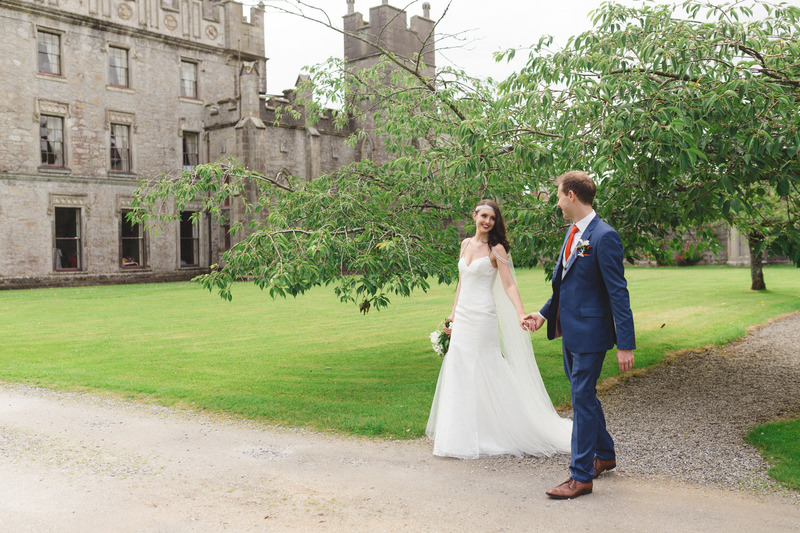 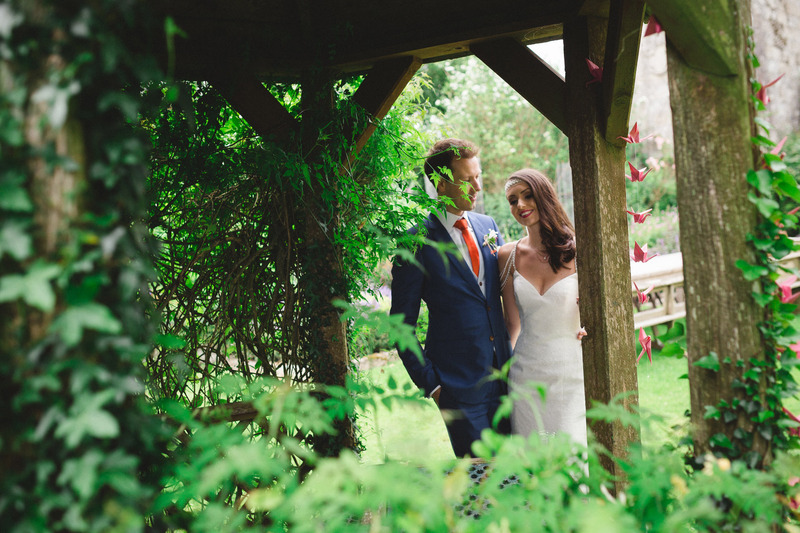 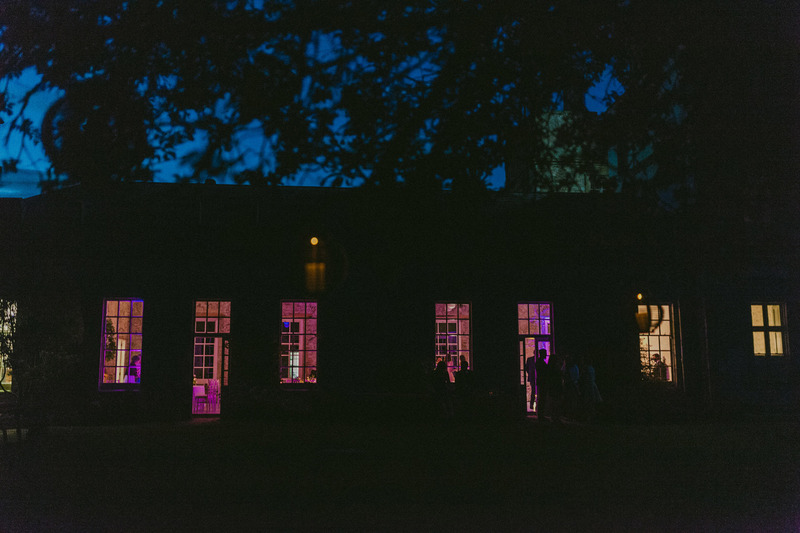 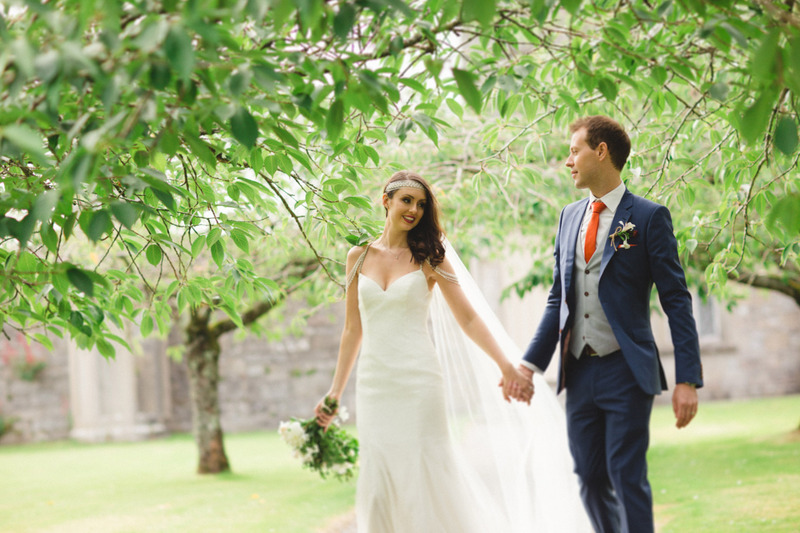 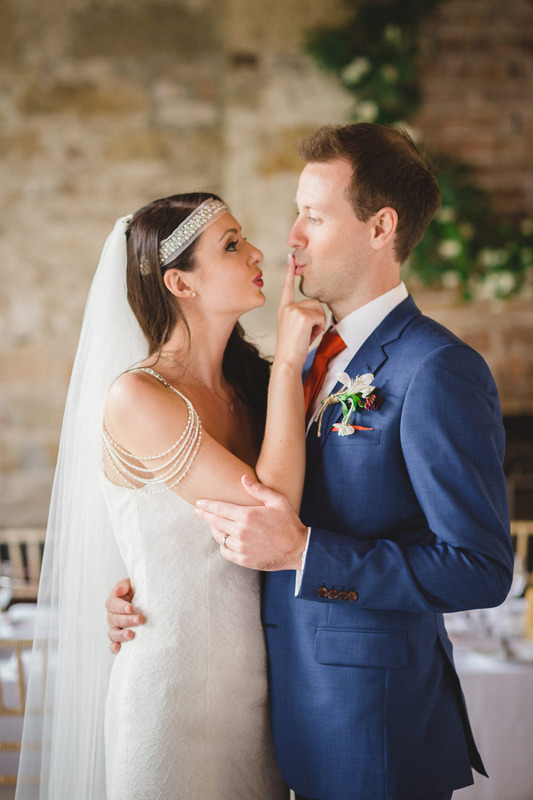 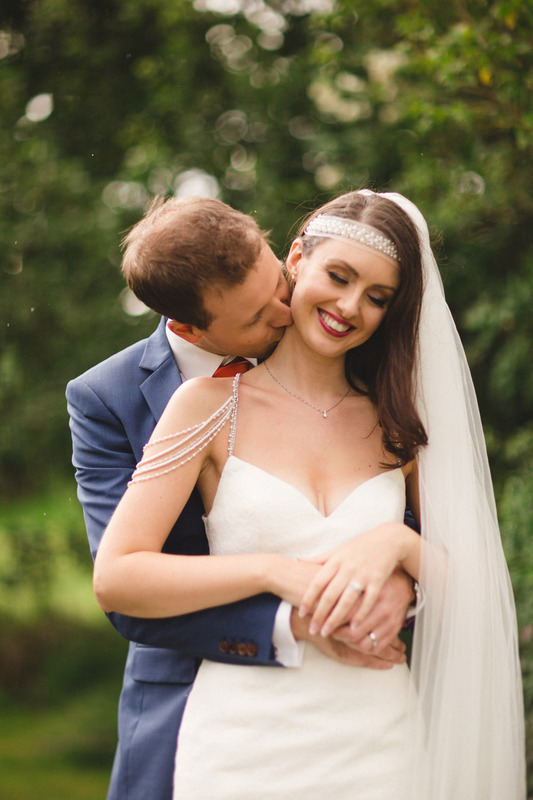 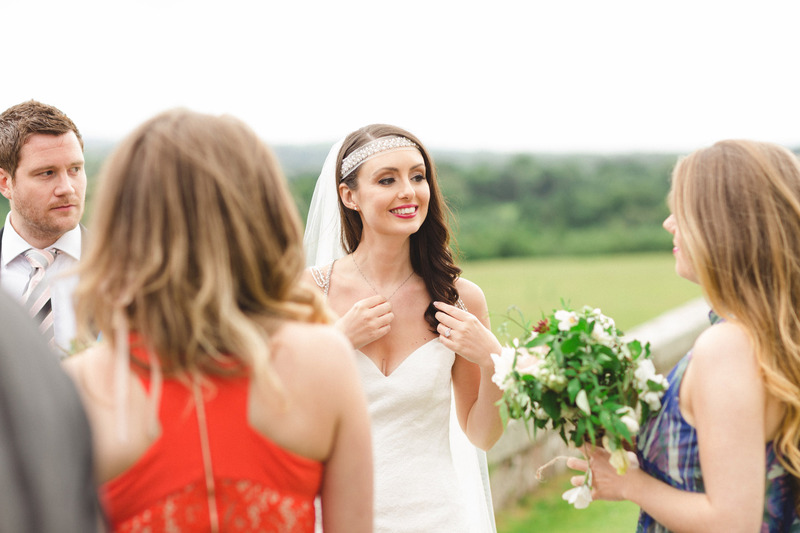 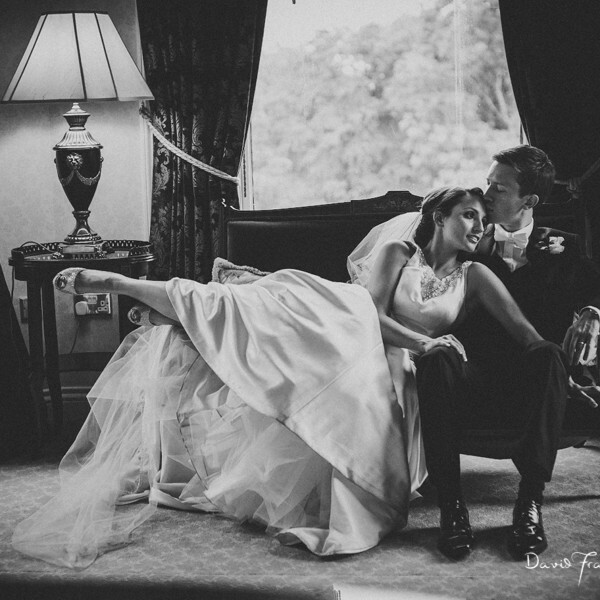 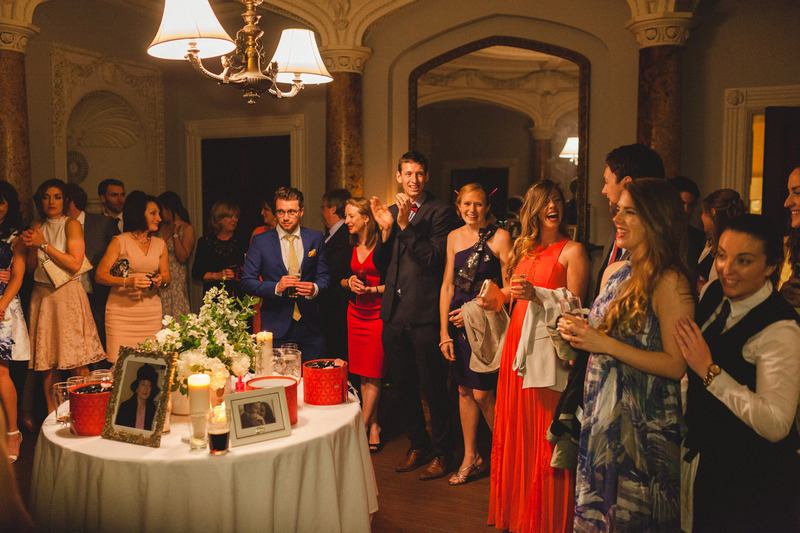 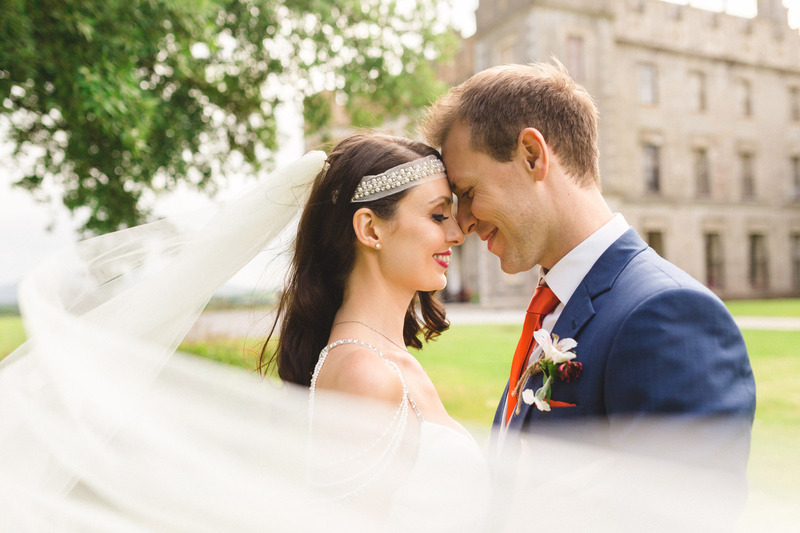 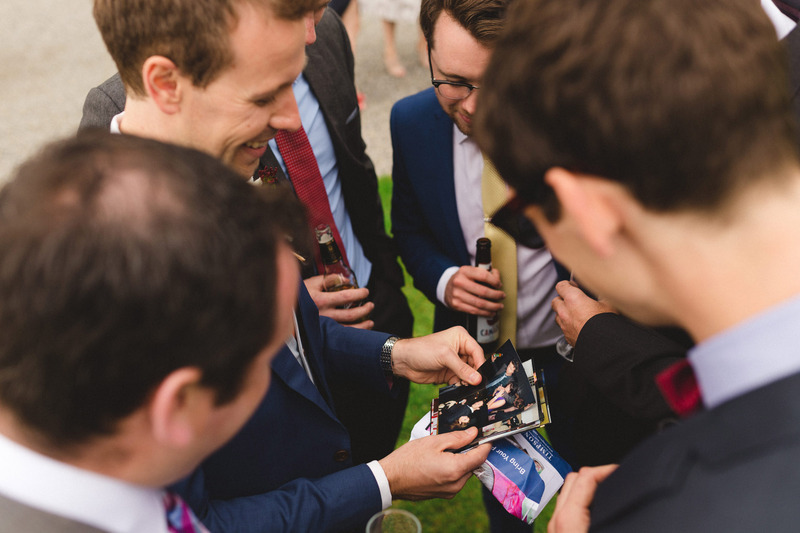 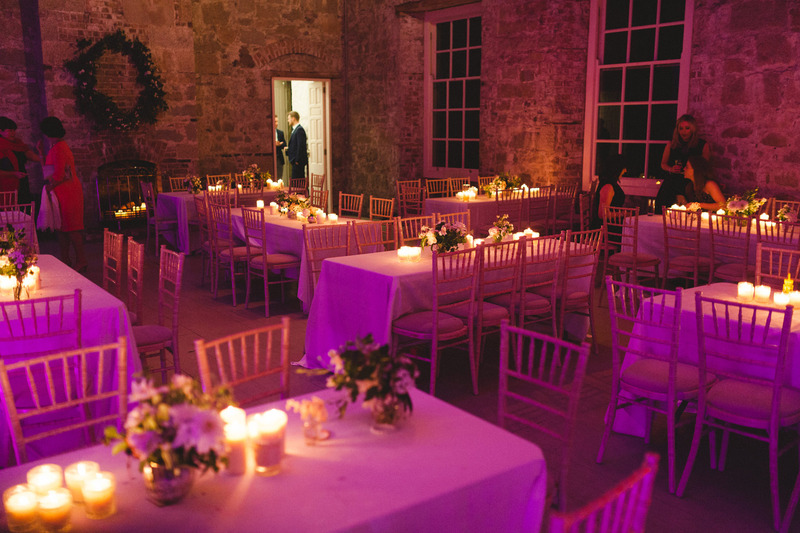 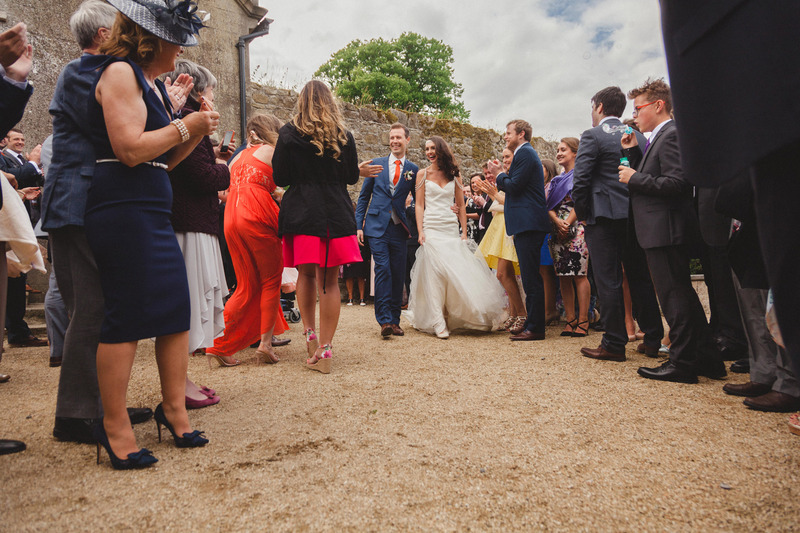 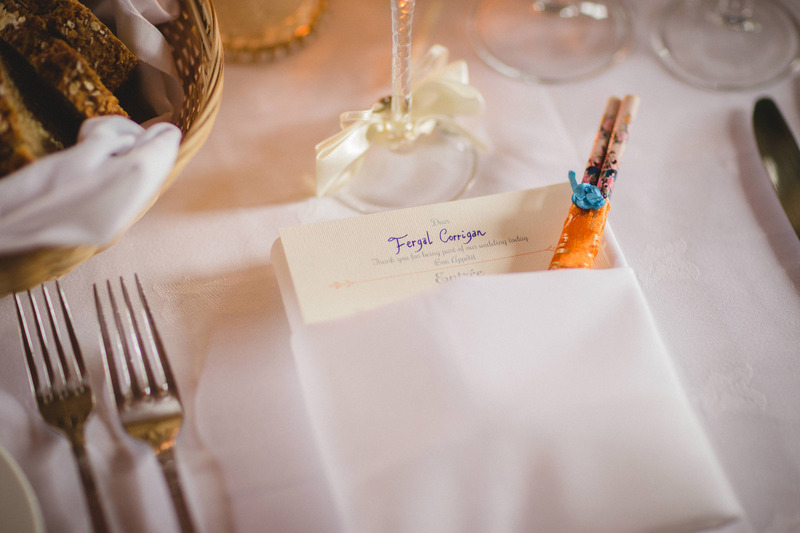 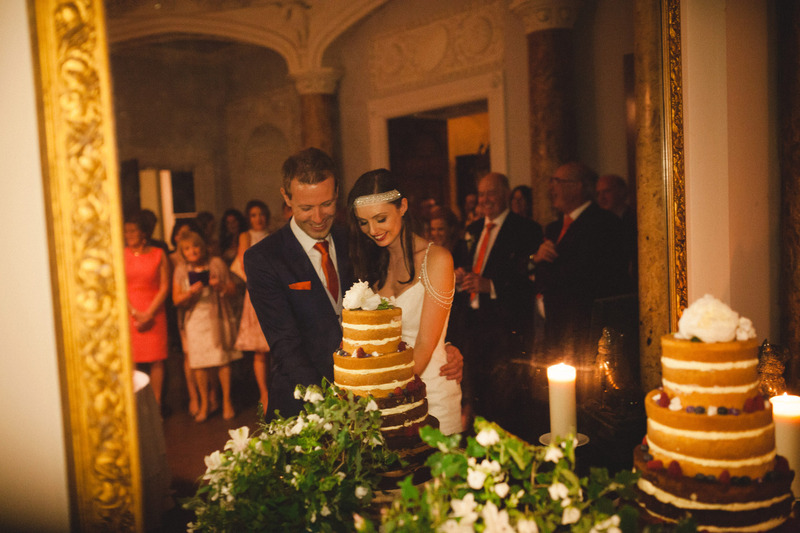 Amy & Fergal’s Borris house wedding ceremony was a really spectacular affair! 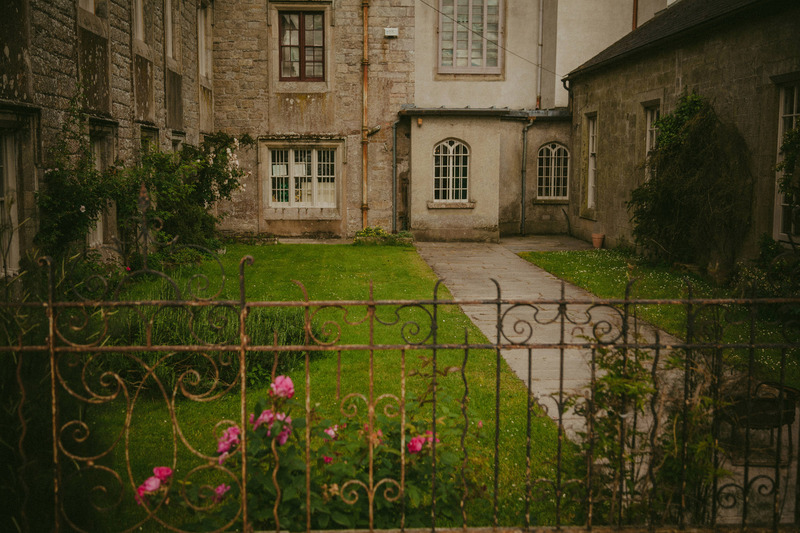 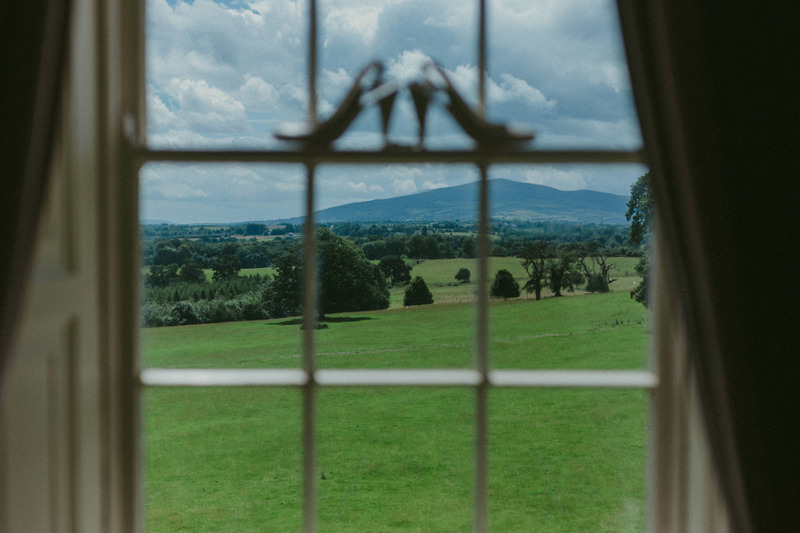 Borris House is the ancestral home of the McMorrough Kavanaghs, High Kings of Leinster, and was a very fitting location for the union of two really lovely families. 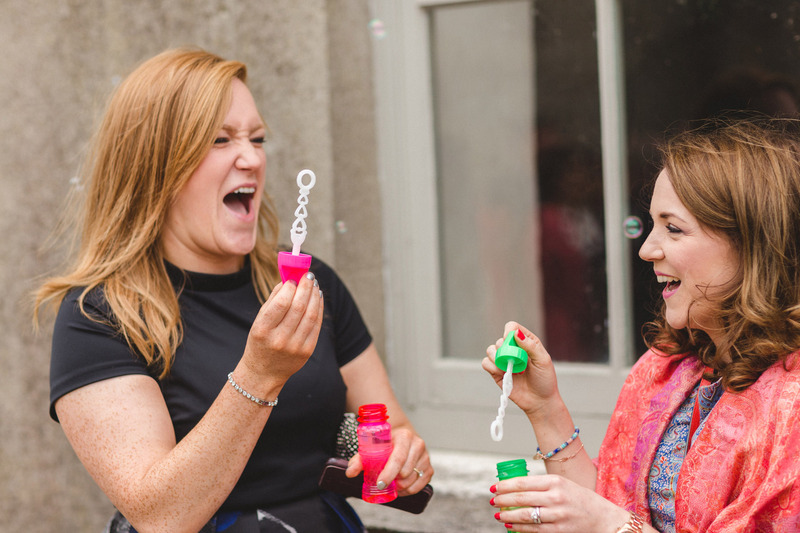 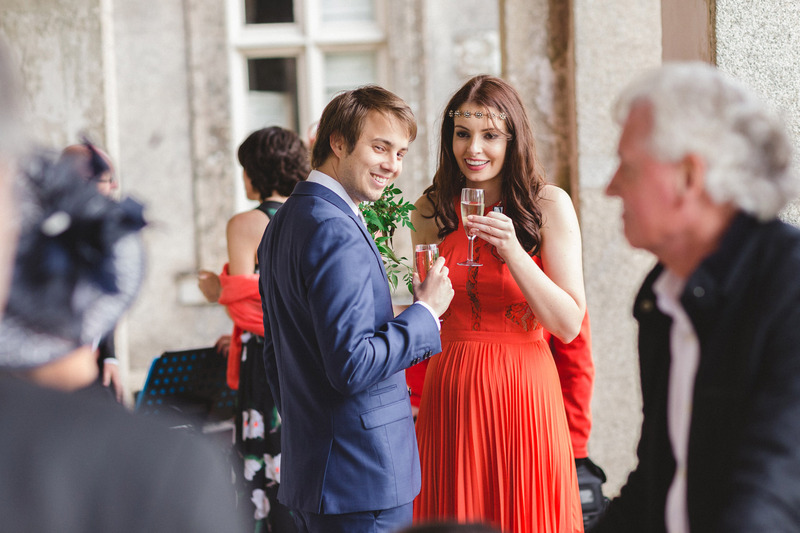 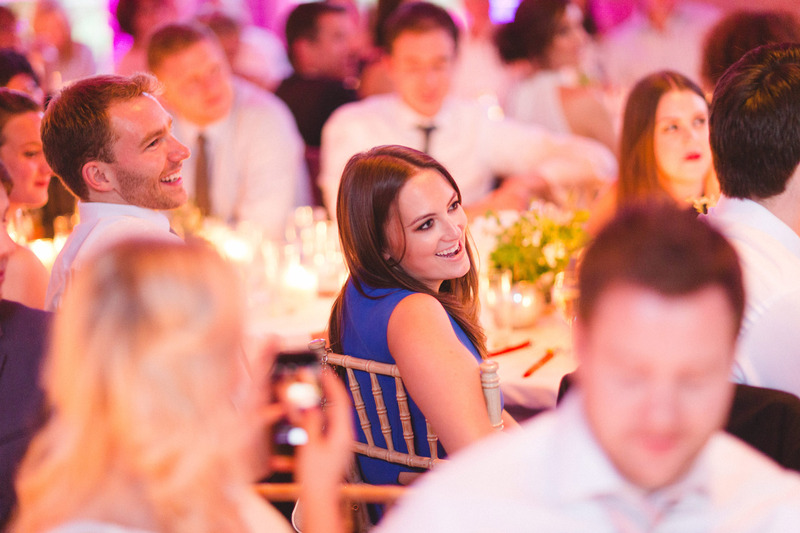 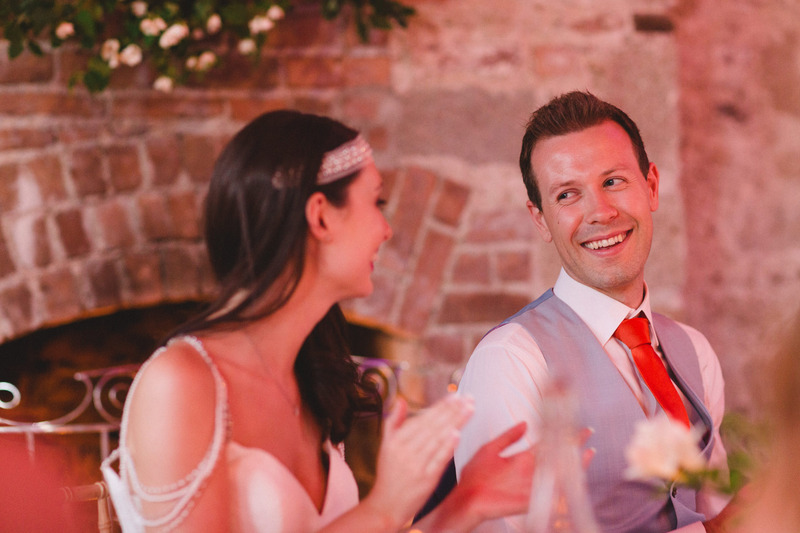 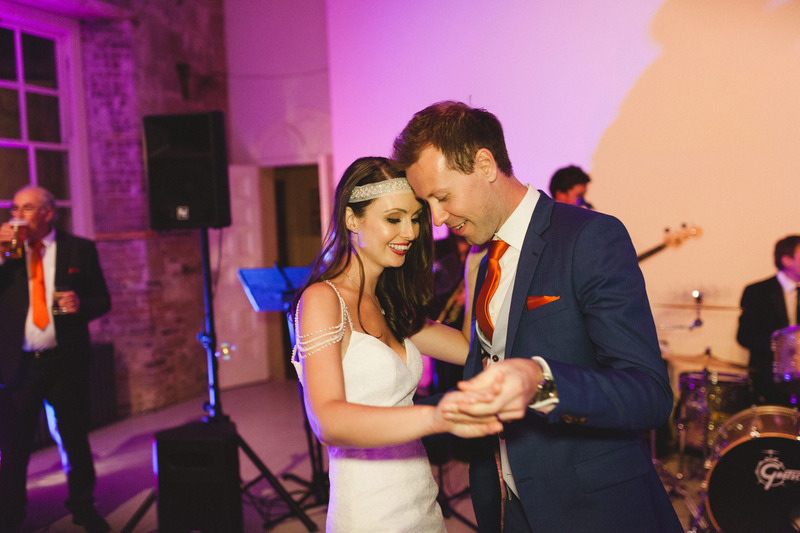 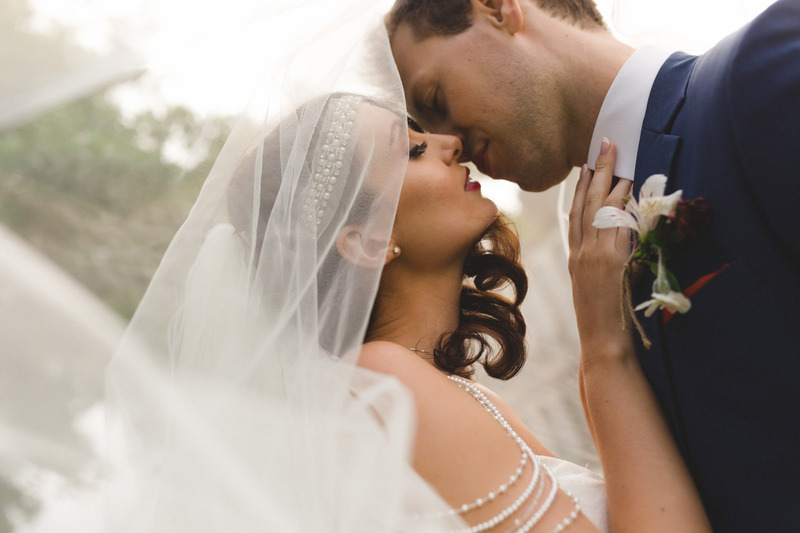 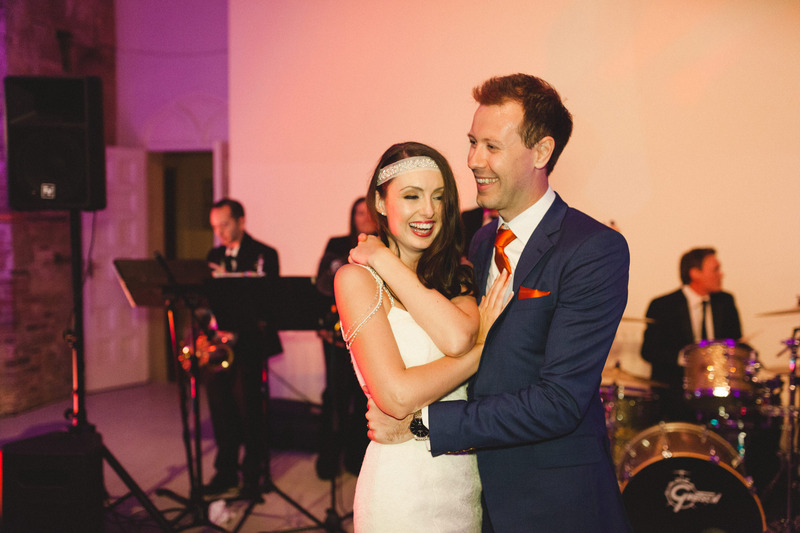 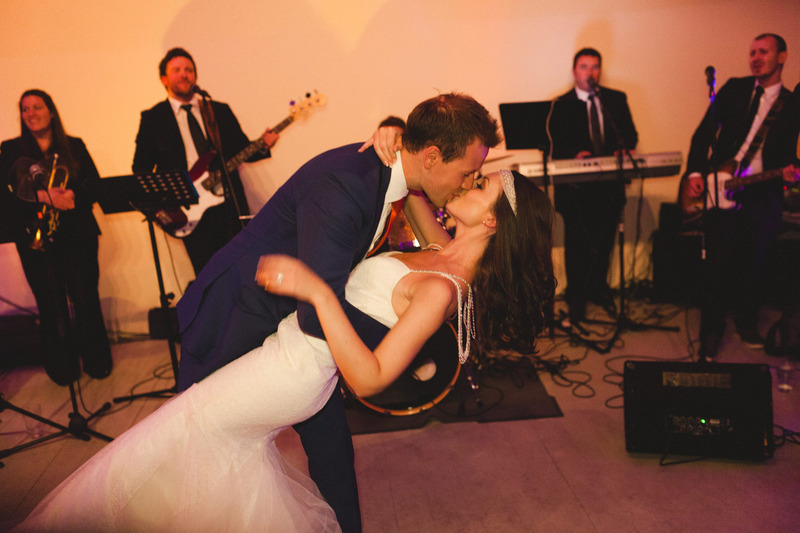 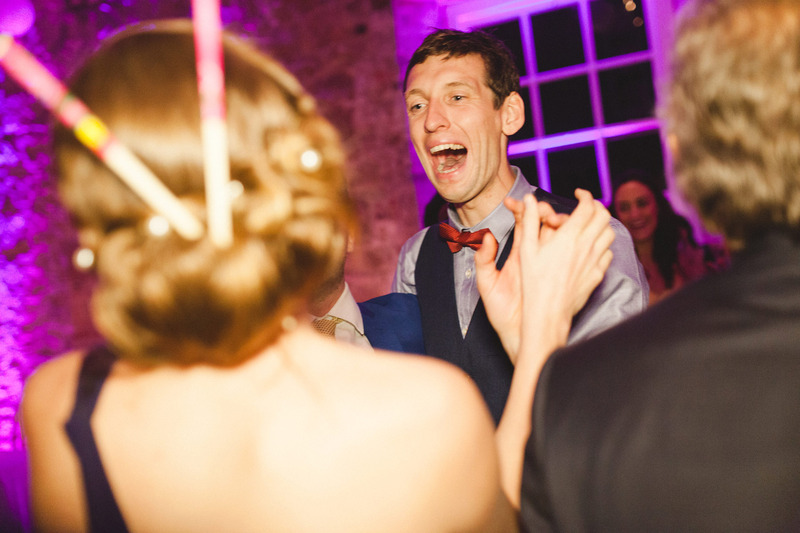 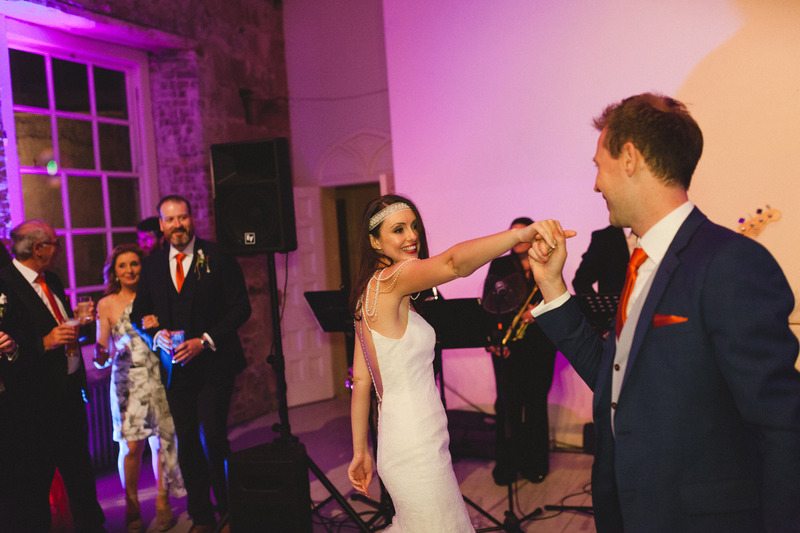 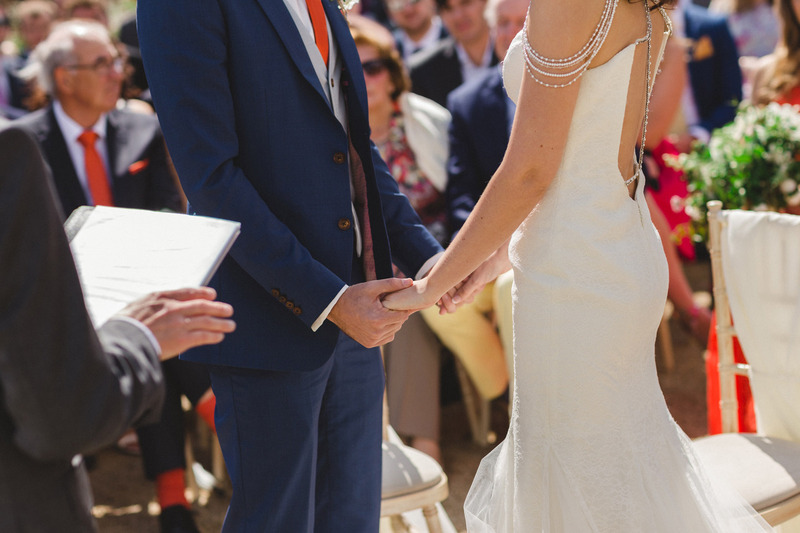 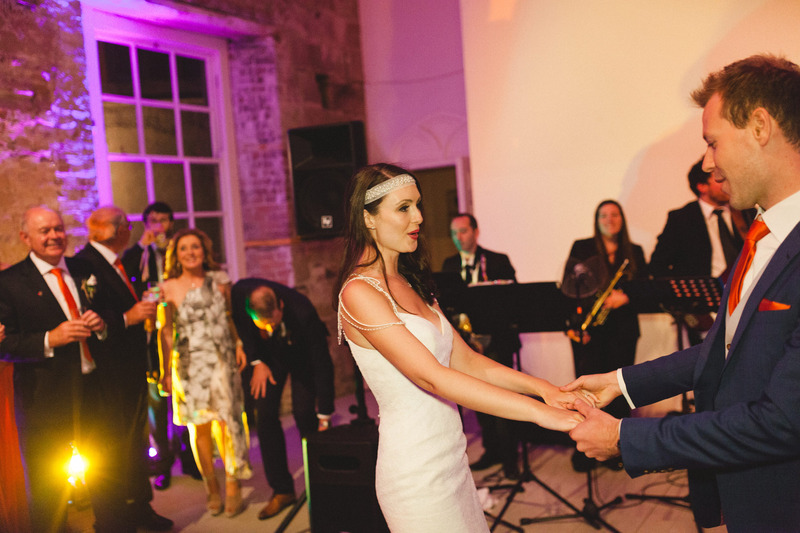 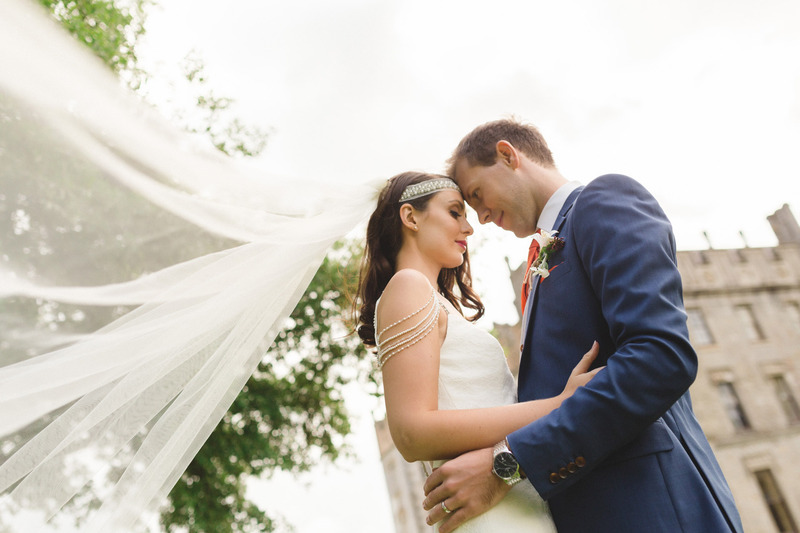 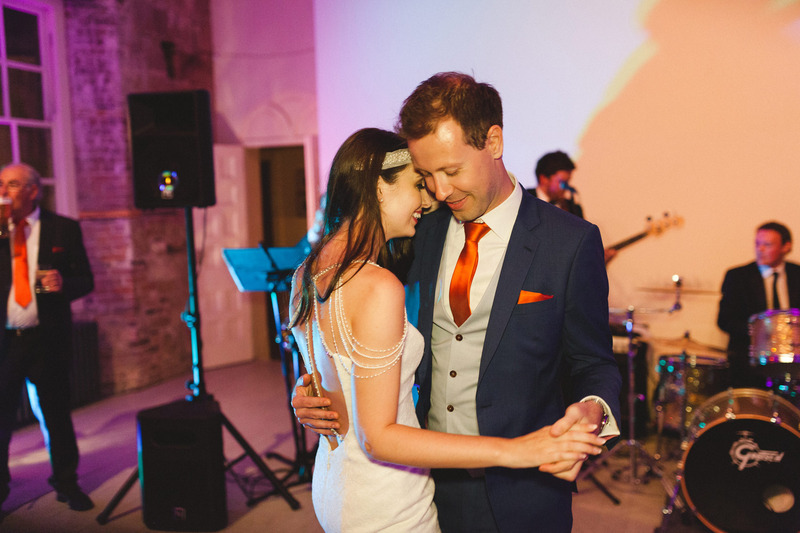 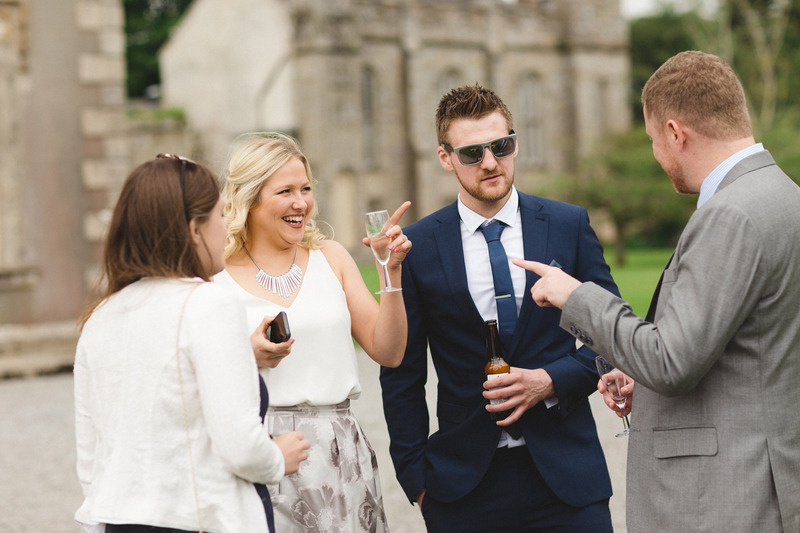 Having met while studying at Trinity College, Amy & Fergal made the move to Singapore. 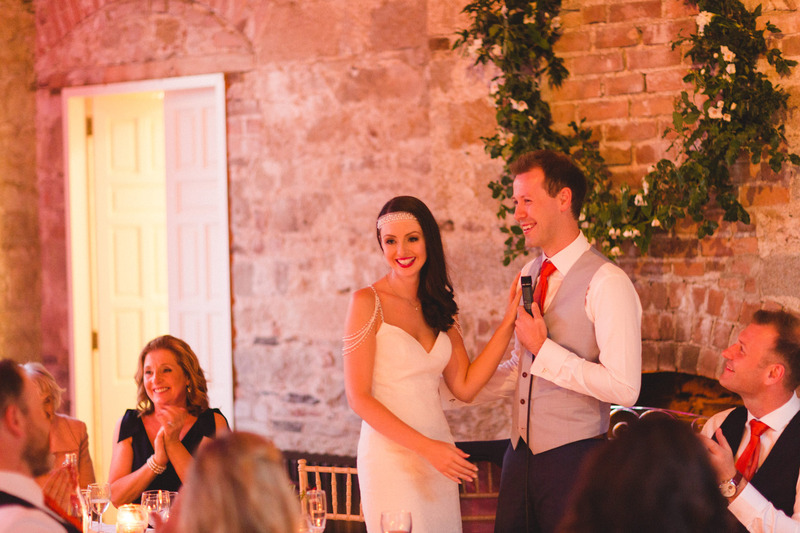 Fergal proposed on Bintan island in Indonesia while on a surprise weekend away for Amy. 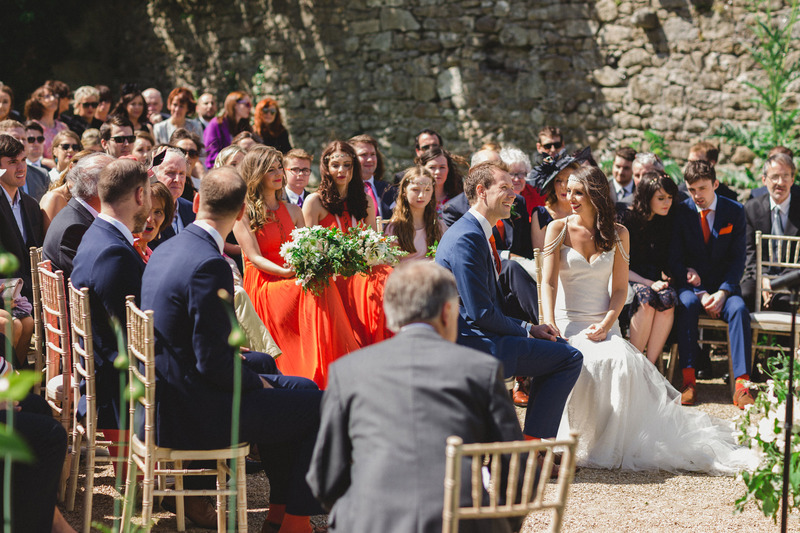 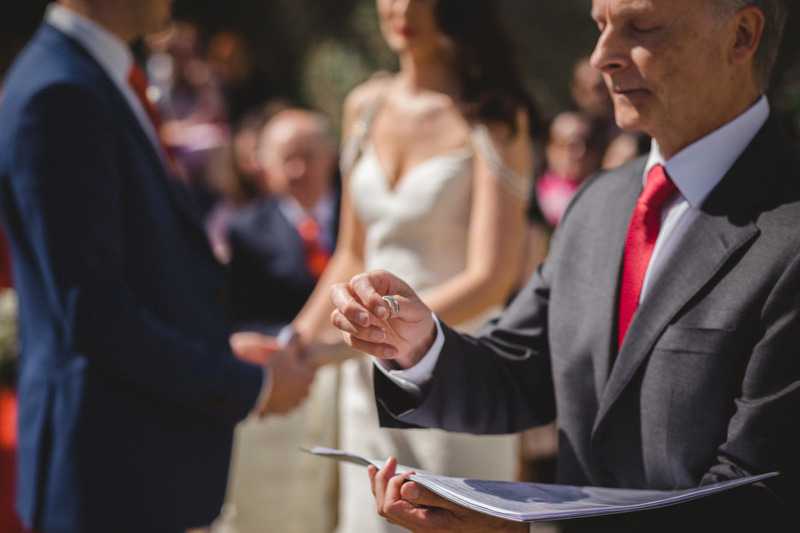 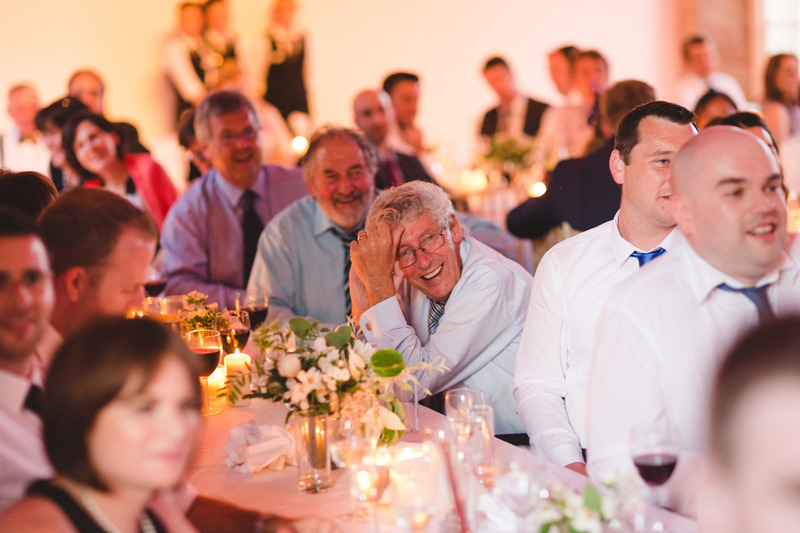 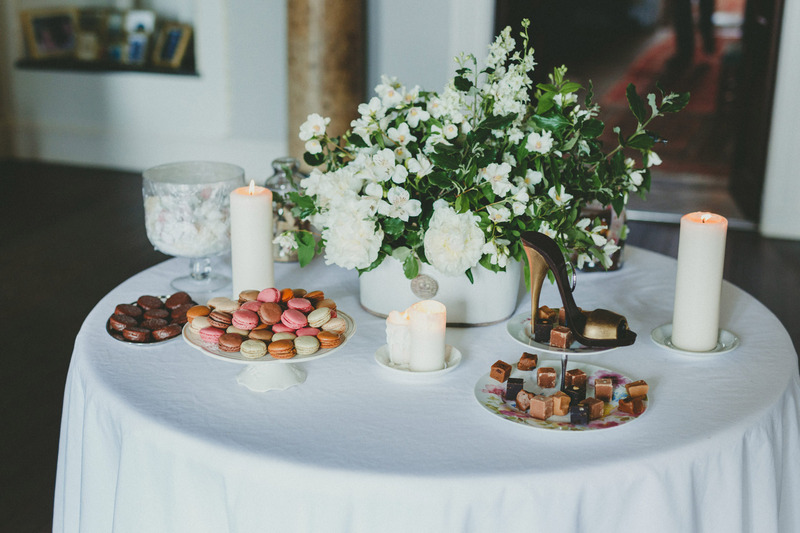 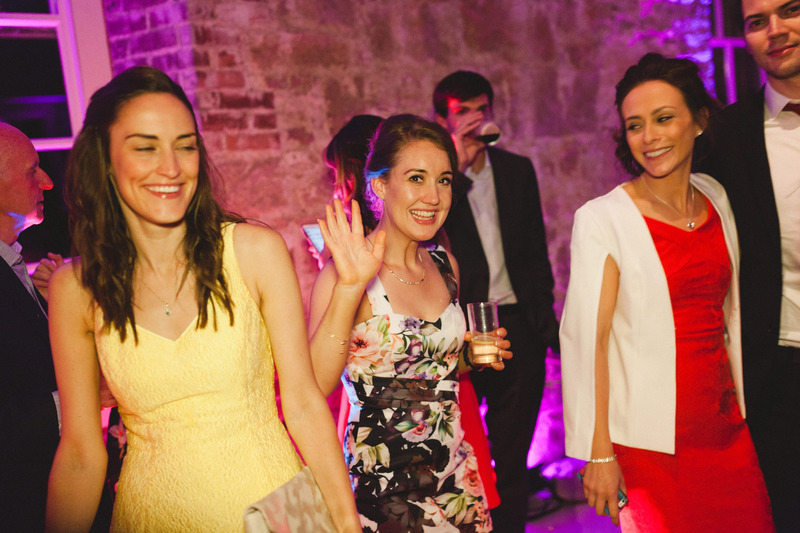 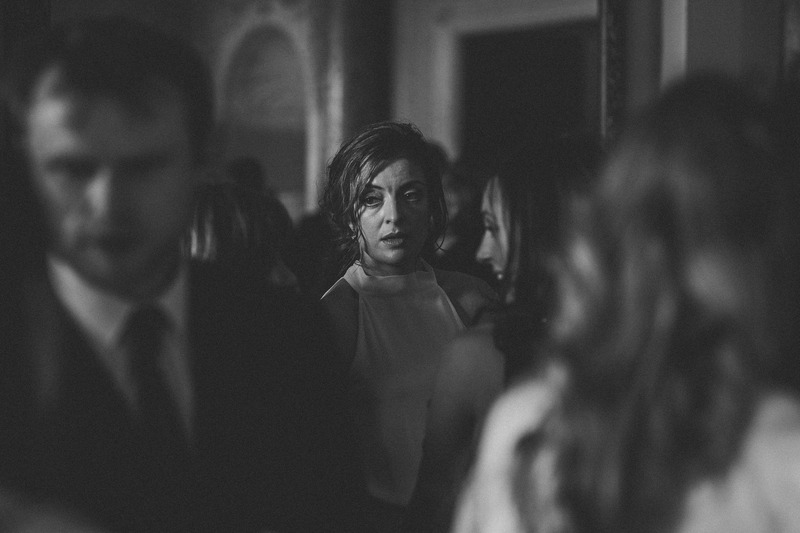 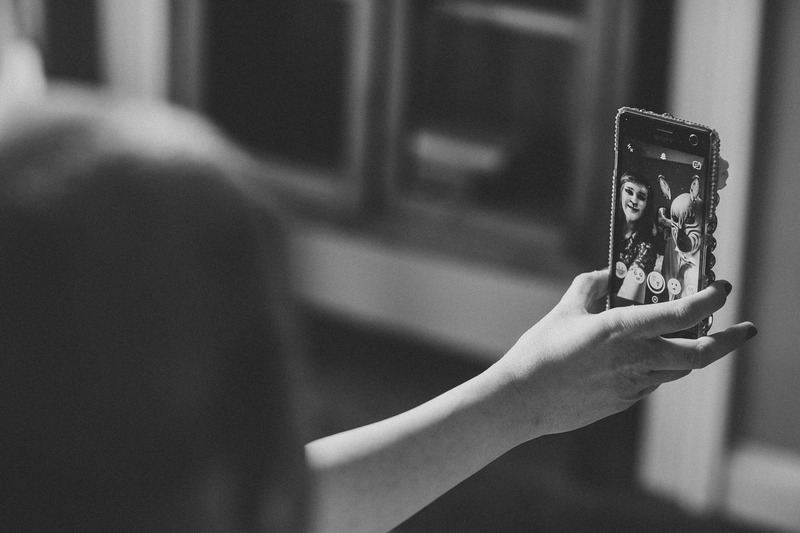 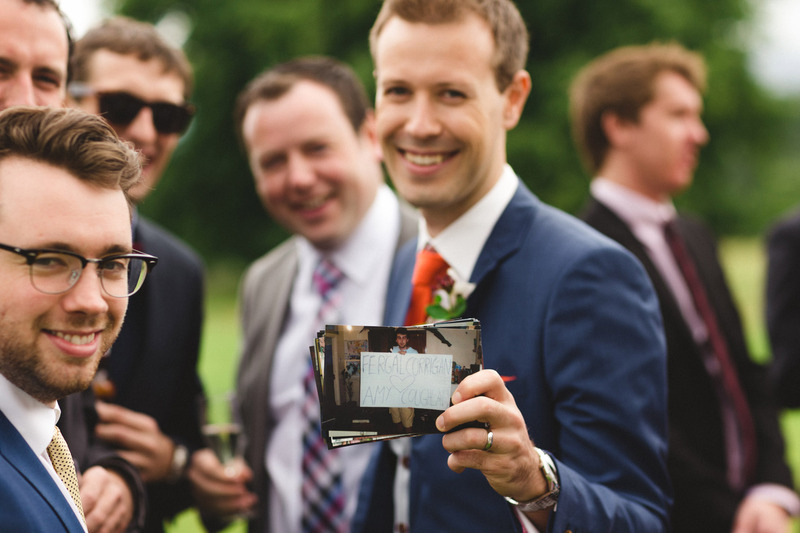 Organising such a spectacular wedding from abroad can be a challenge. 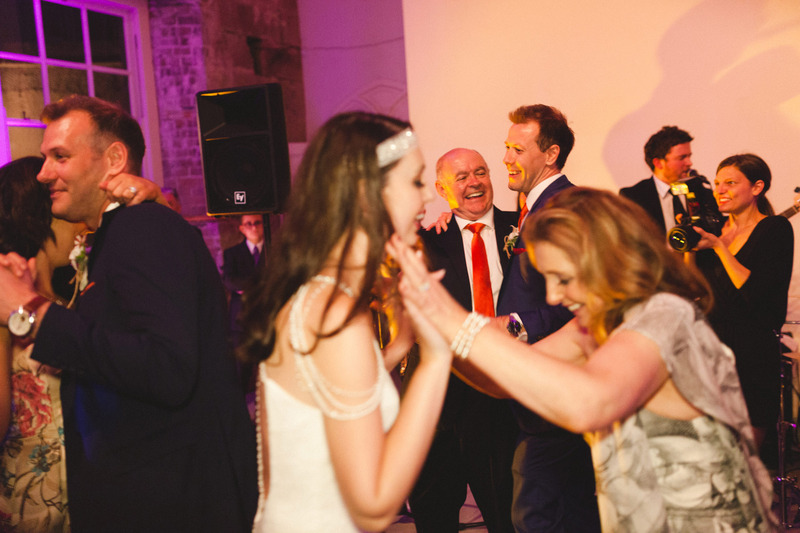 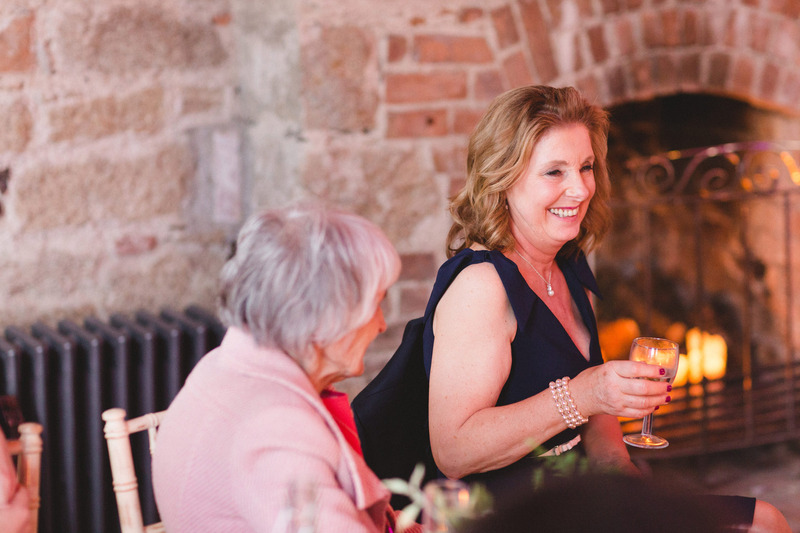 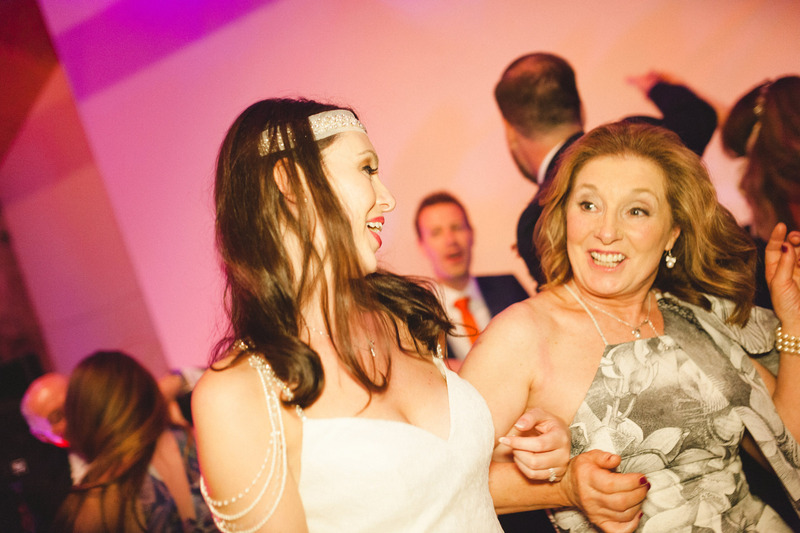 Fortunately with Amy’s mum Bernie, the couple had such a lovely wedding planner extraordinaire! 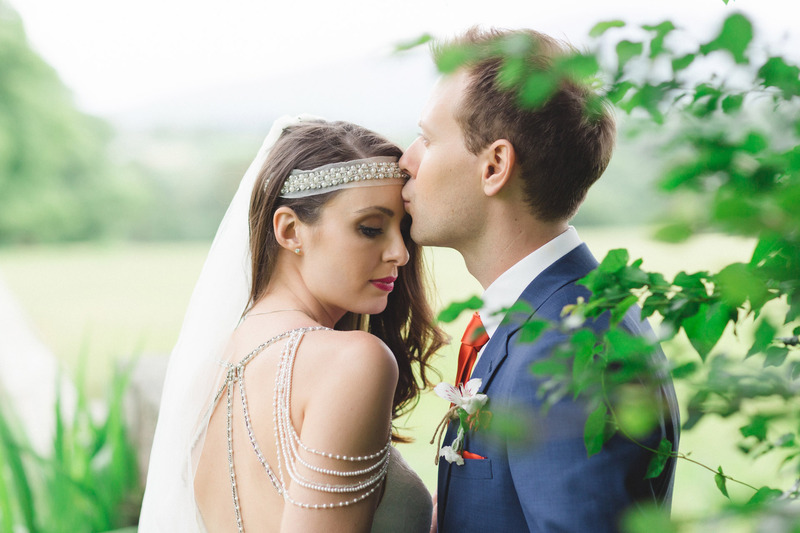 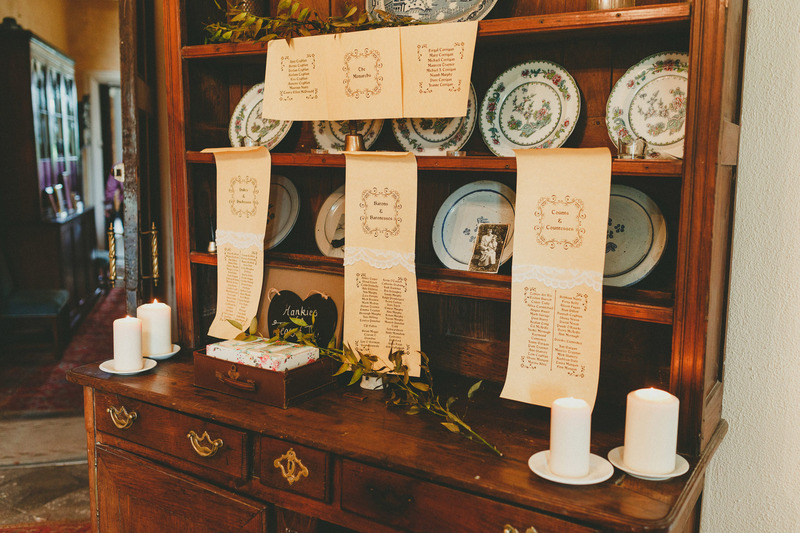 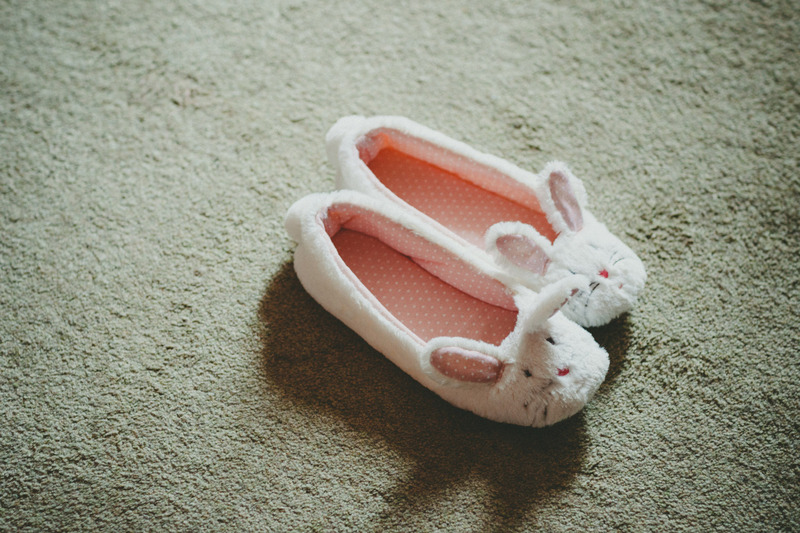 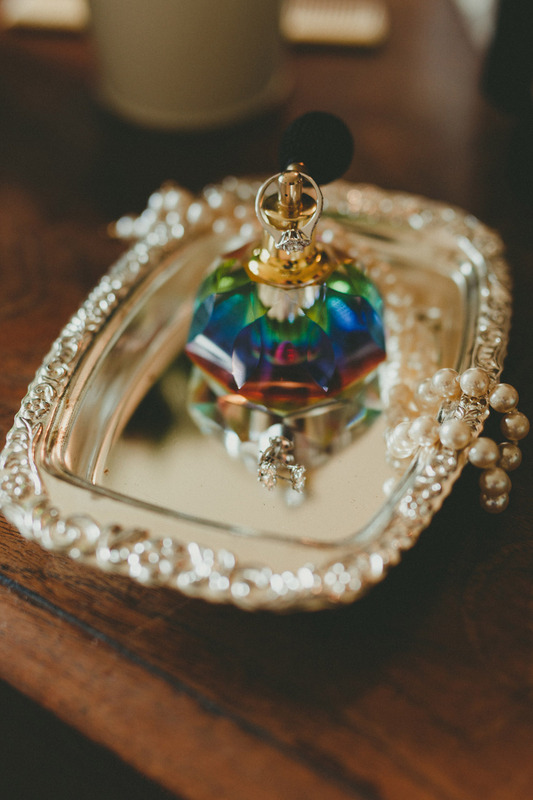 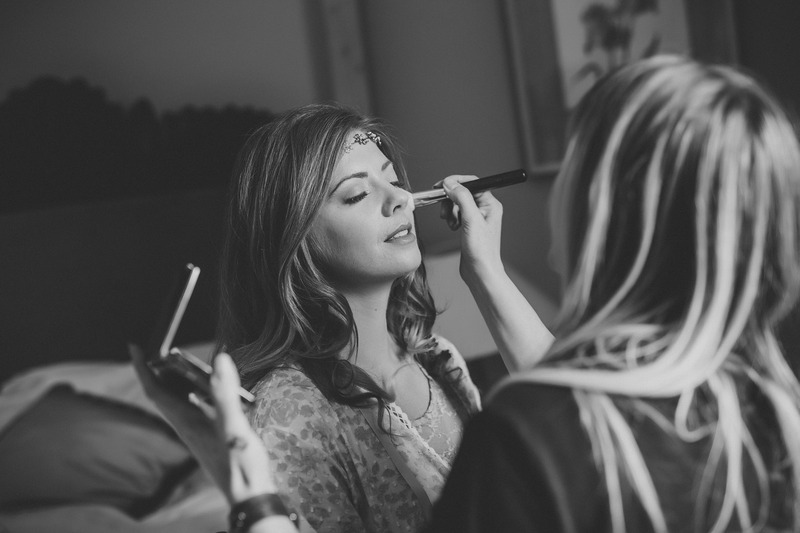 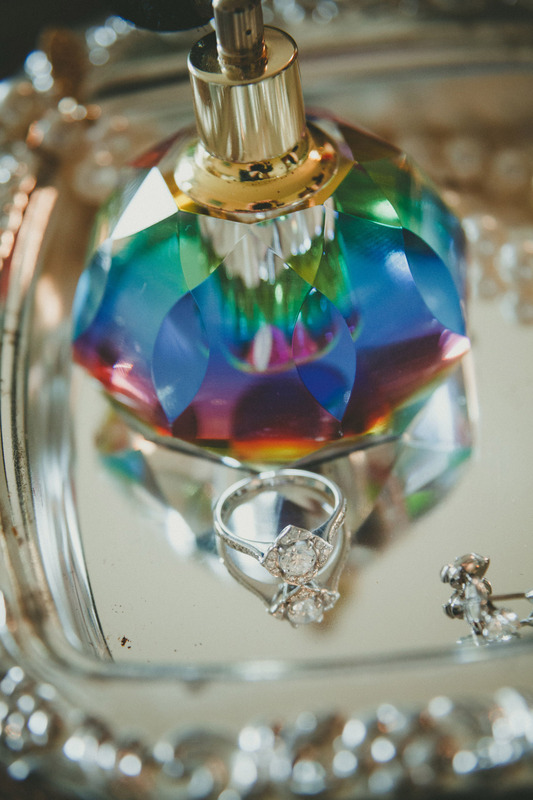 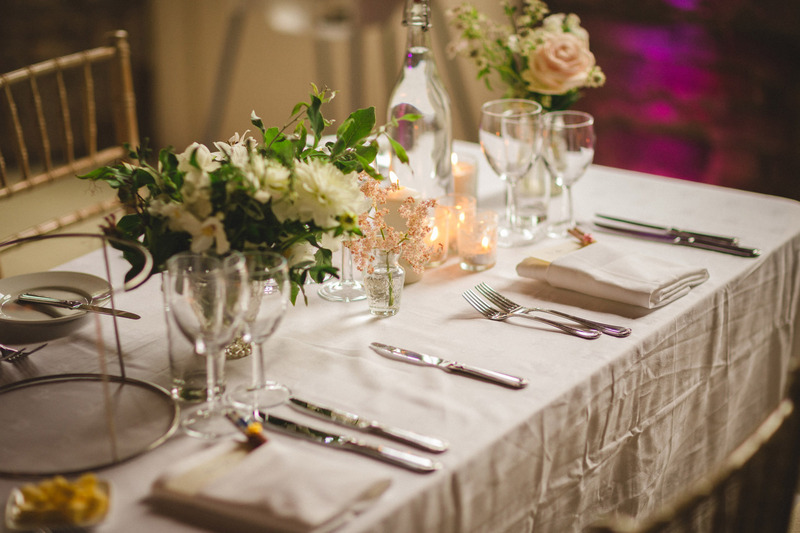 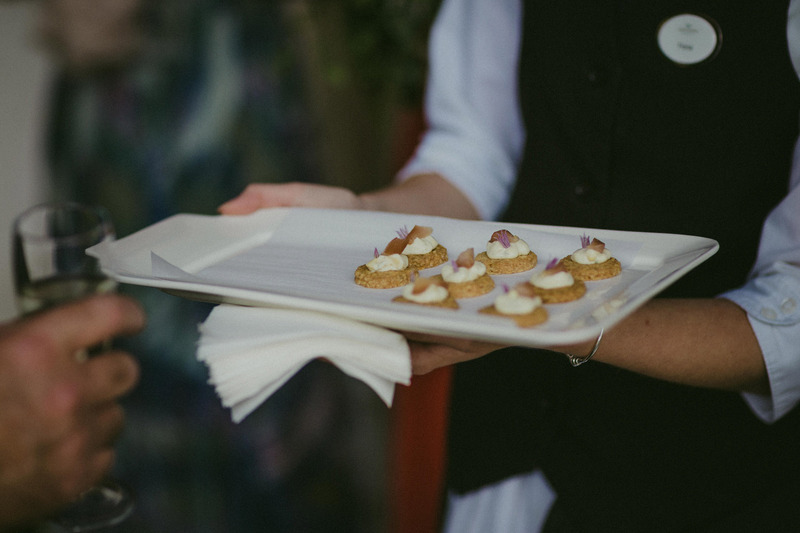 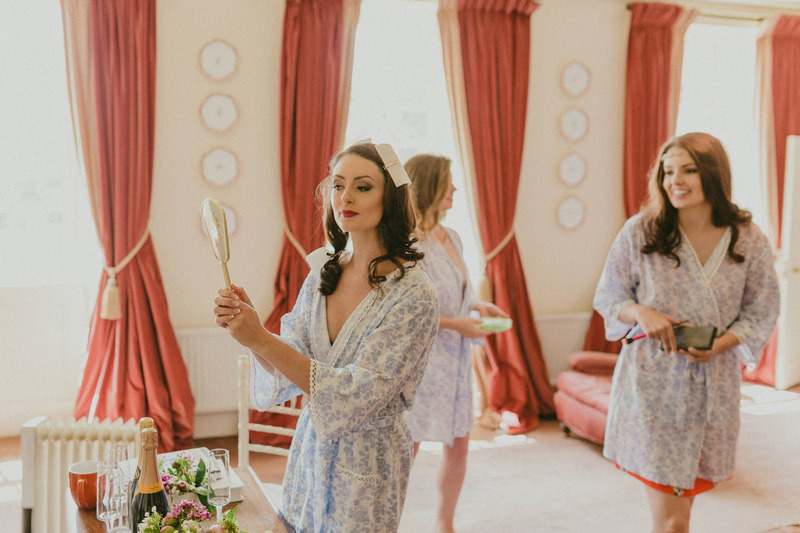 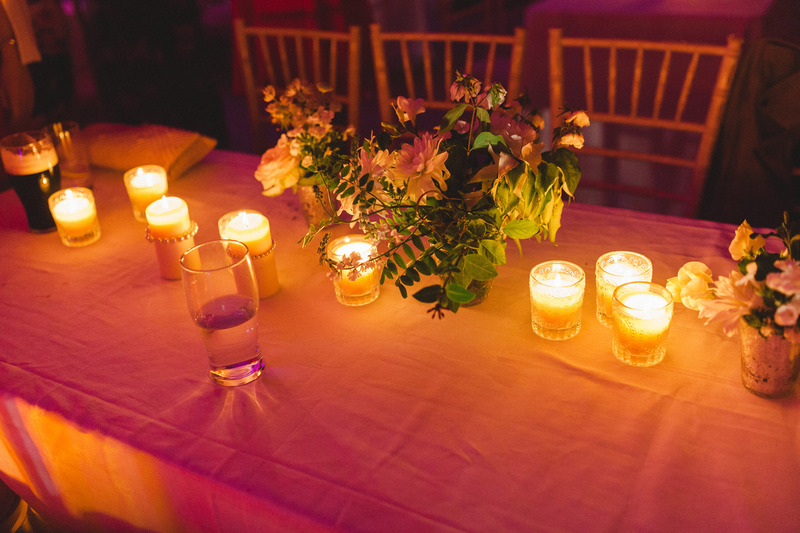 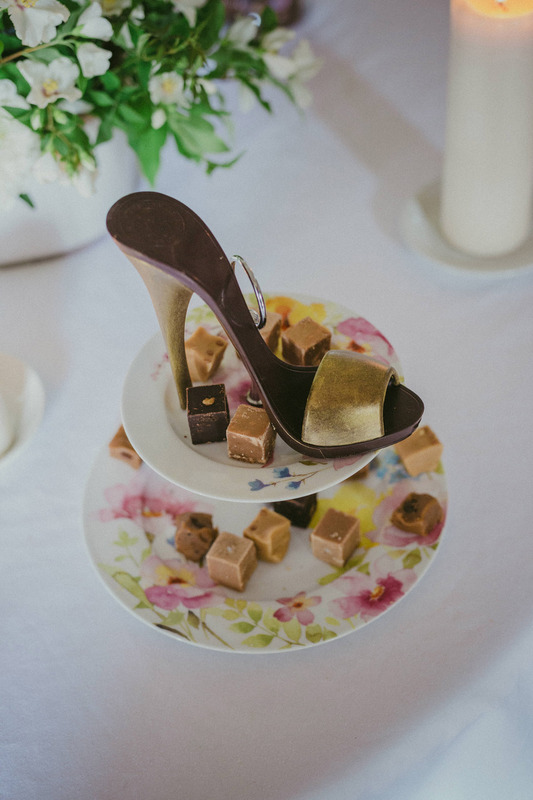 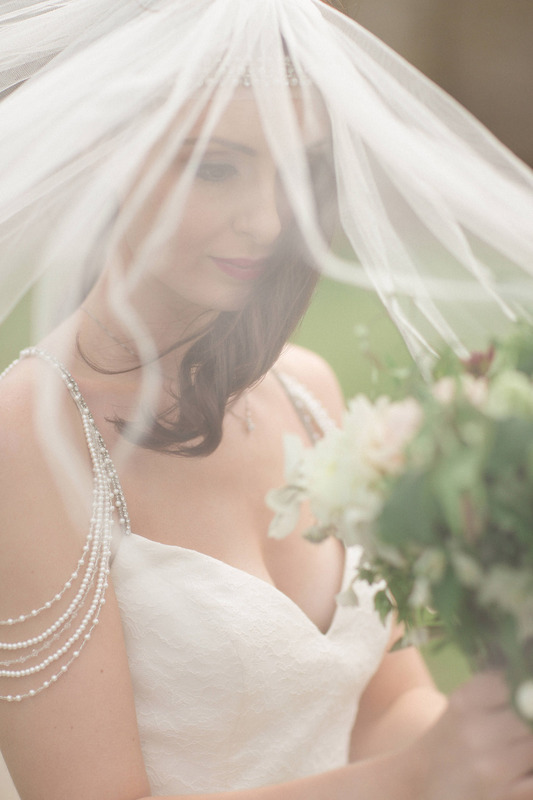 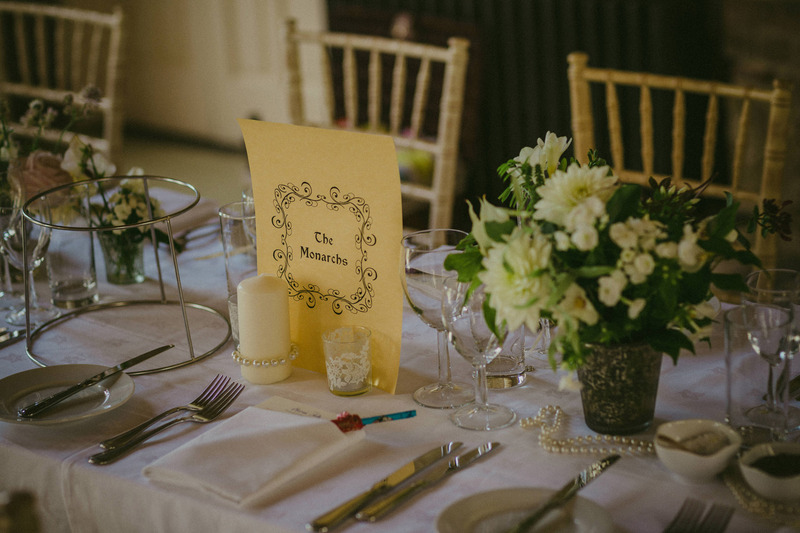 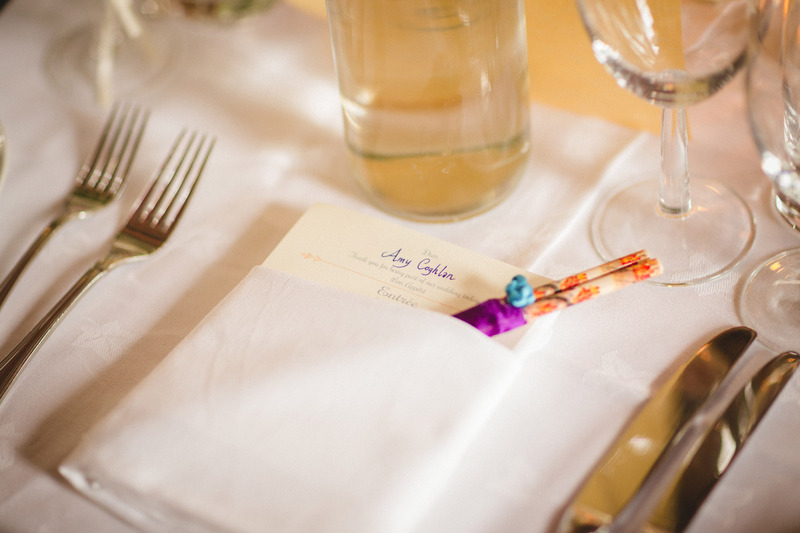 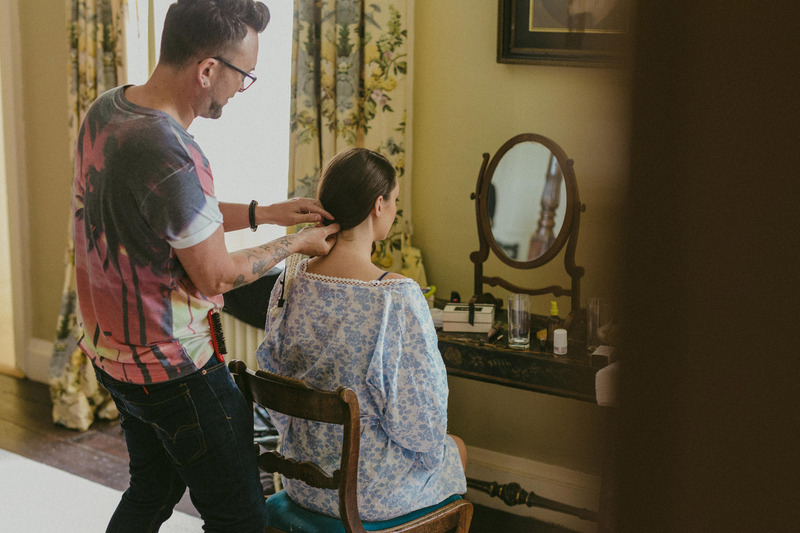 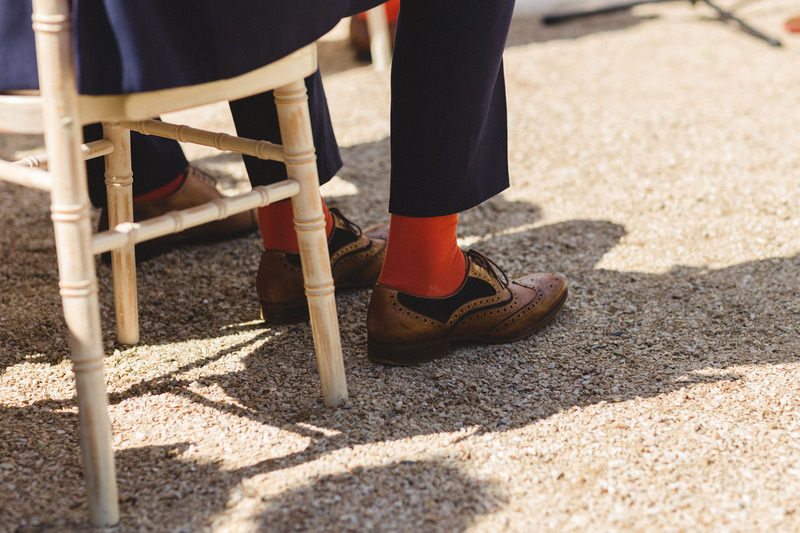 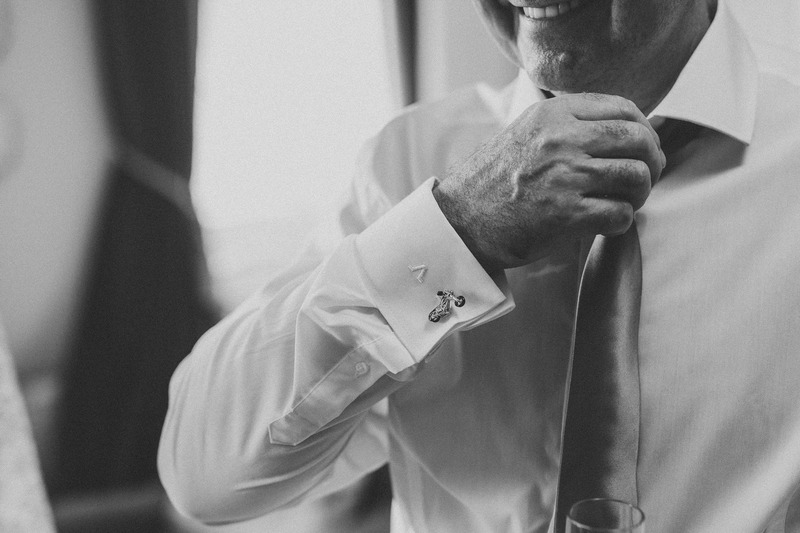 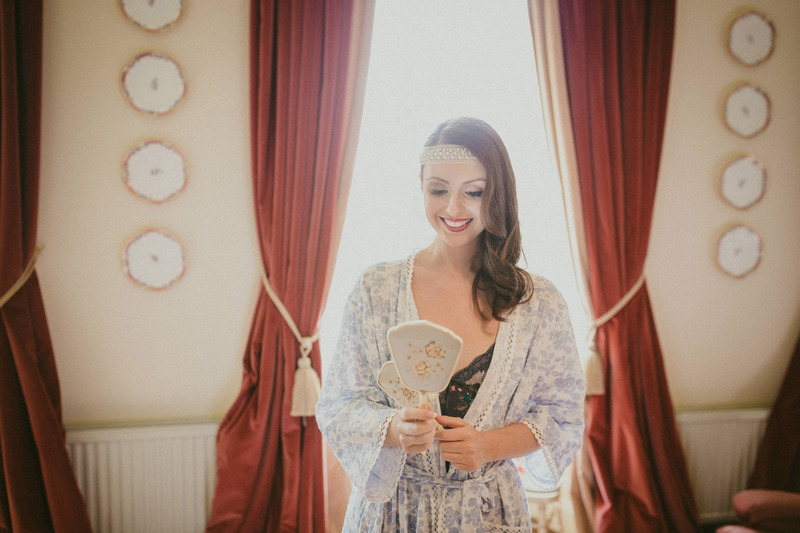 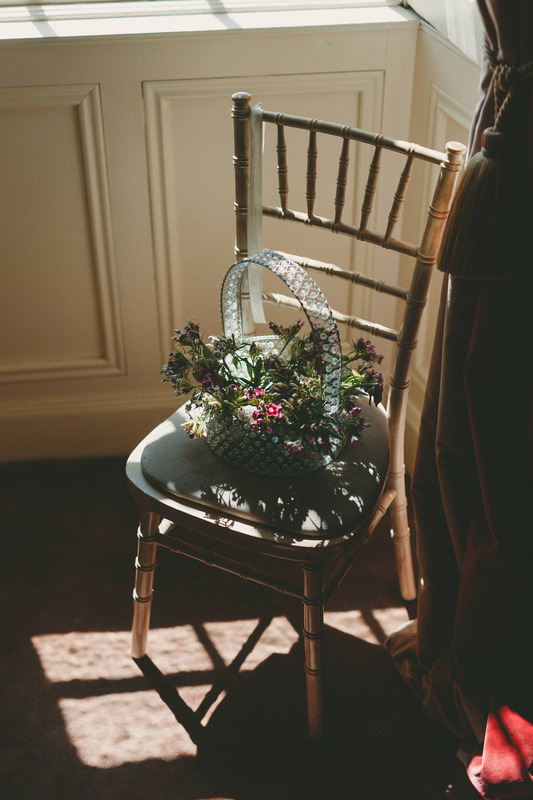 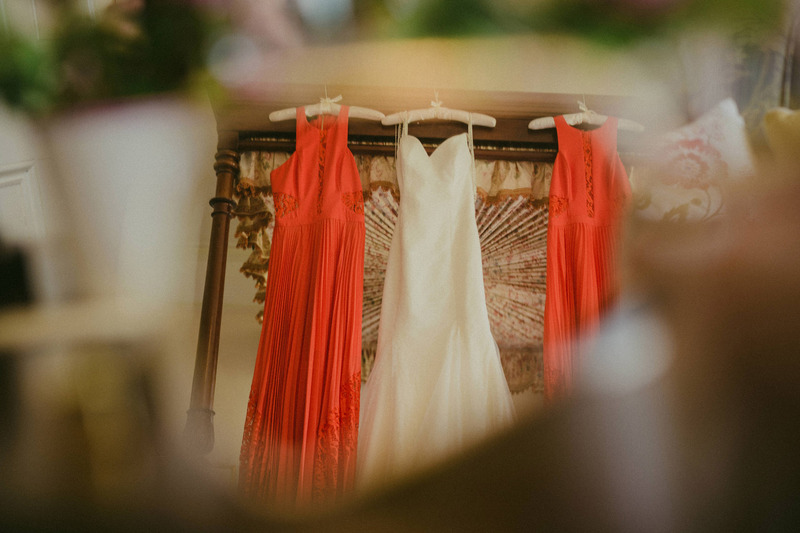 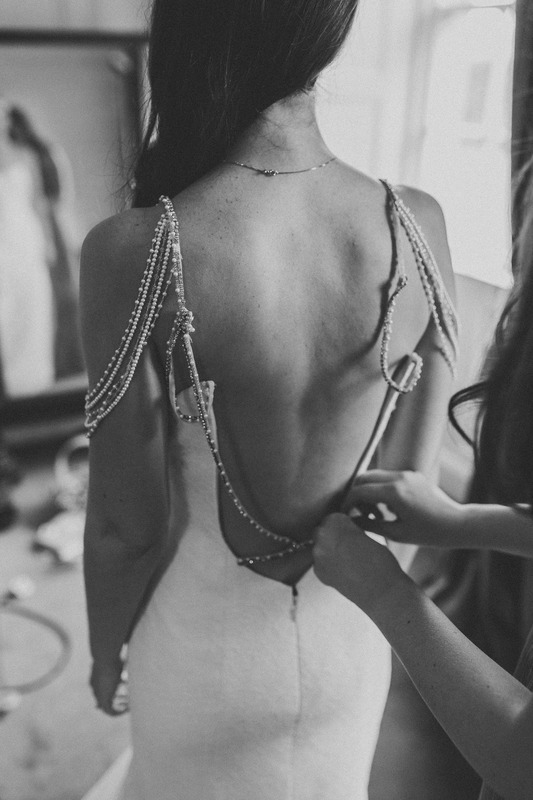 A job really well done with amazing details and great style throughout the wedding day. 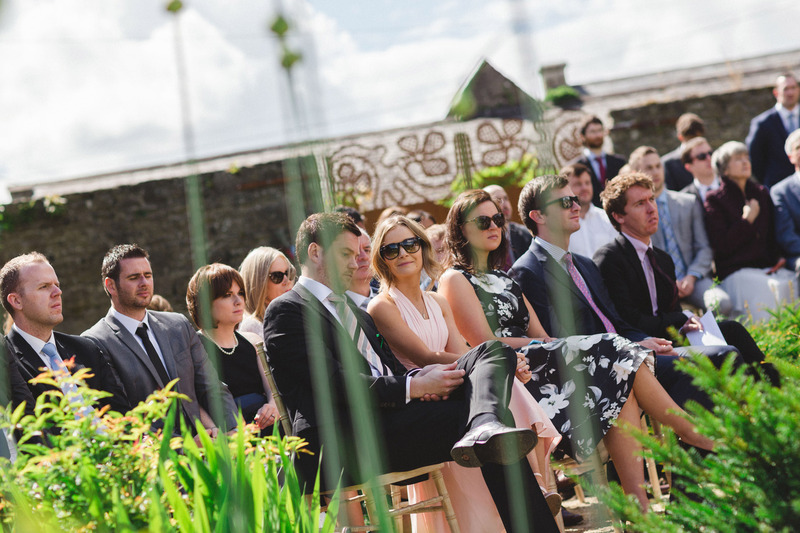 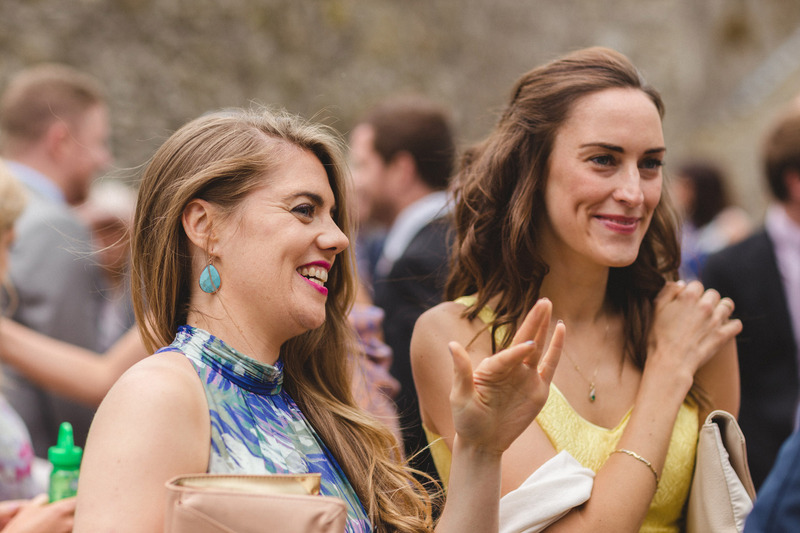 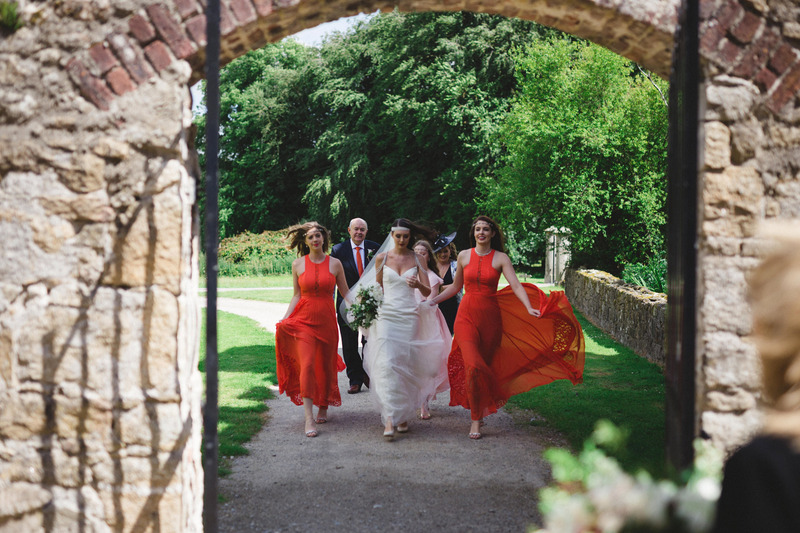 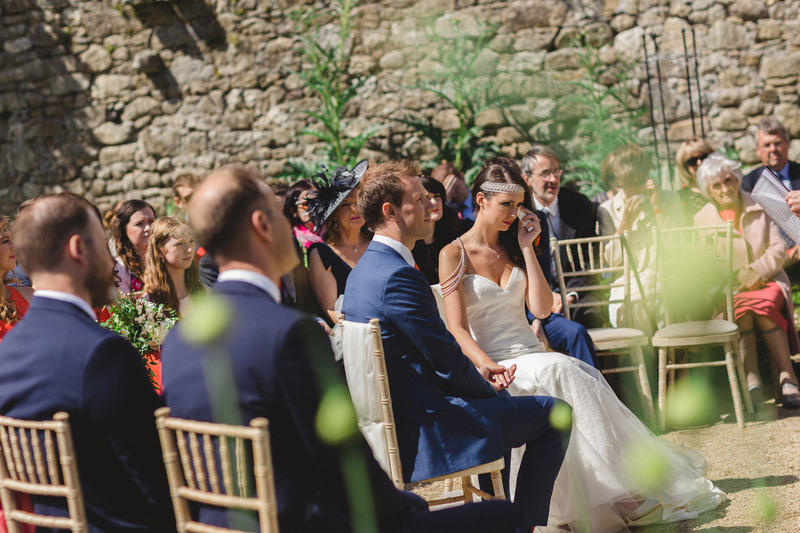 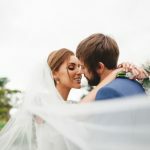 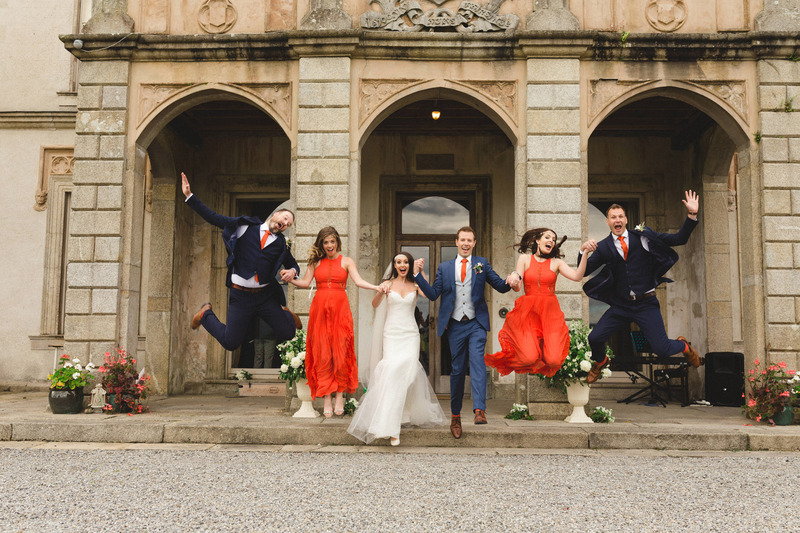 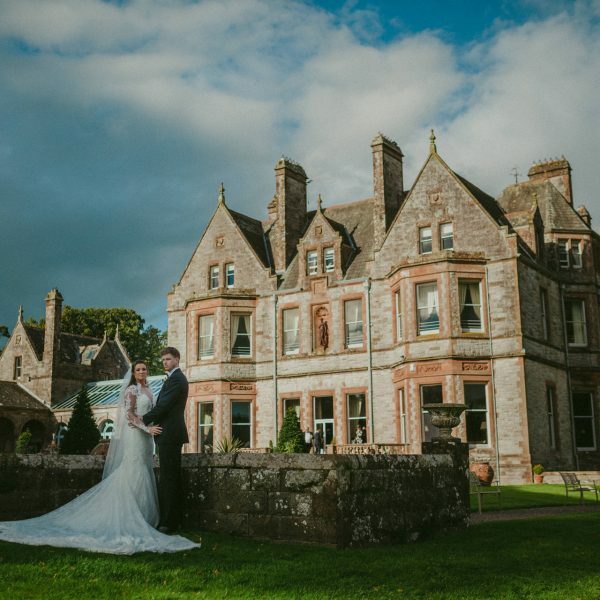 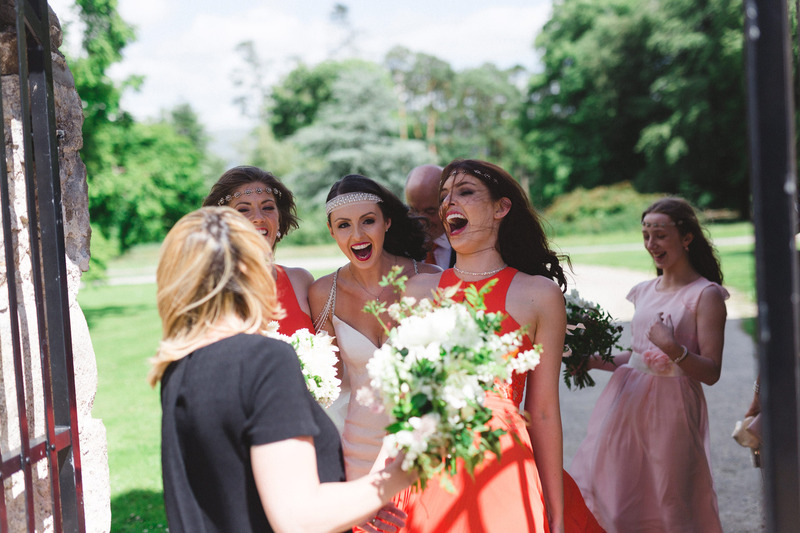 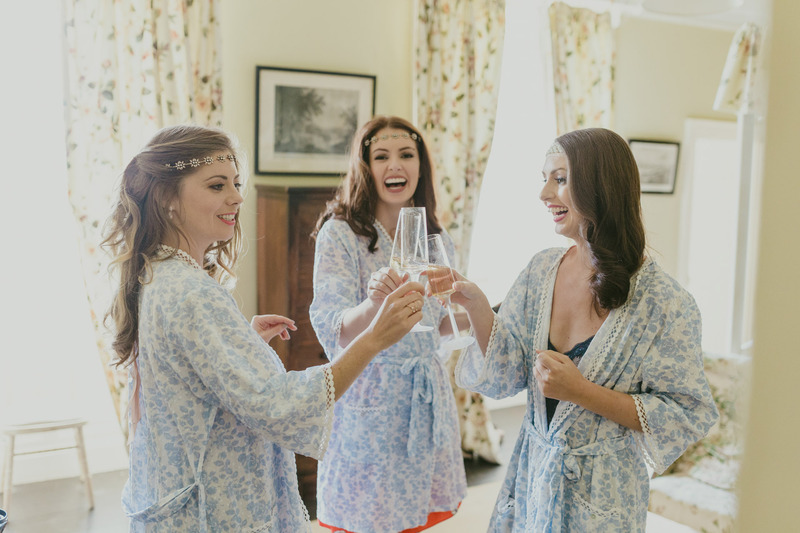 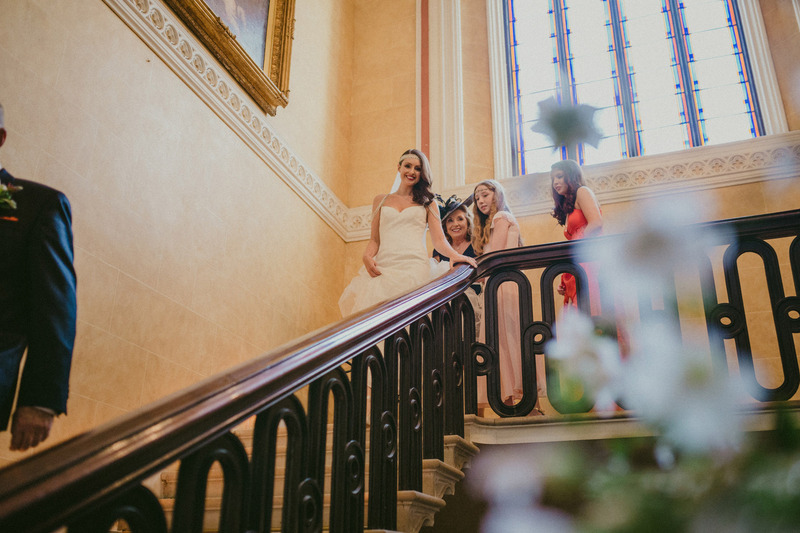 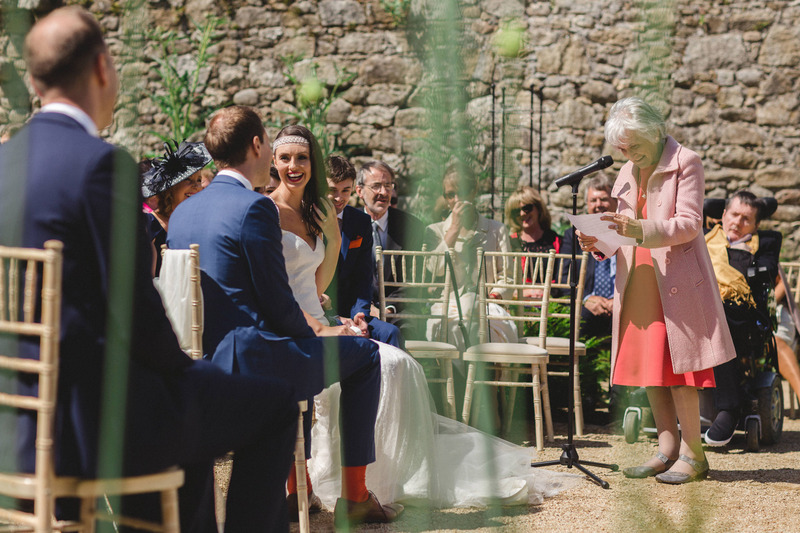 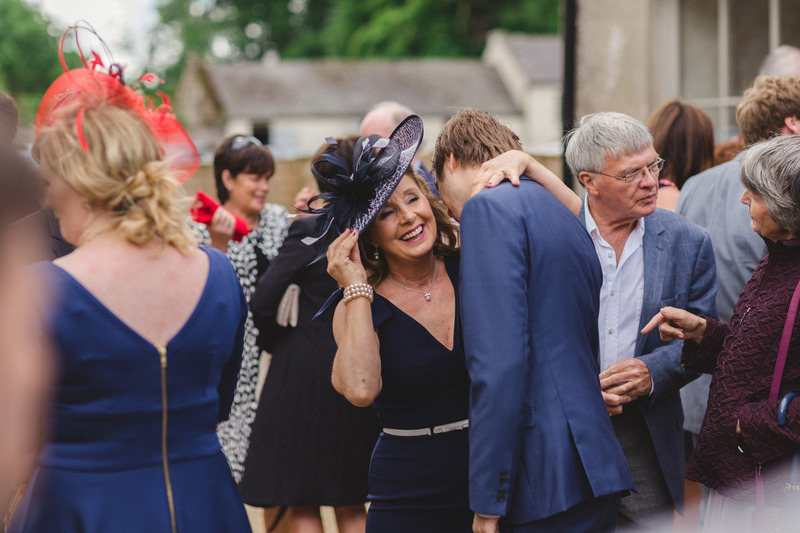 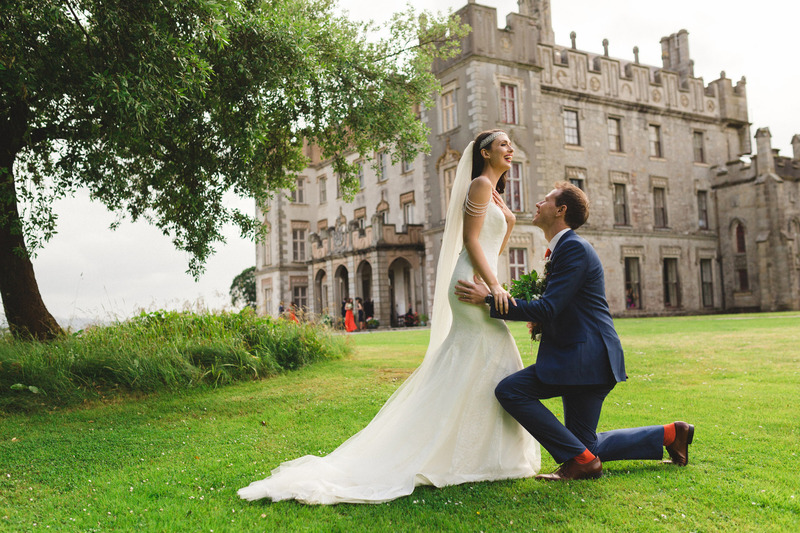 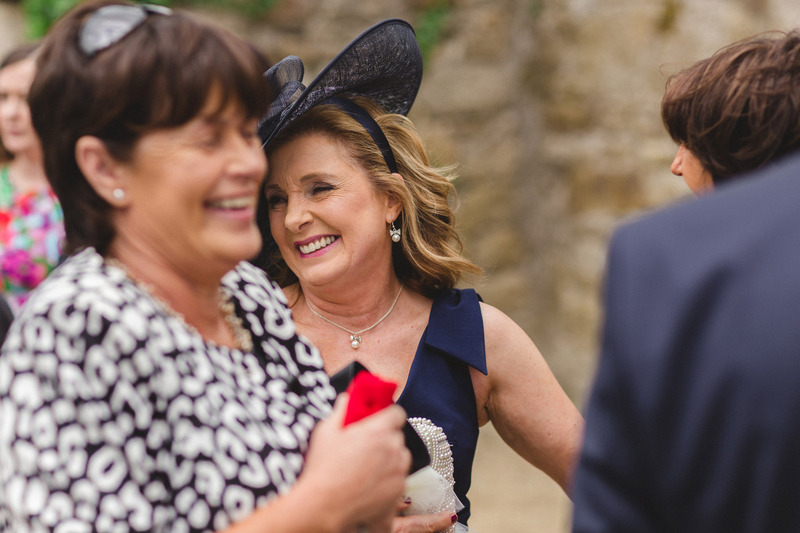 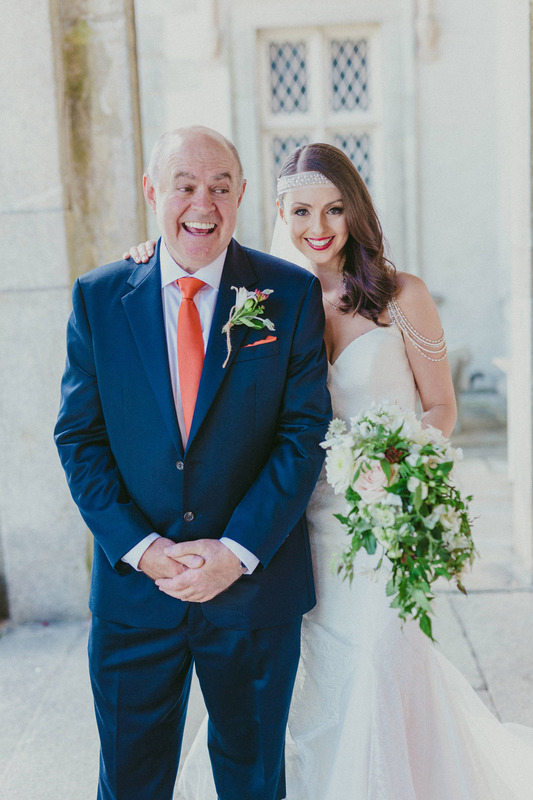 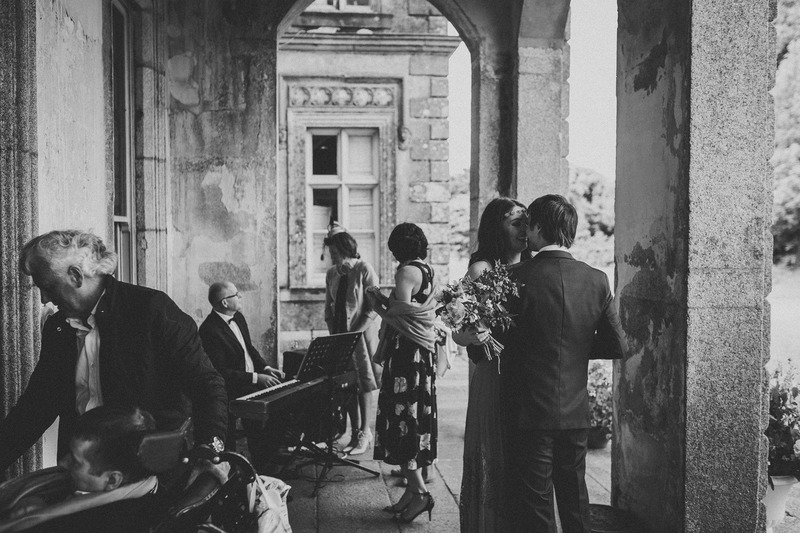 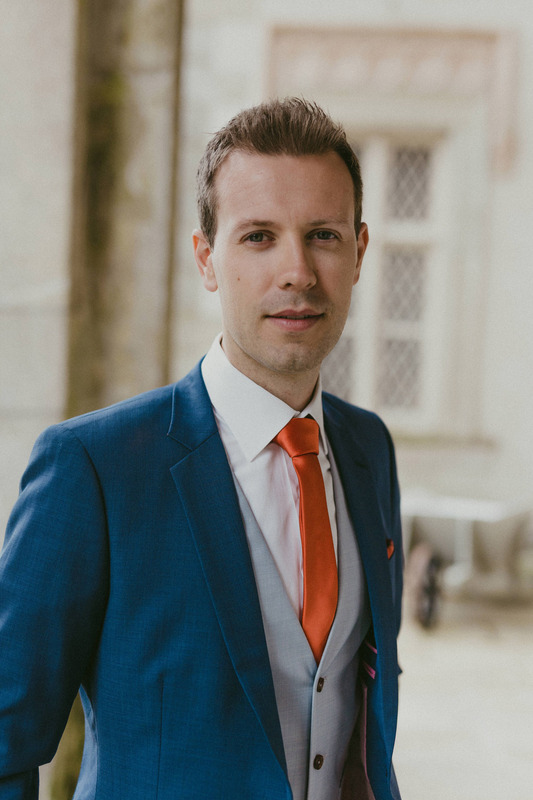 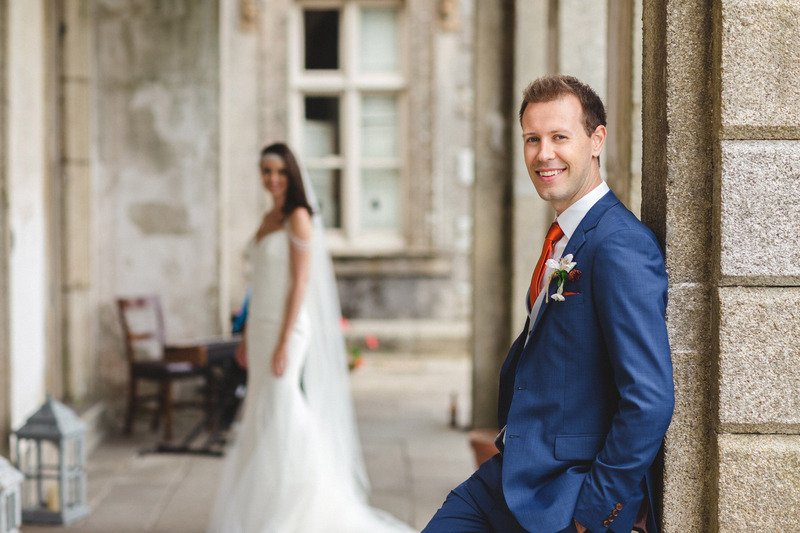 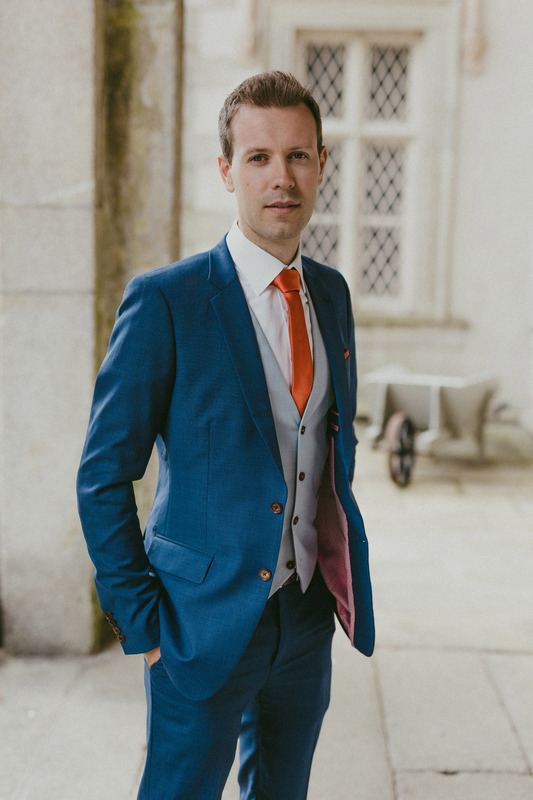 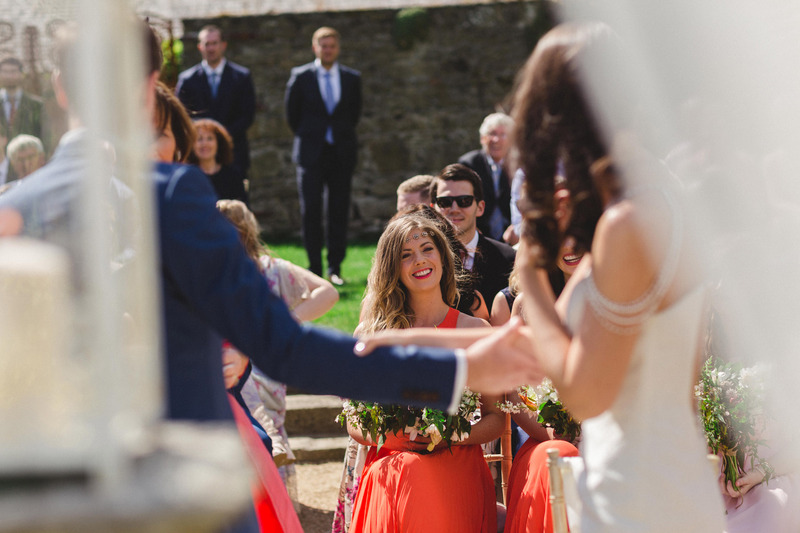 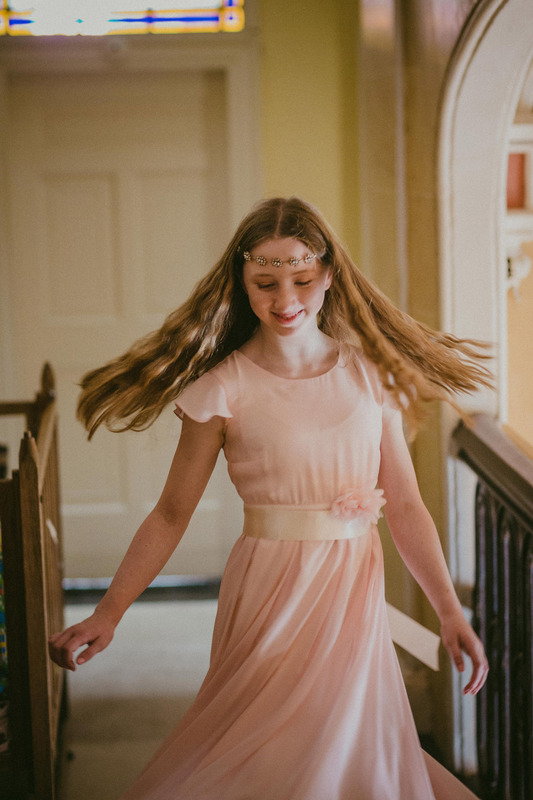 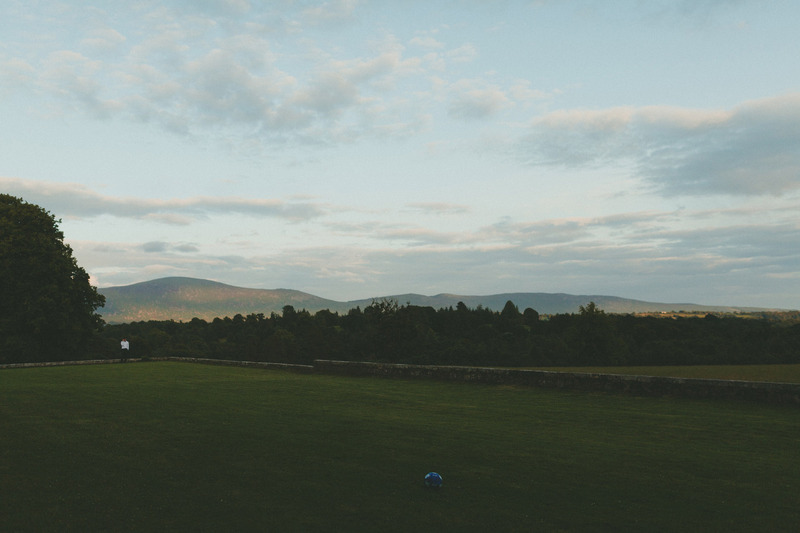 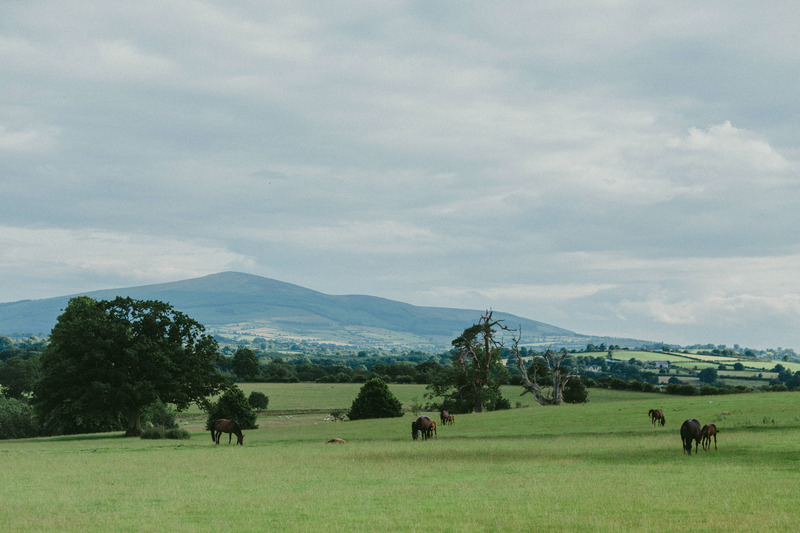 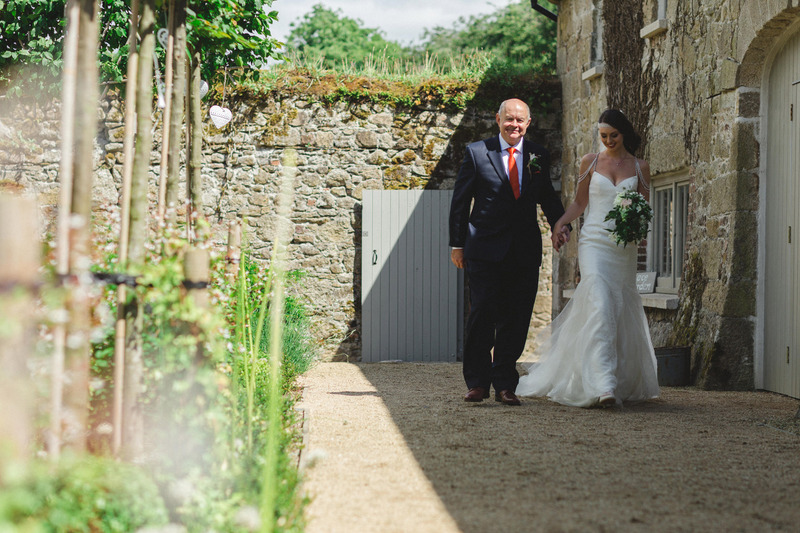 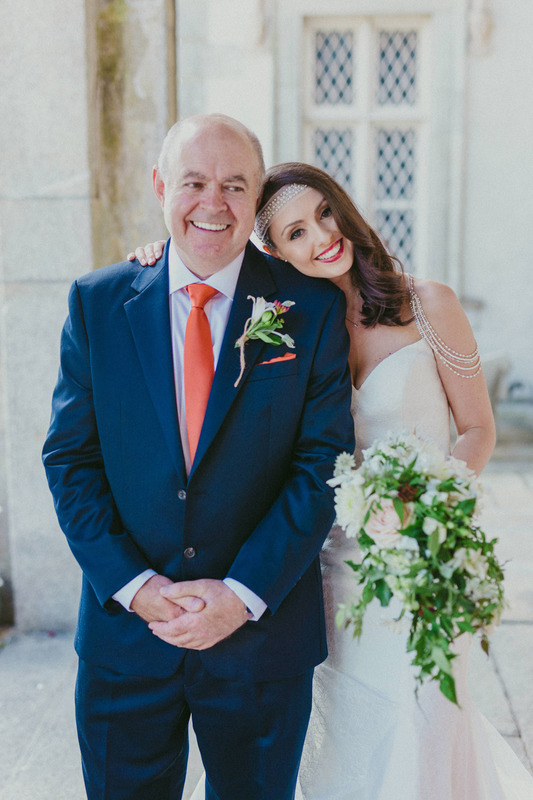 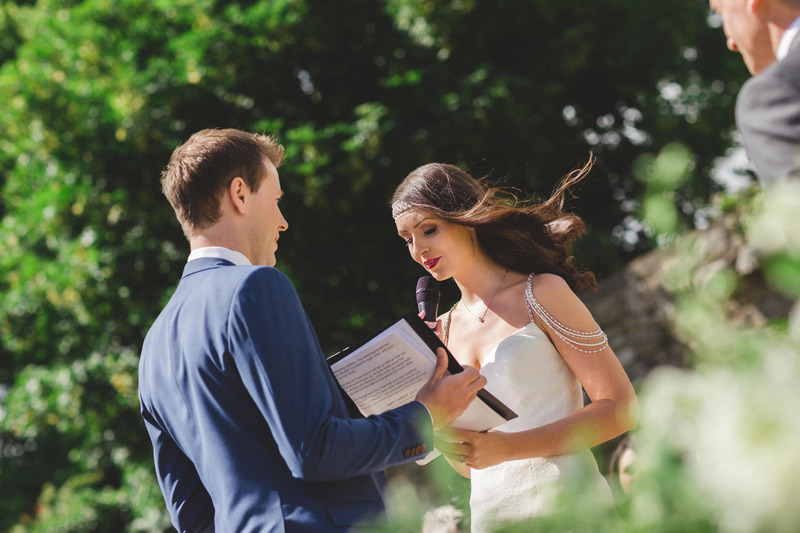 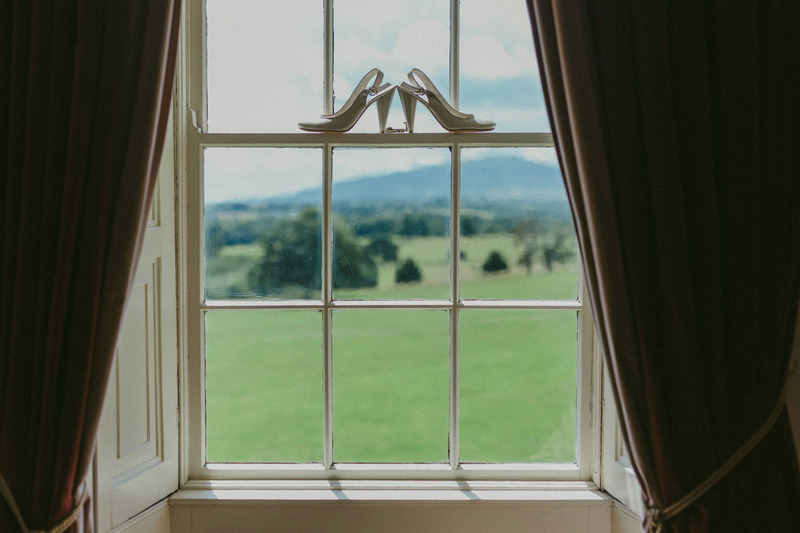 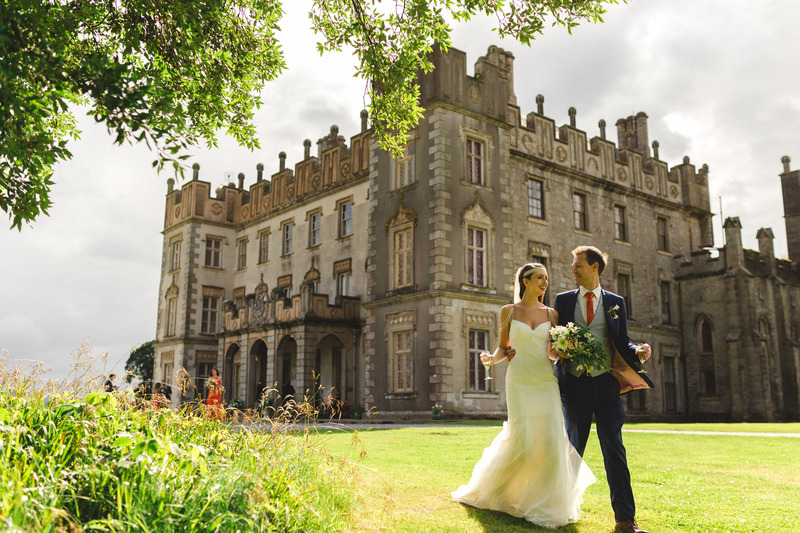 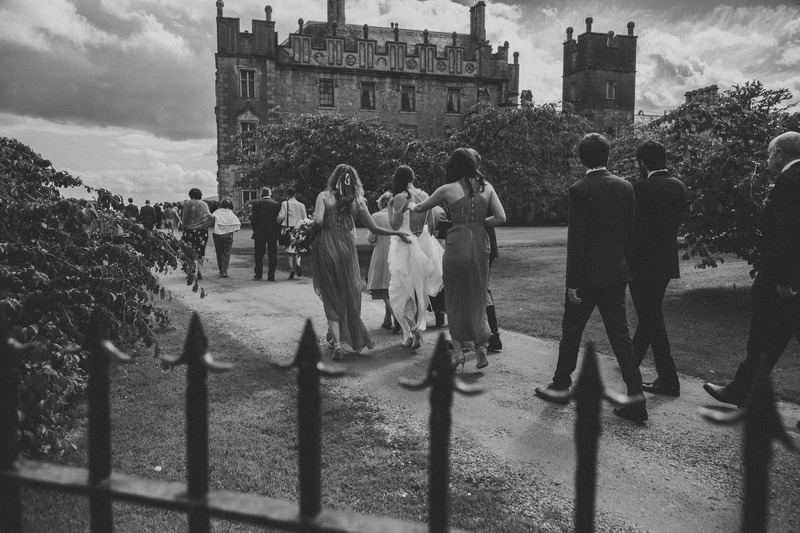 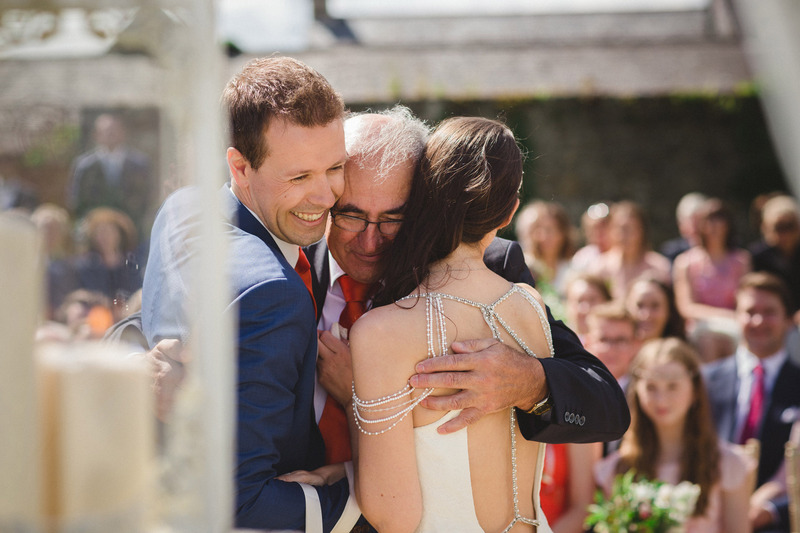 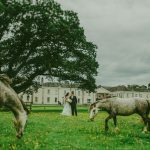 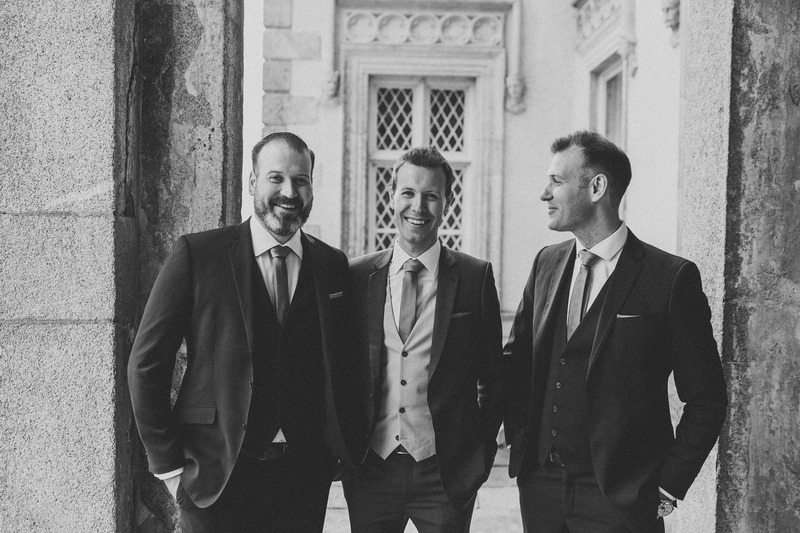 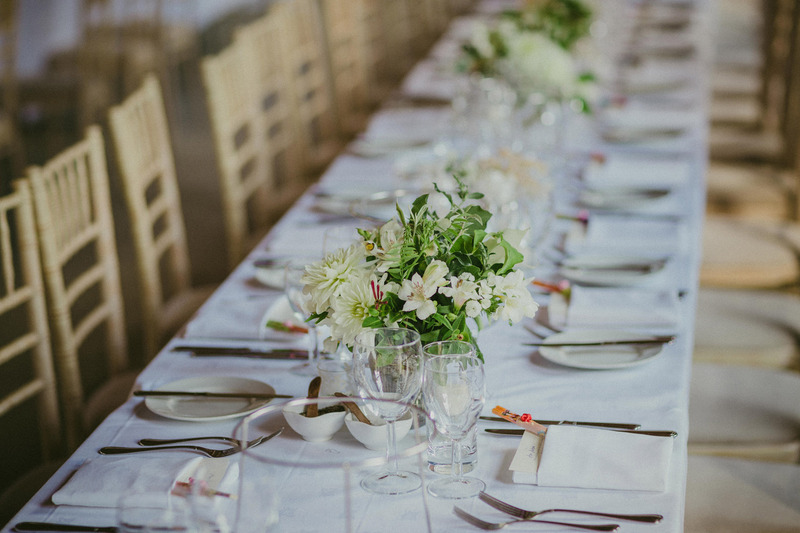 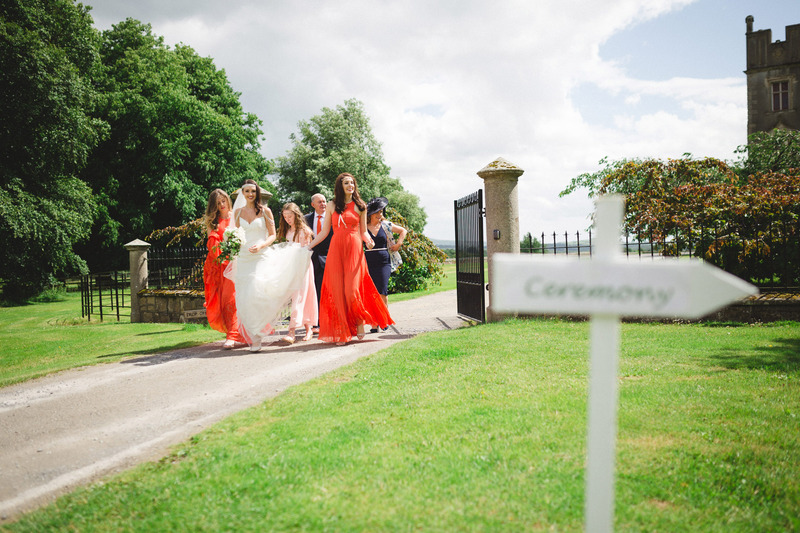 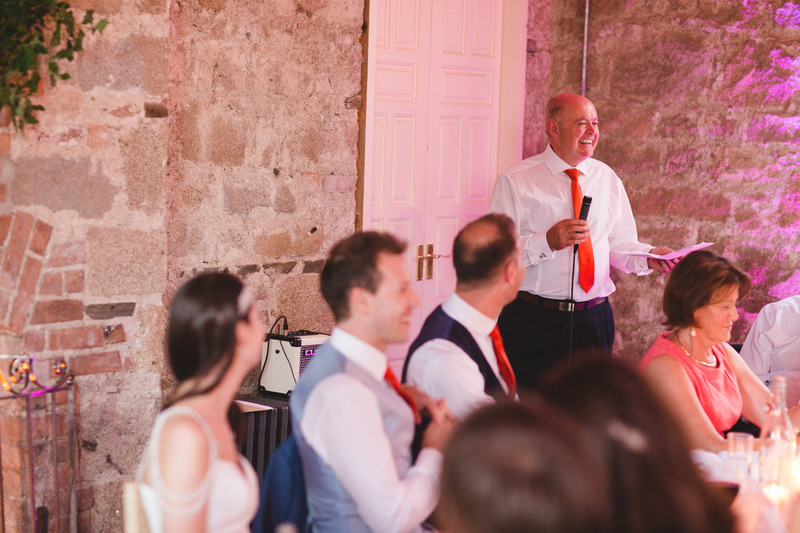 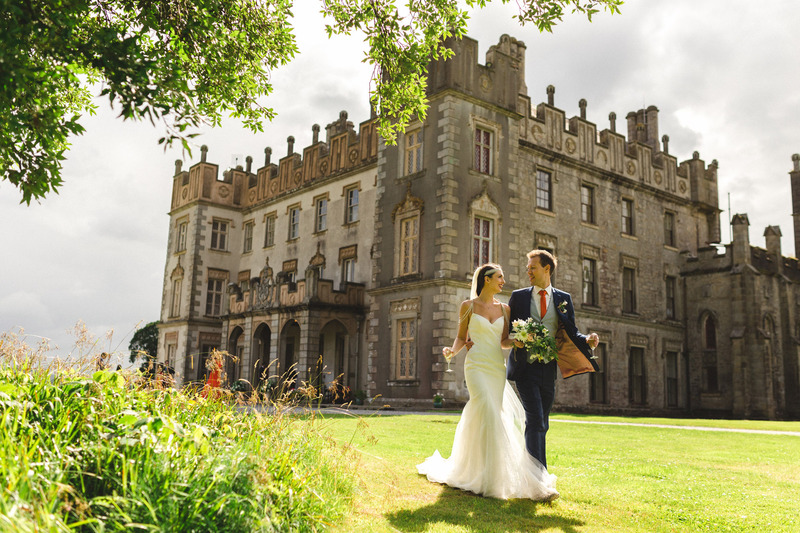 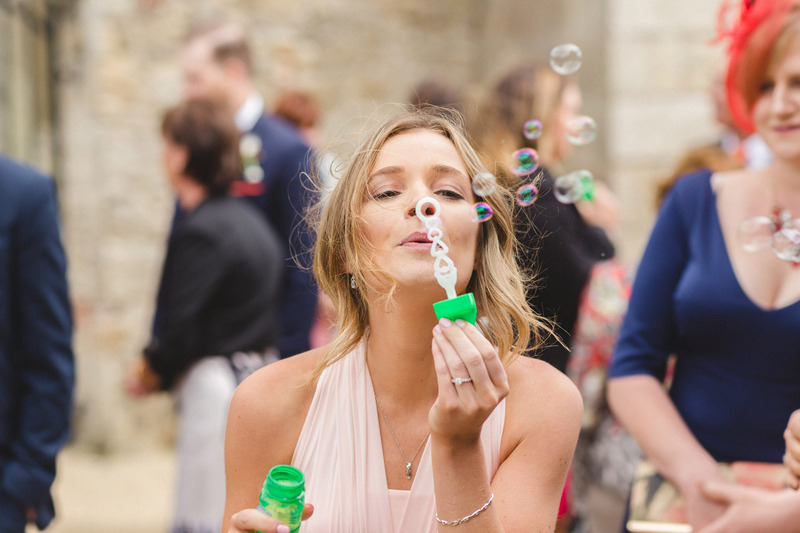 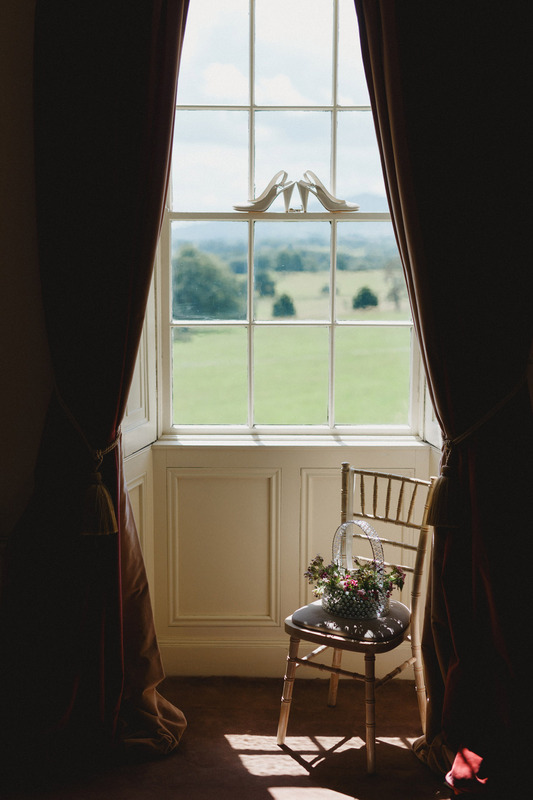 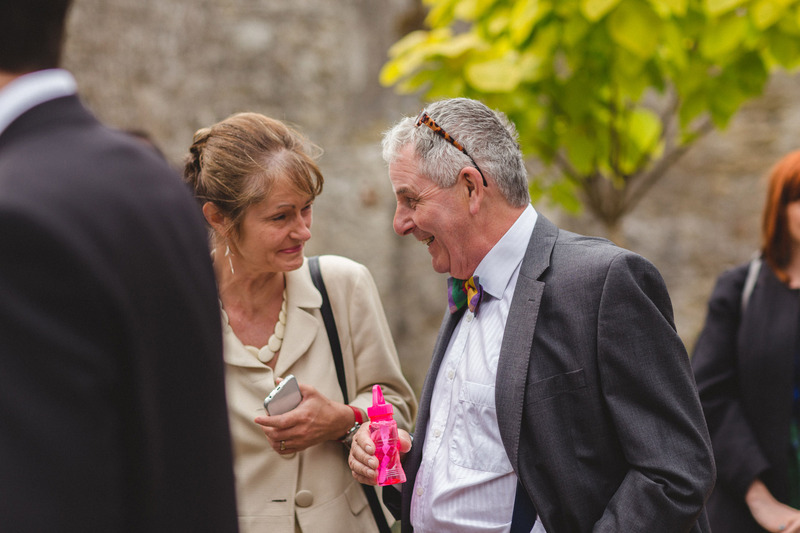 Its always a brave choice to have an outdoor wedding in Ireland, but we were very fortunate to have the weather to complement the absolutely stunning couple and one of the best Borris House weddings. 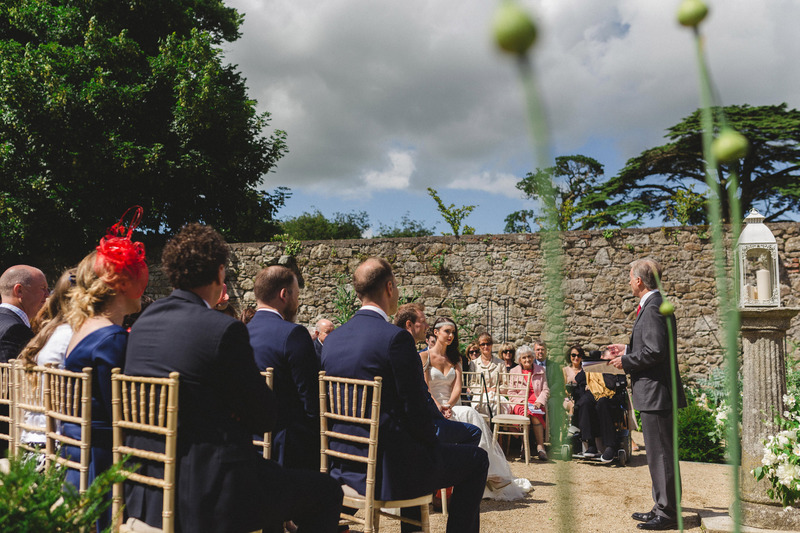 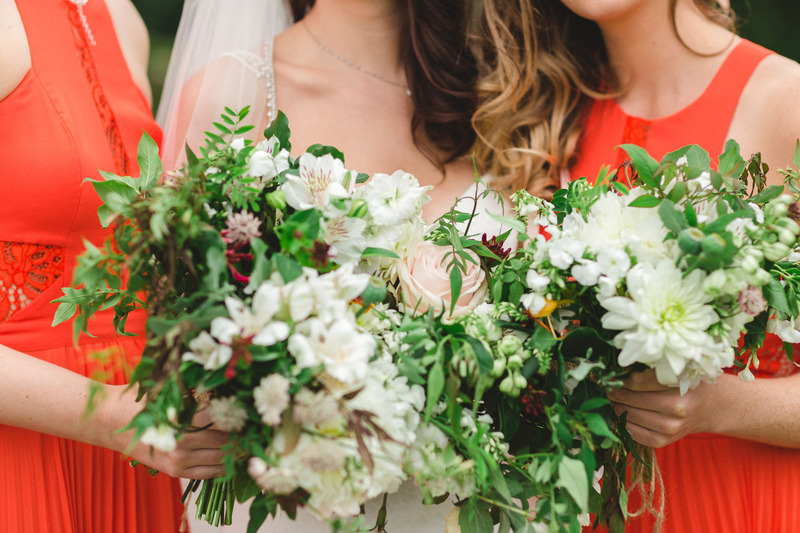 The Wild Bunch set the scene with an amazing assortment of flowers on the day. 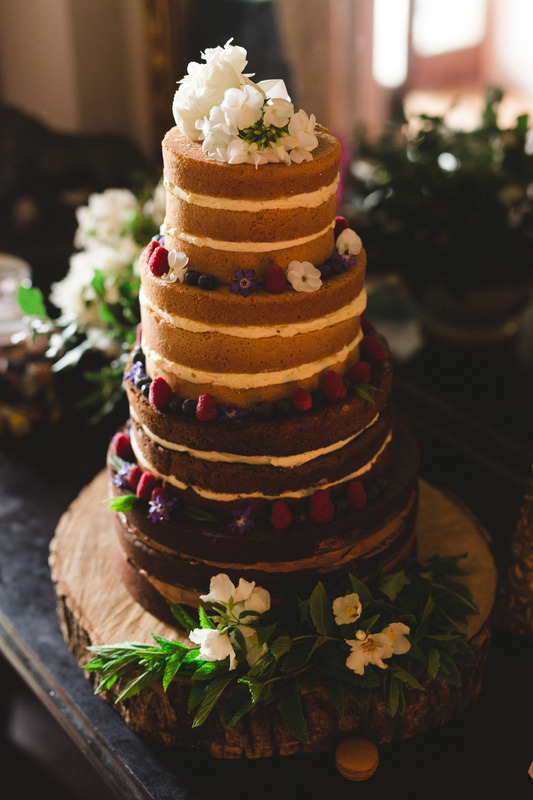 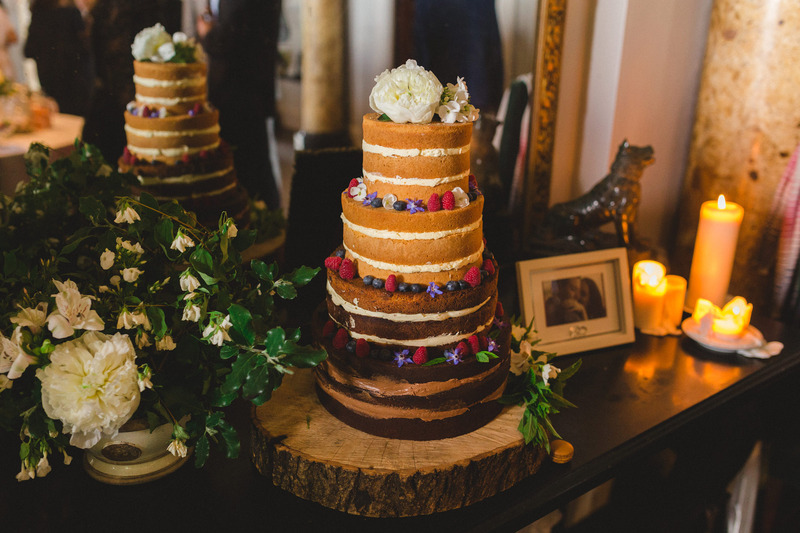 The beautiful wedding cake & lovely catering from Eunice Power added great flavour to the day. 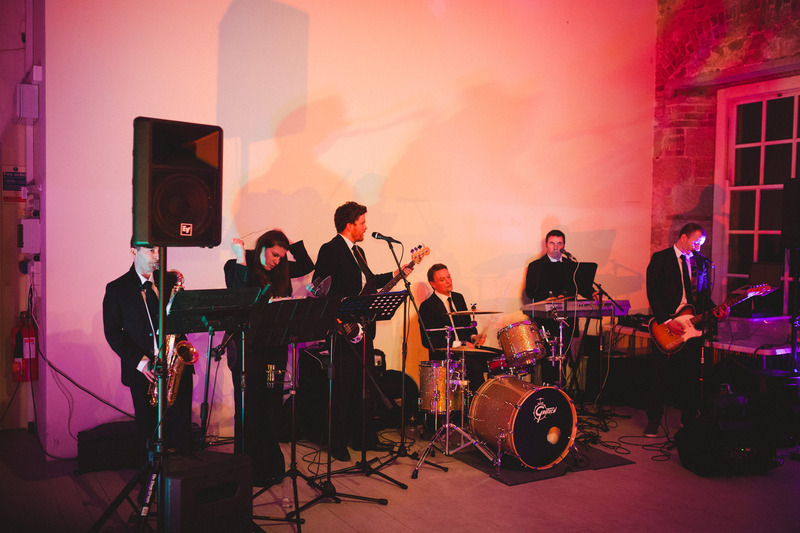 It was left to Midnight sounds to round off the night with a great set to fill the dance floor! 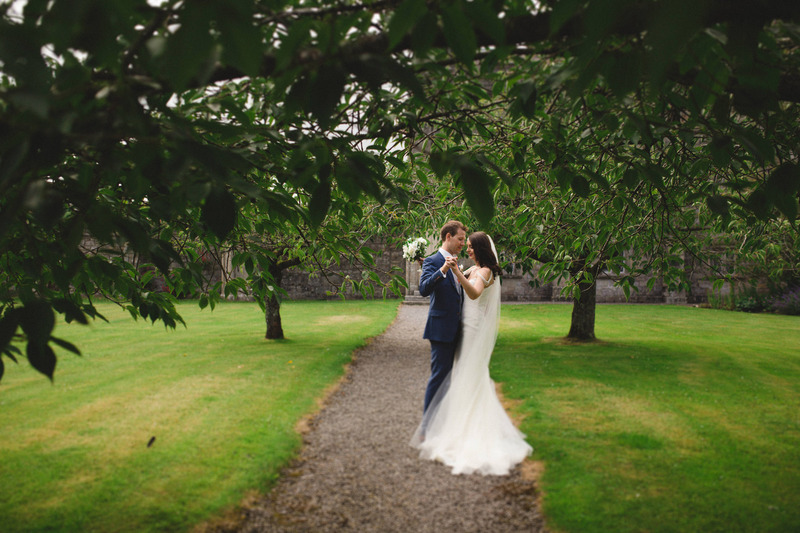 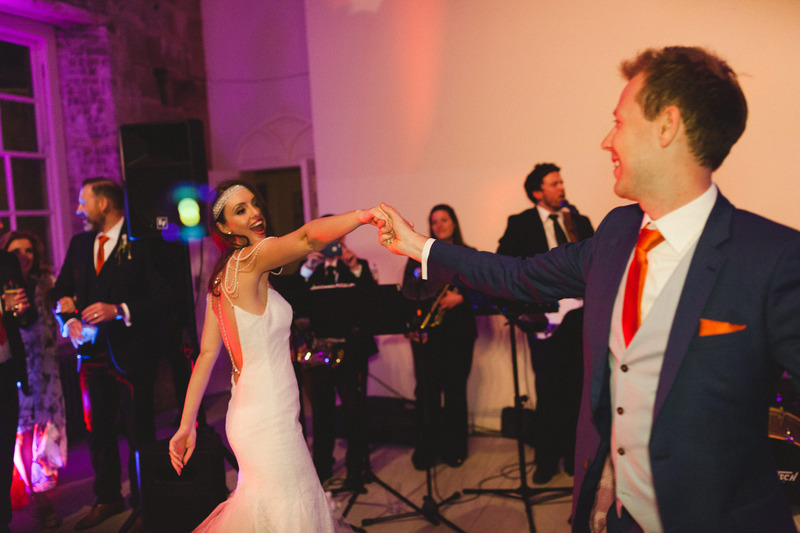 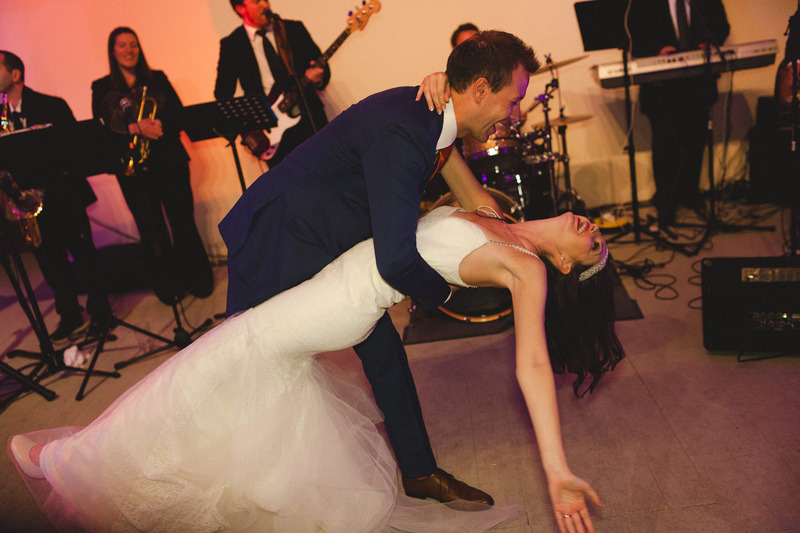 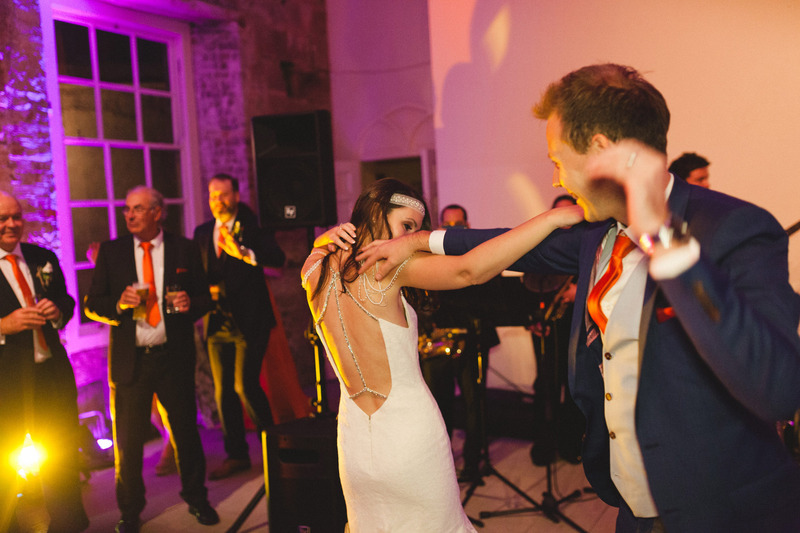 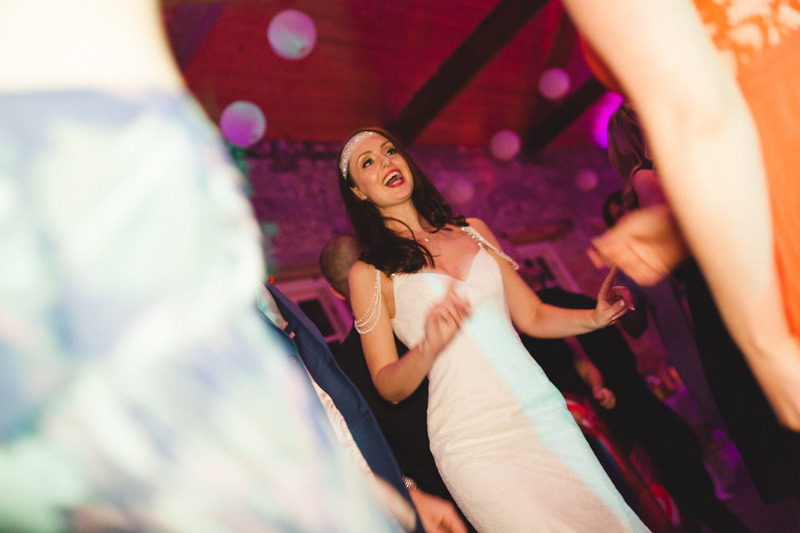 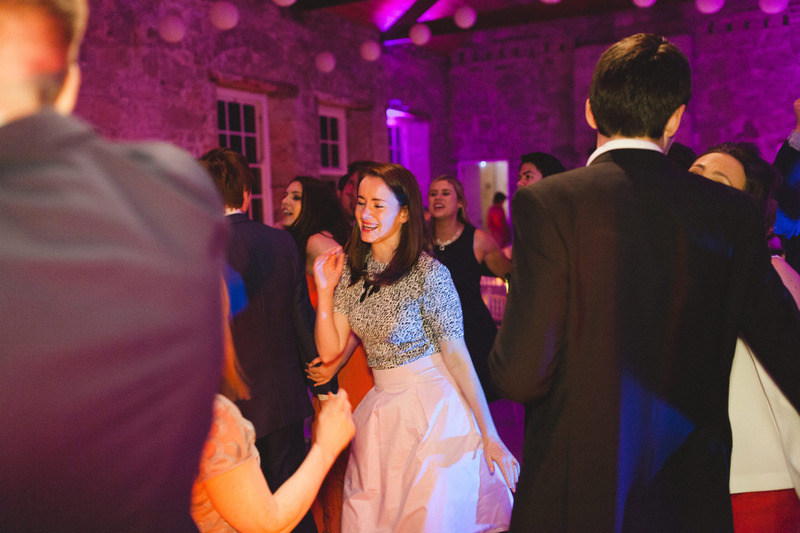 Congratulations again Amy & Fergal! 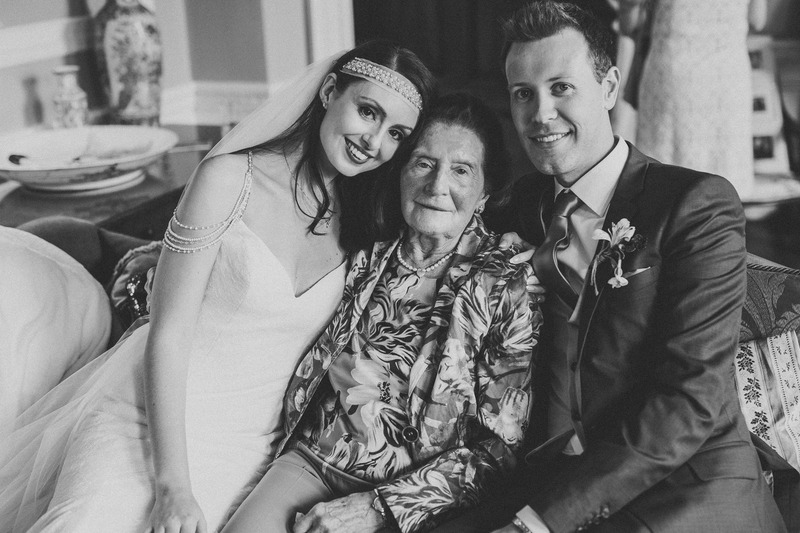 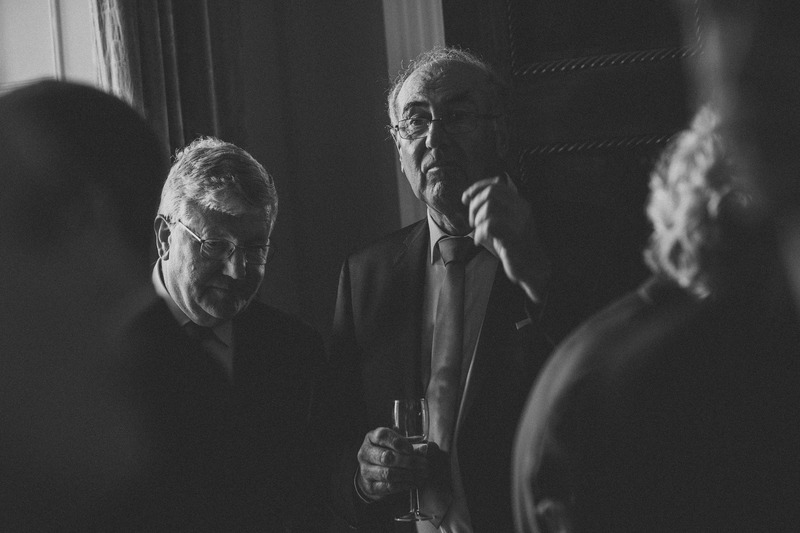 It was such a pleasure to be involved in your special day.